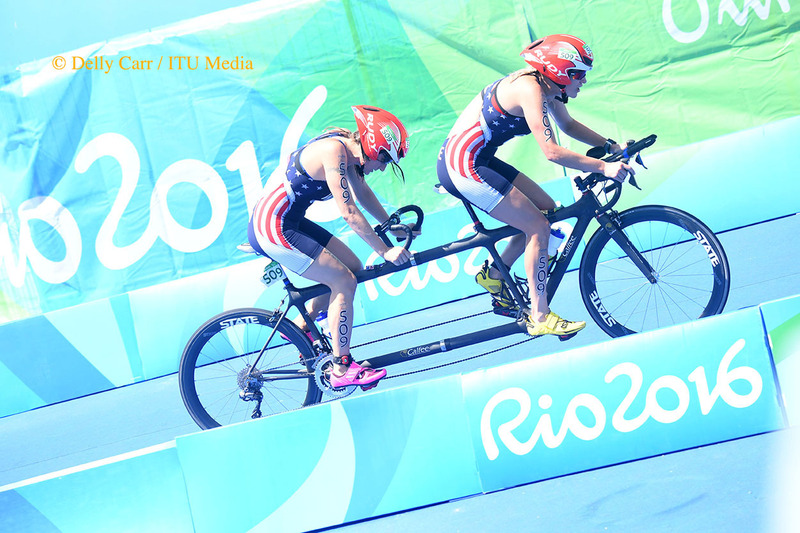 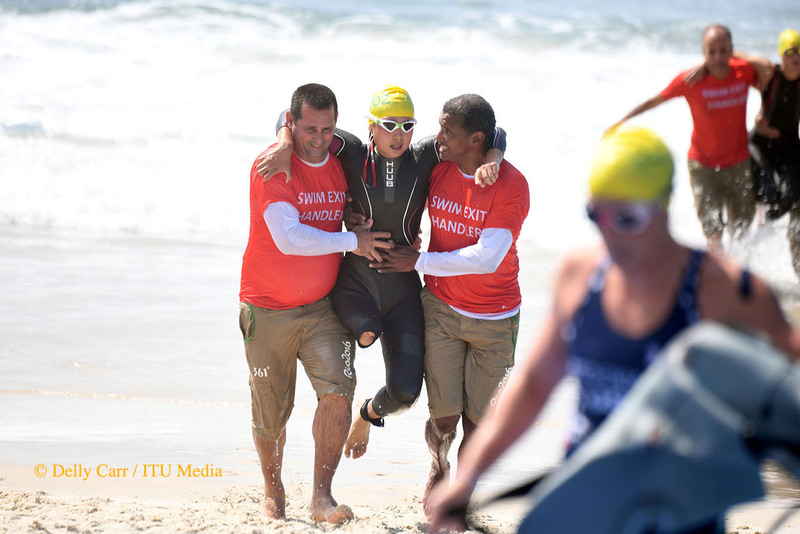 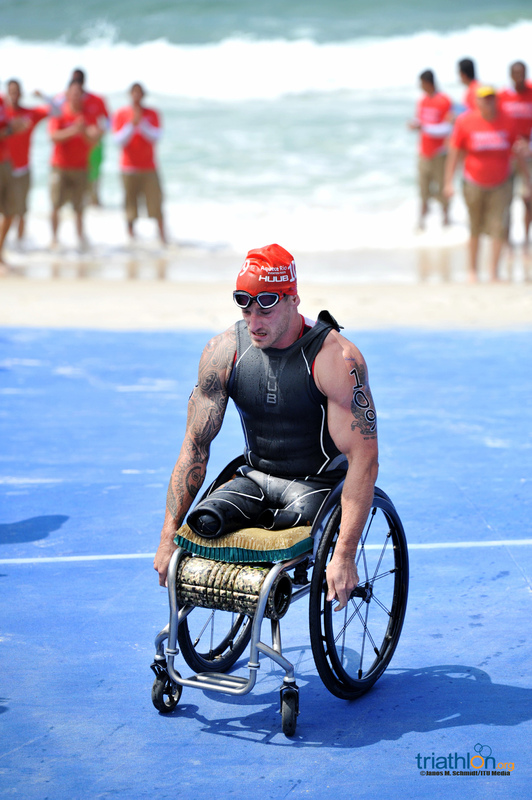 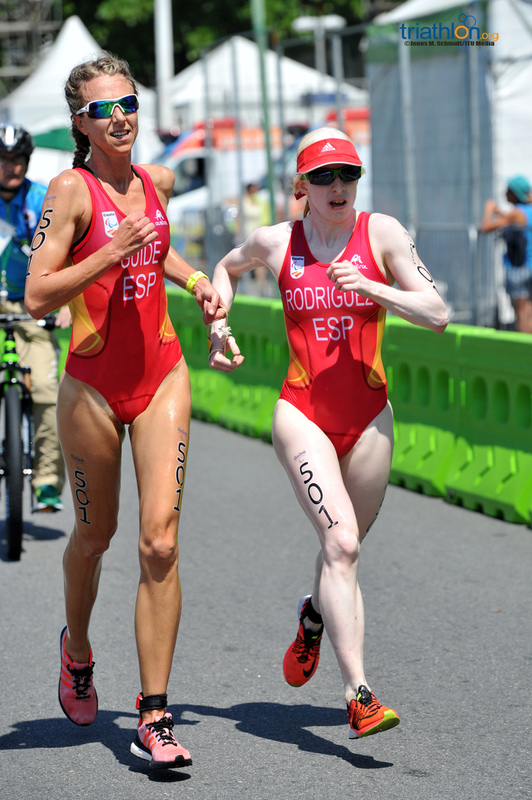 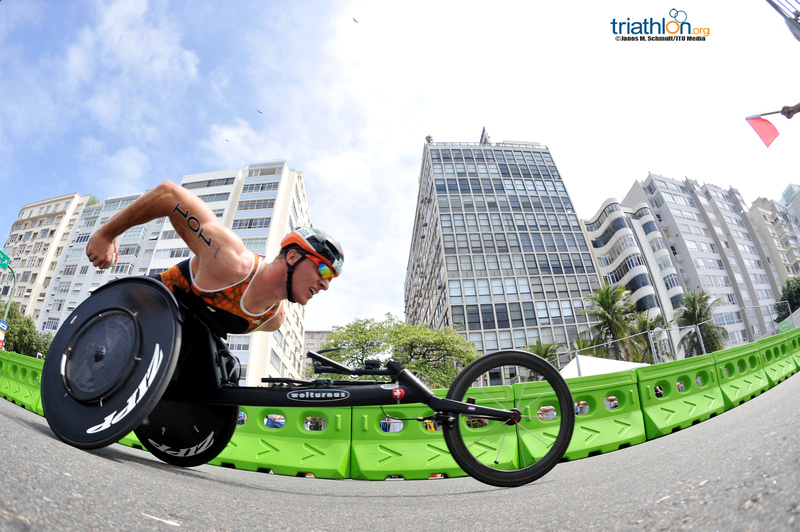 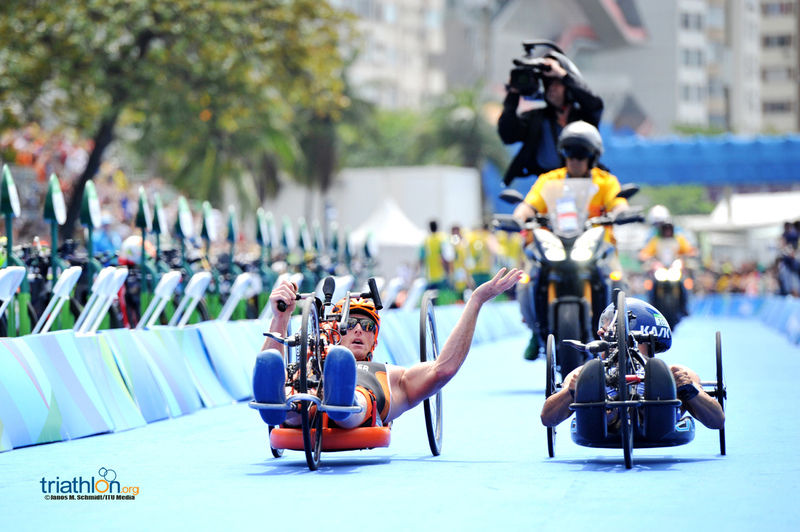 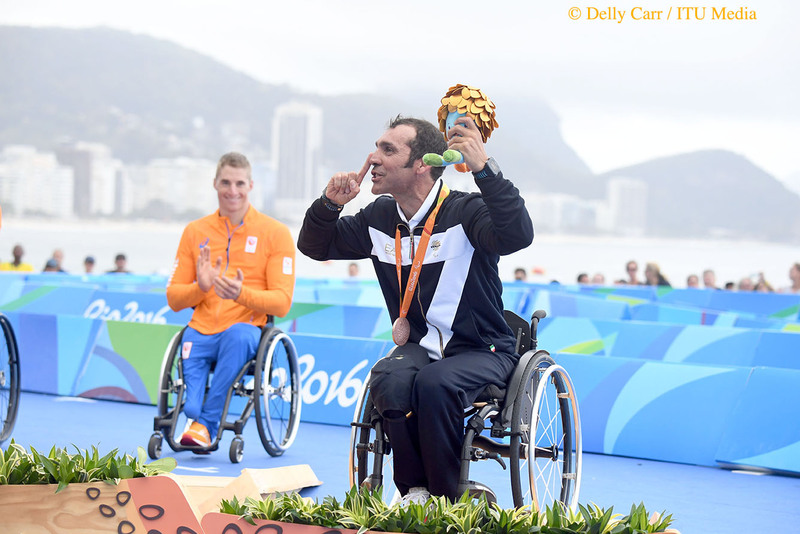 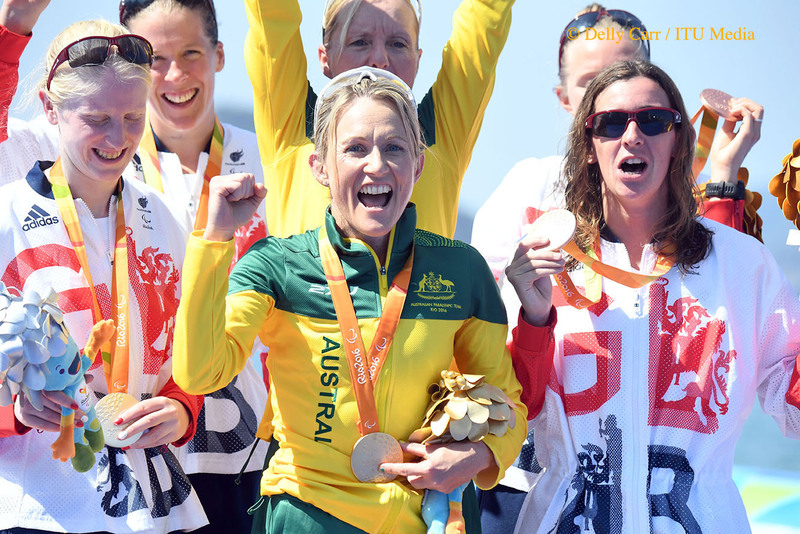 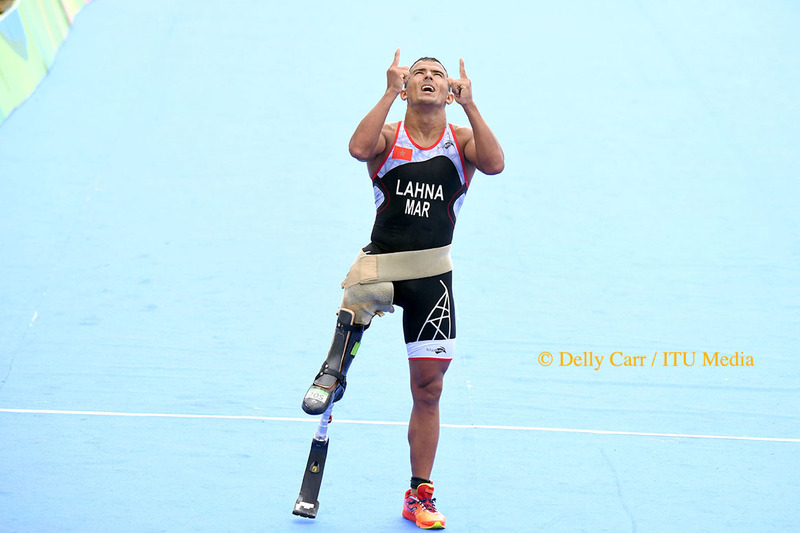 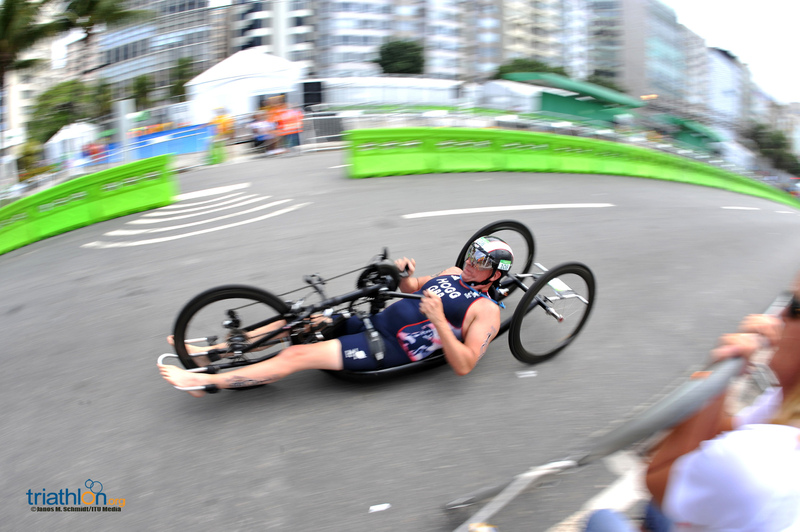 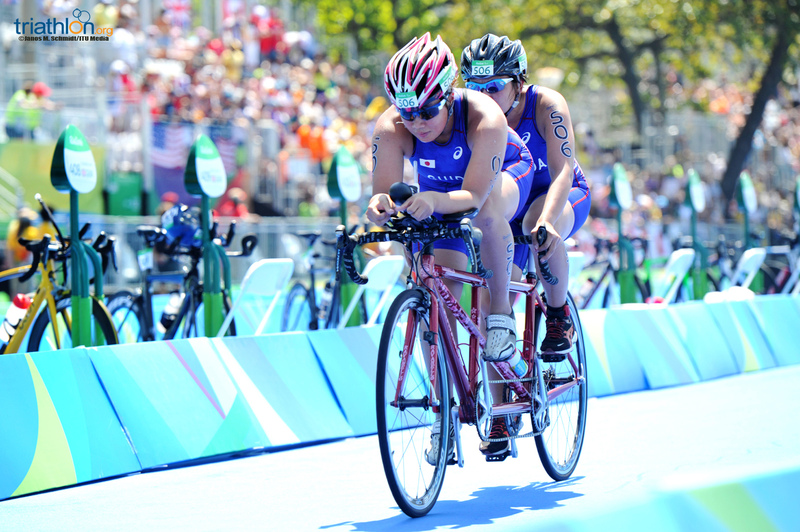 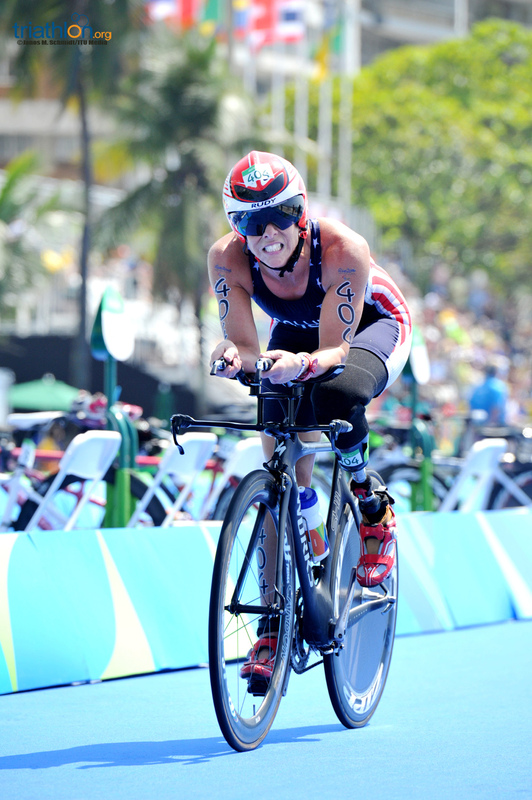 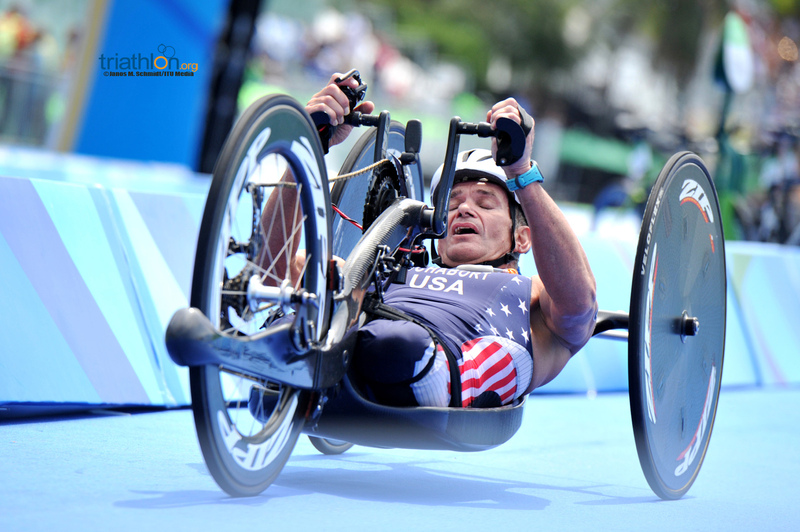 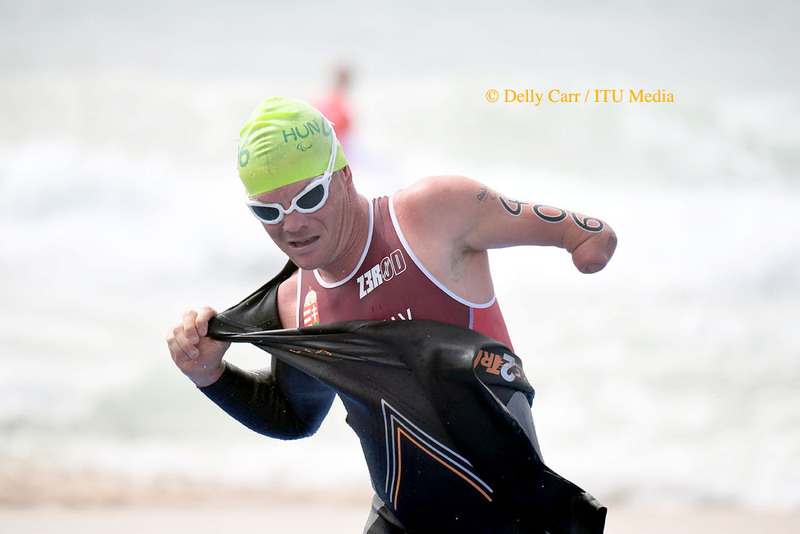 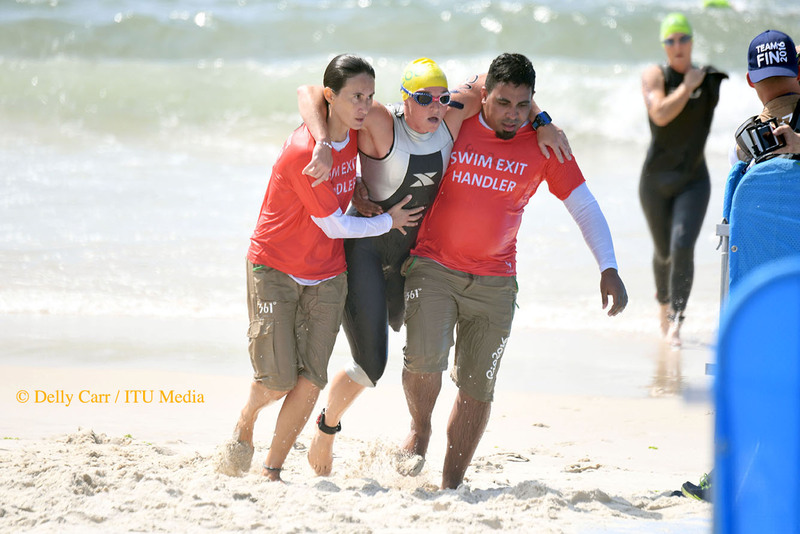 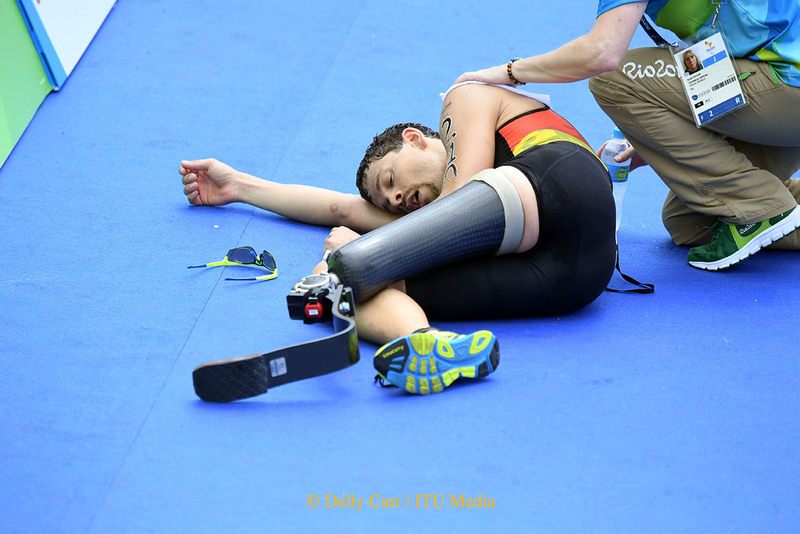 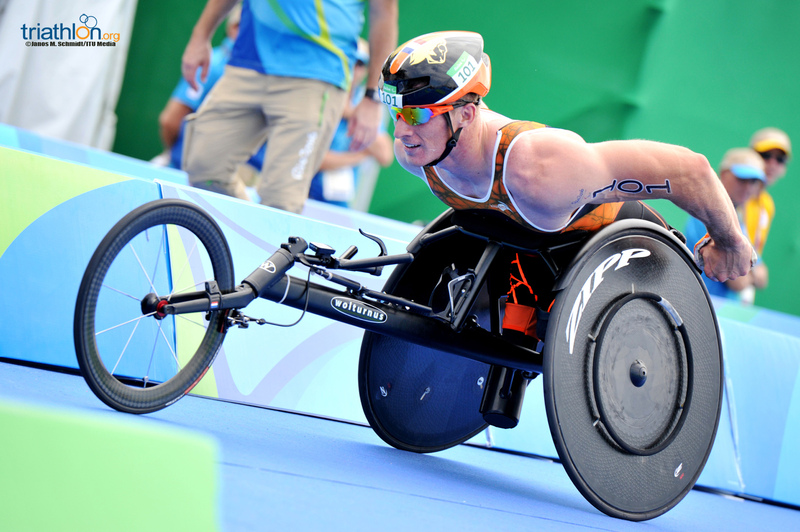 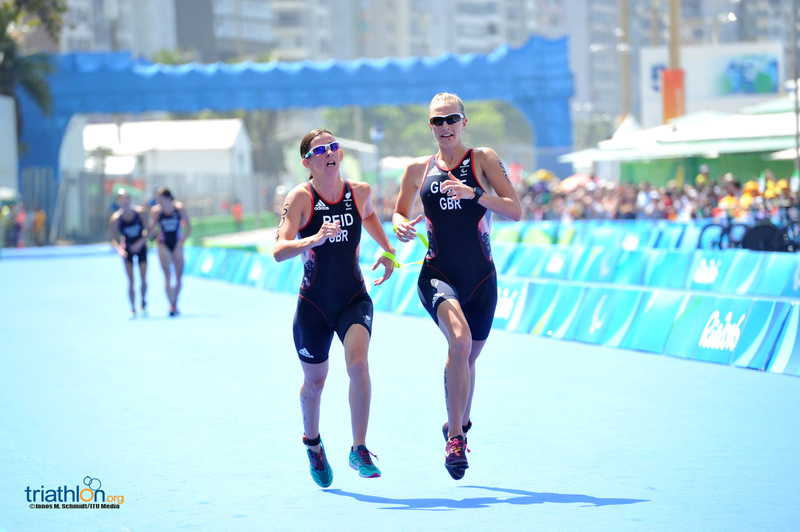 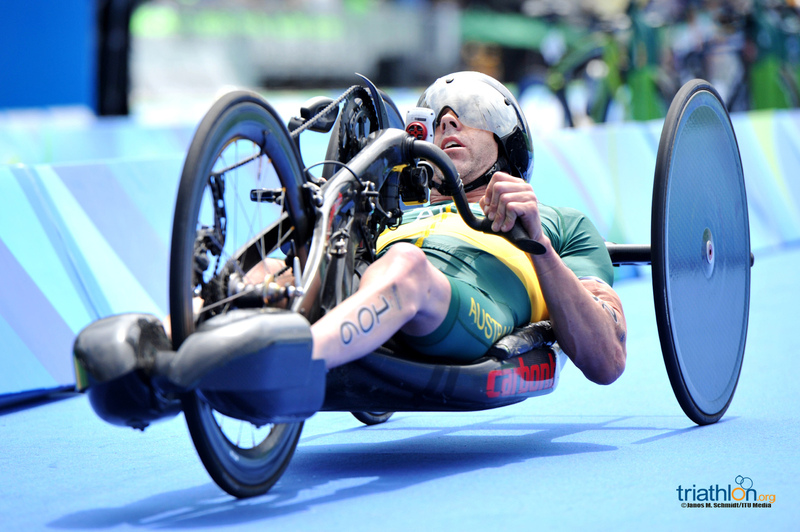 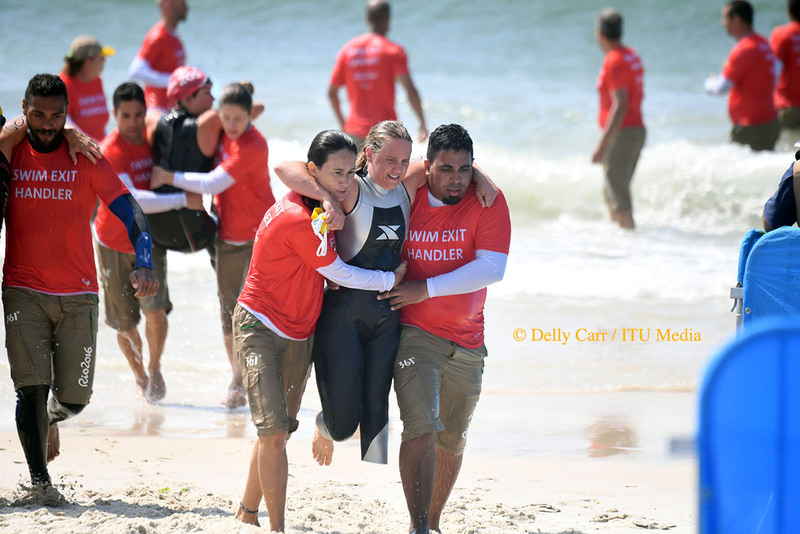 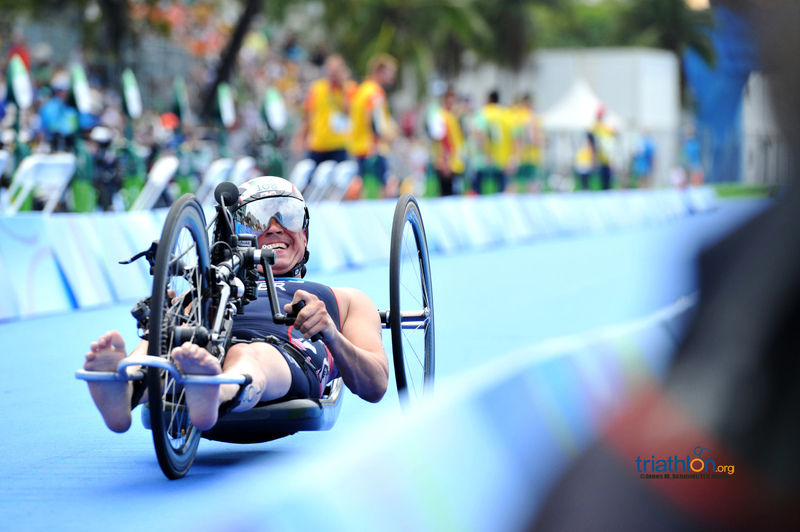 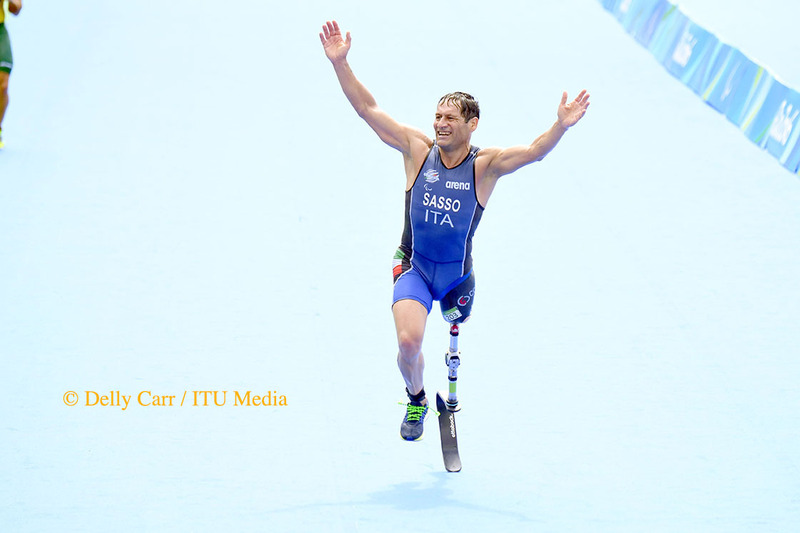 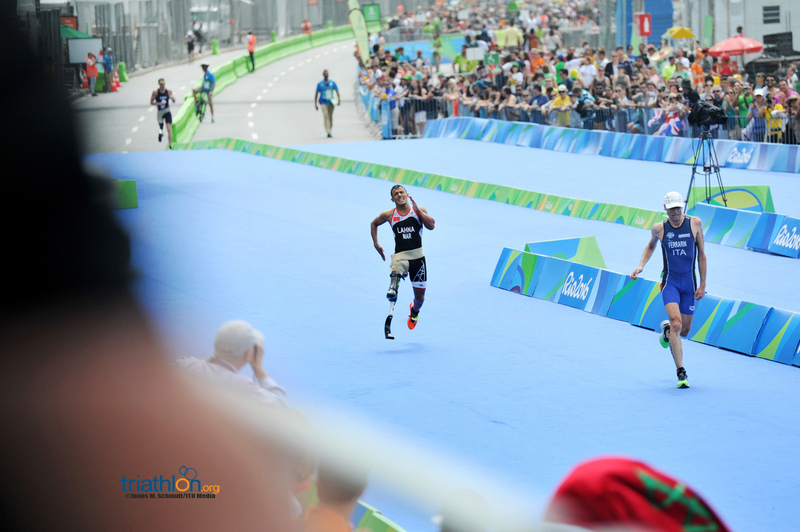 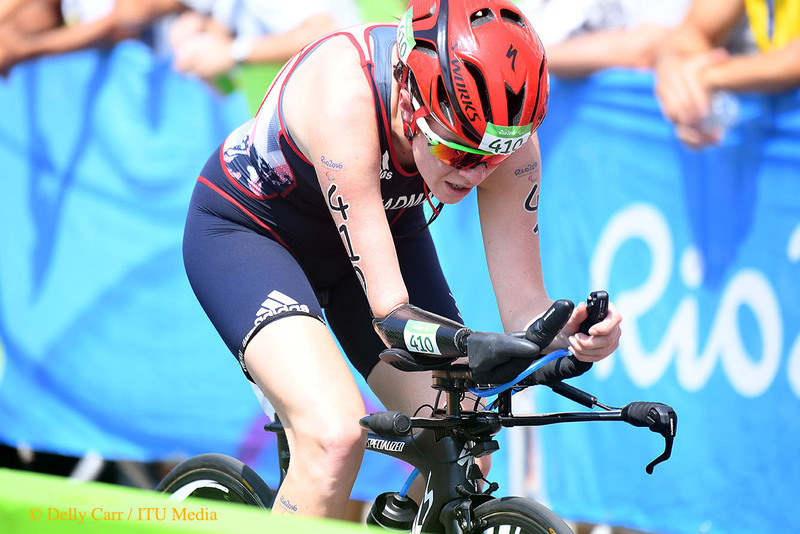 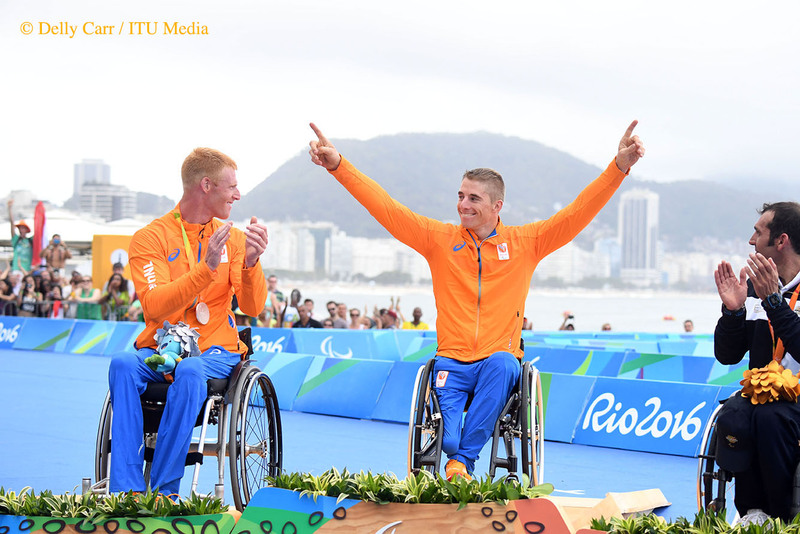 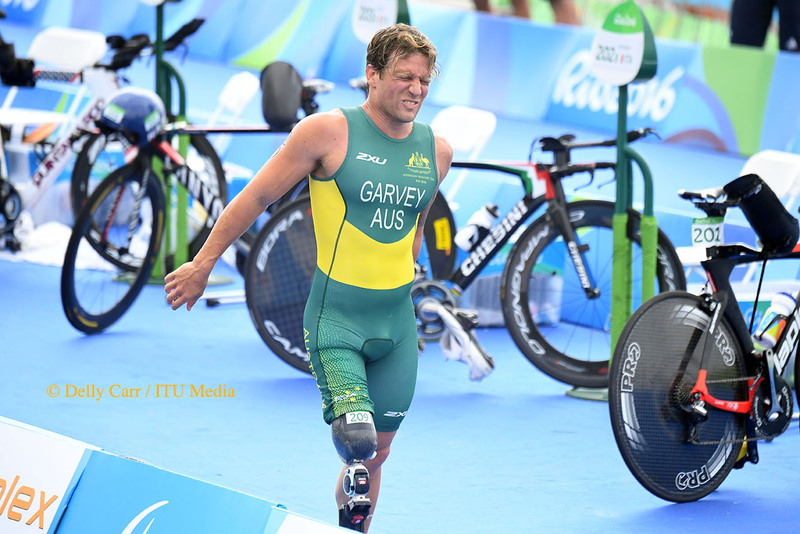 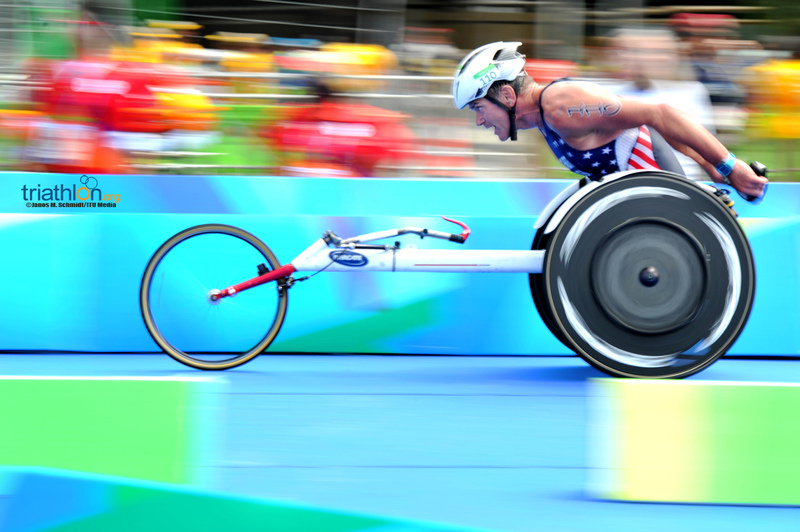 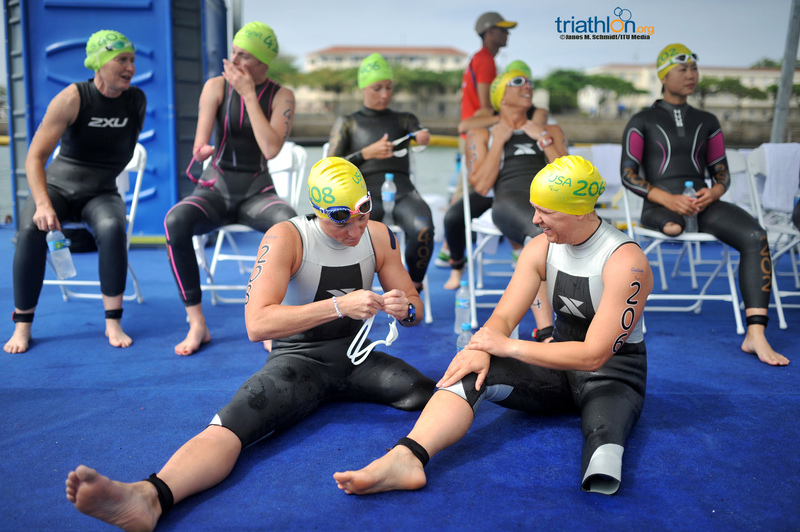 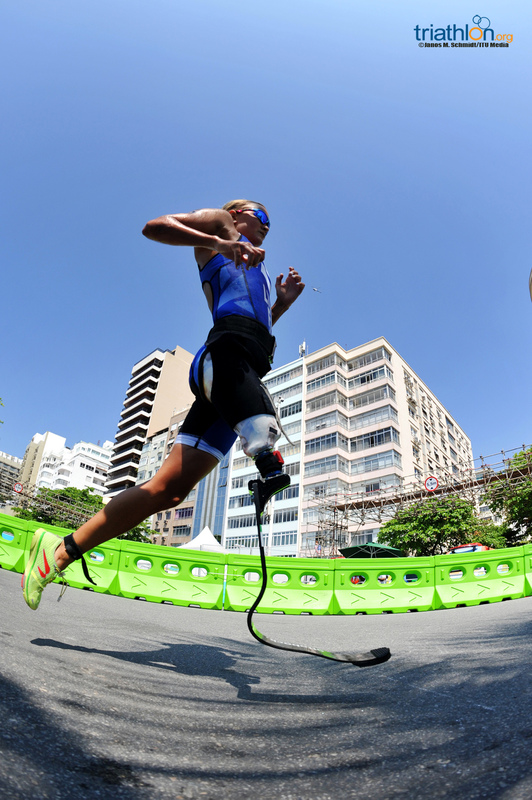 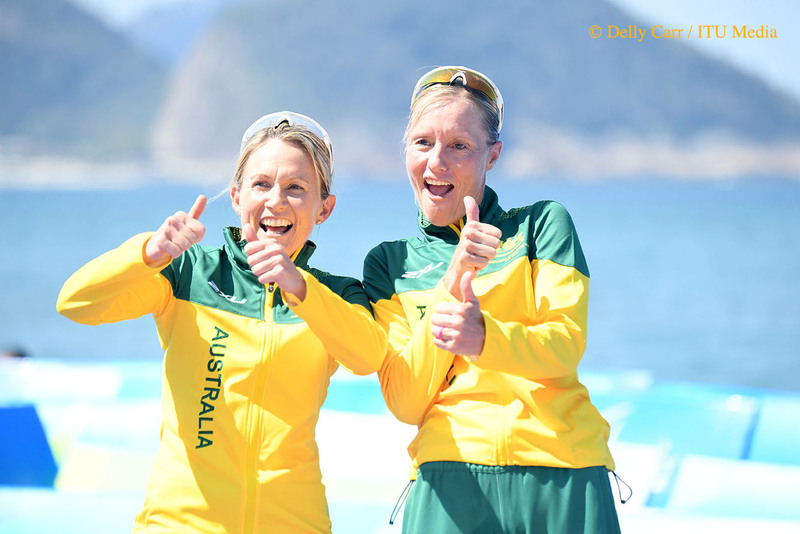 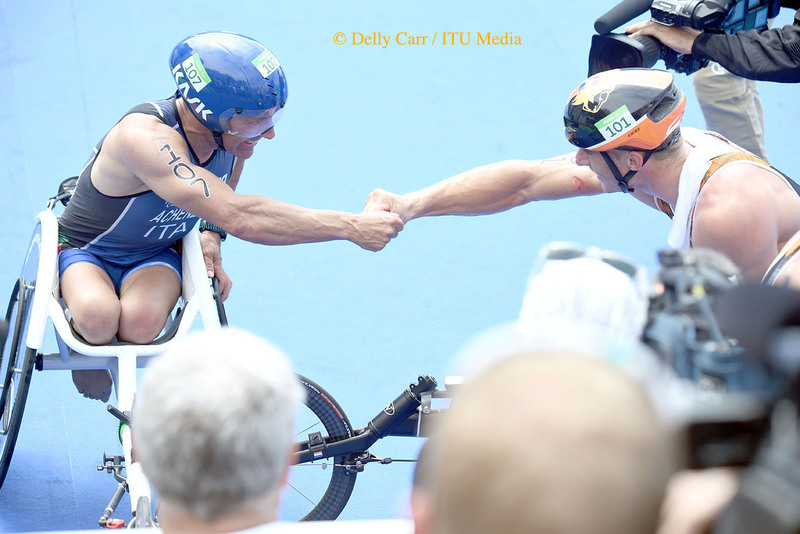 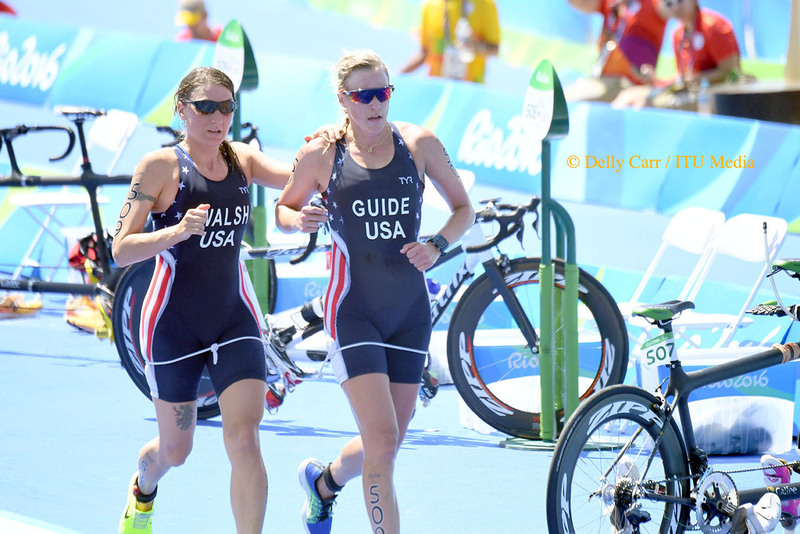 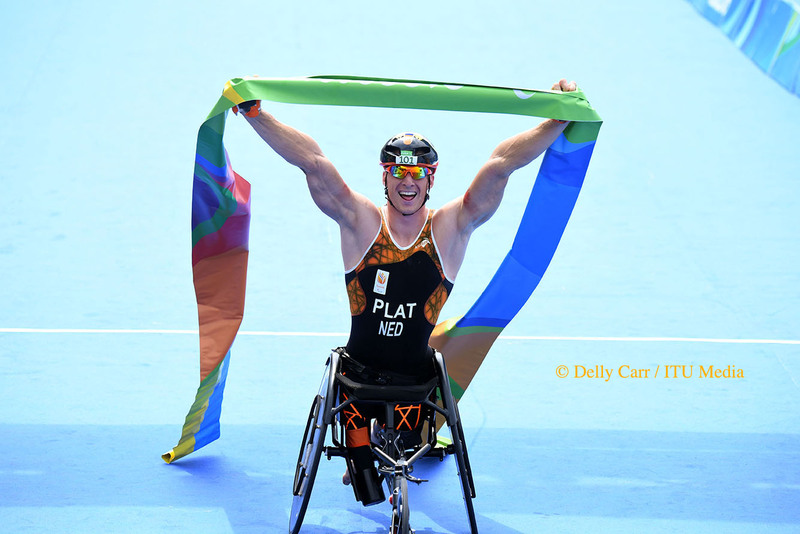 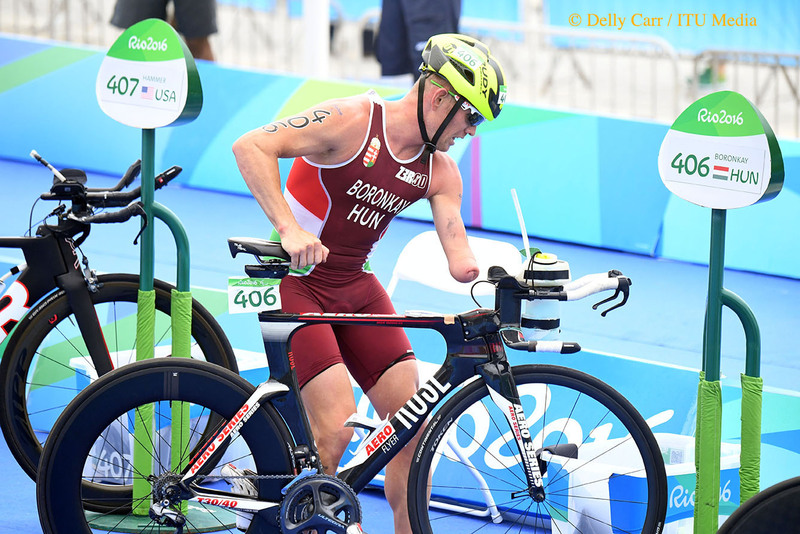 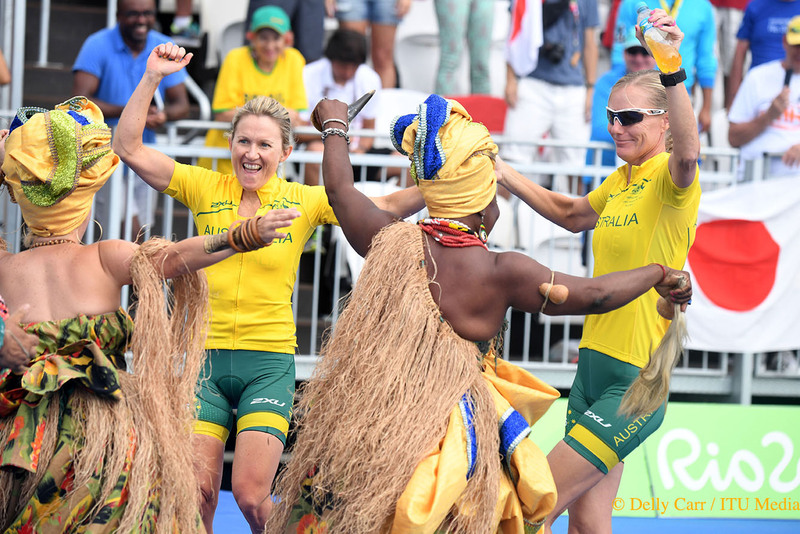 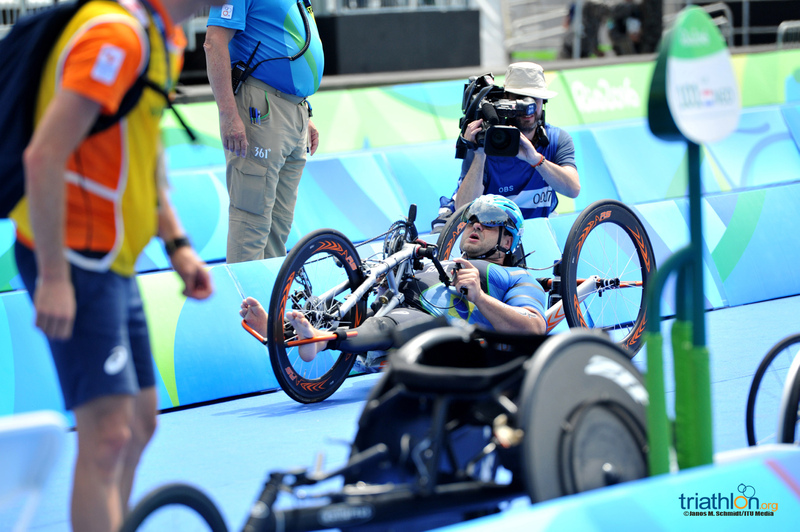 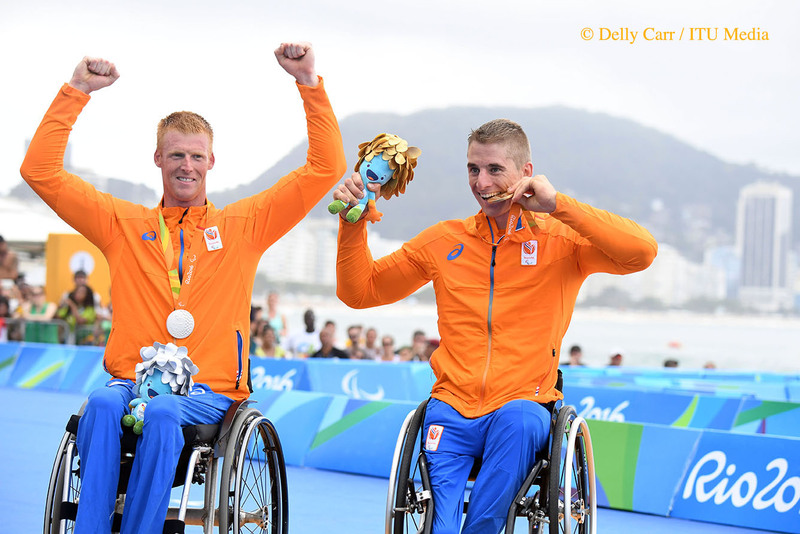 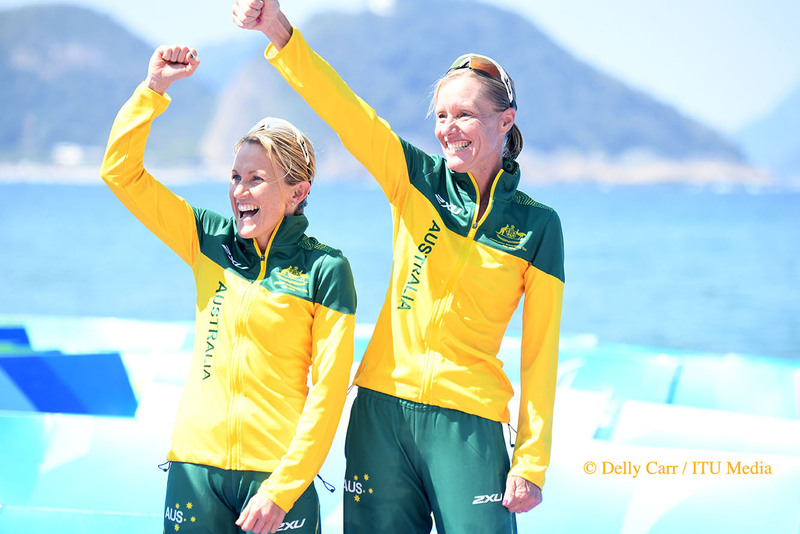 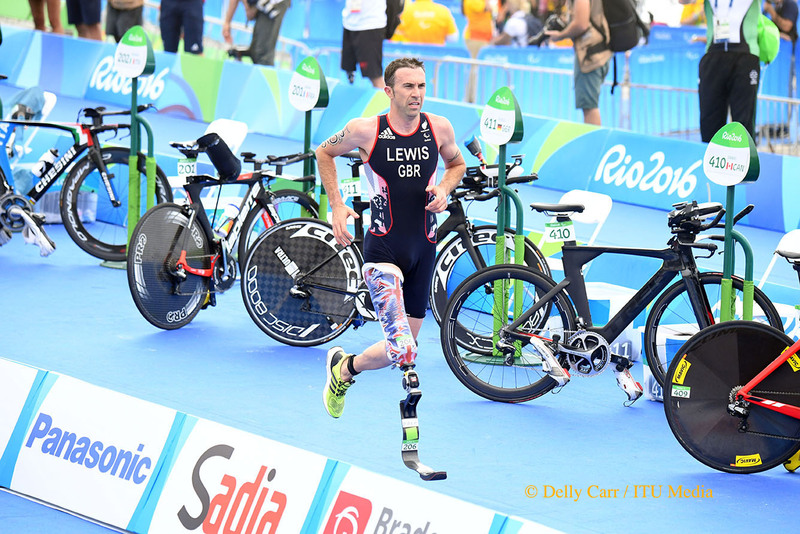 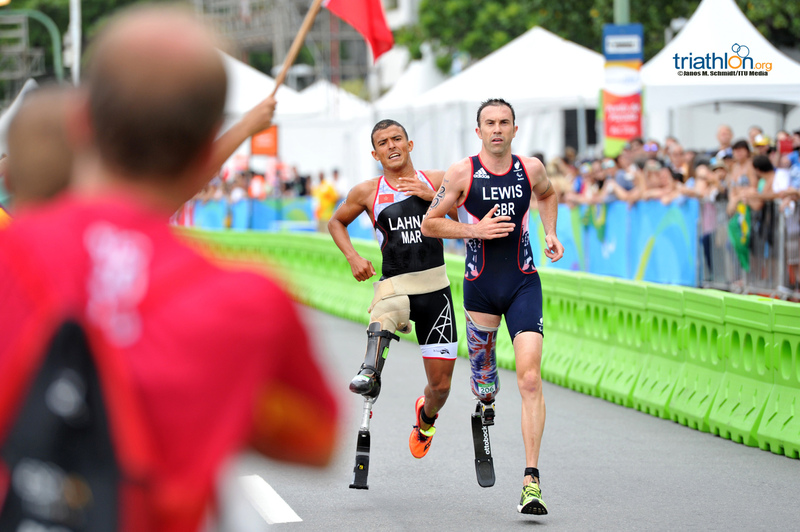 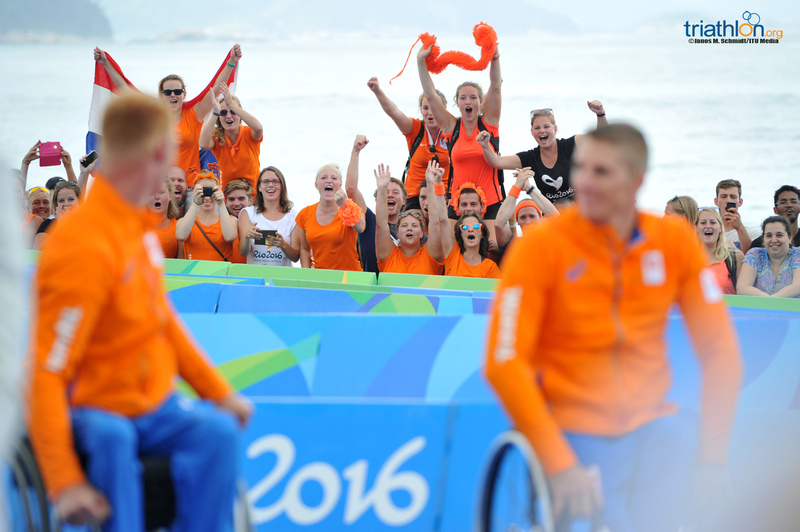 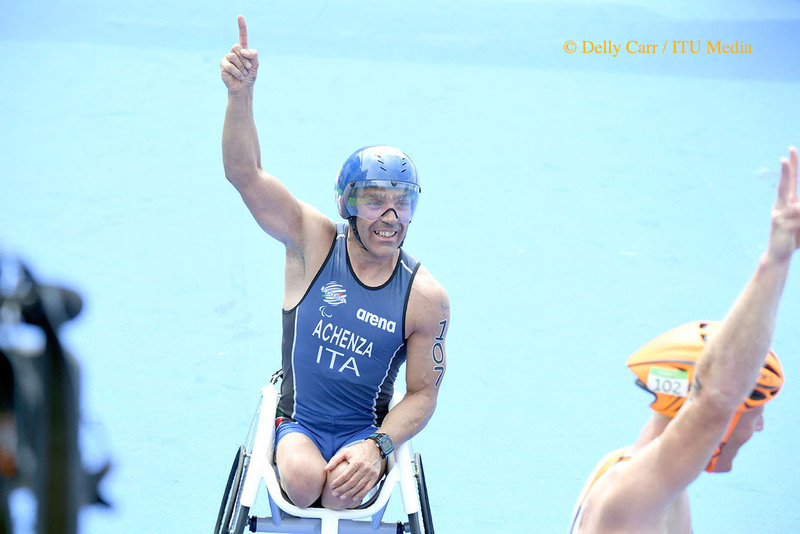 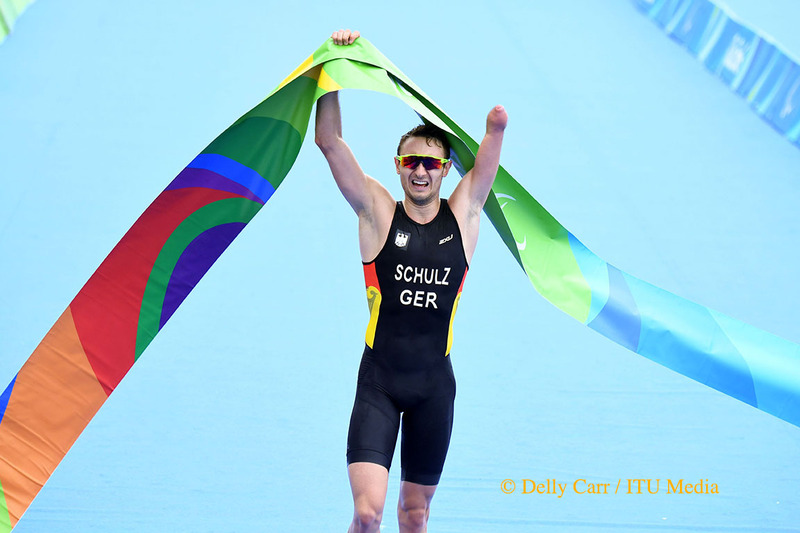 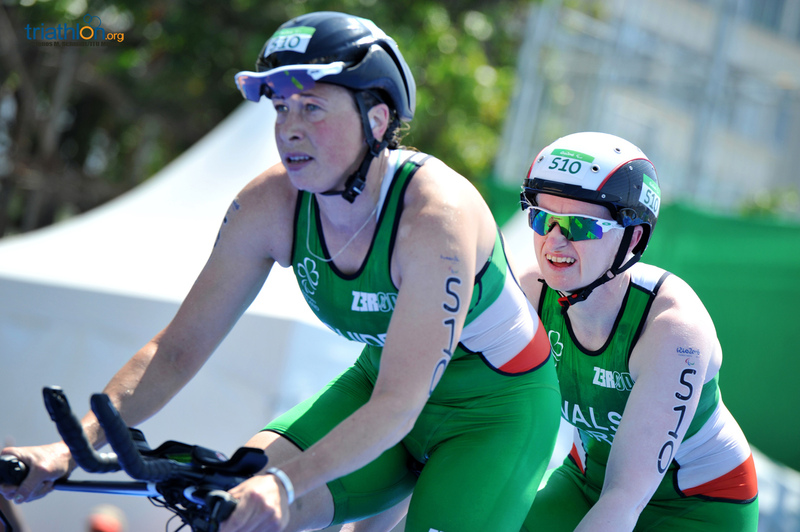 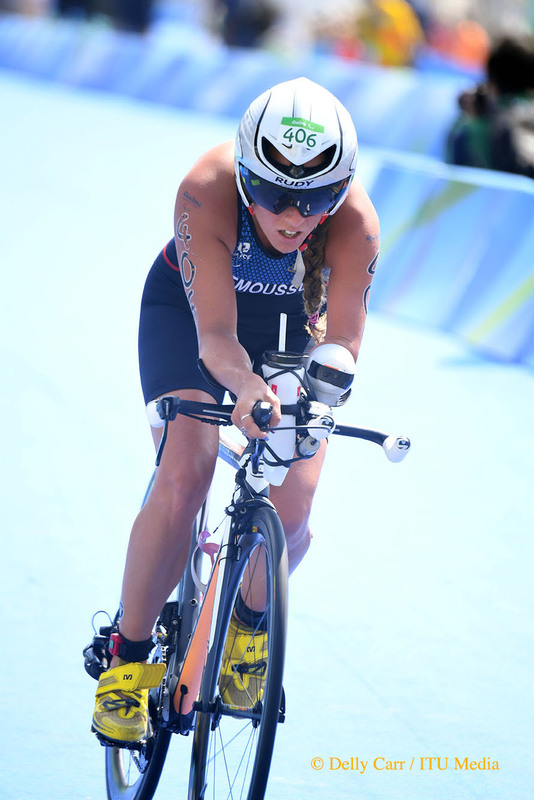 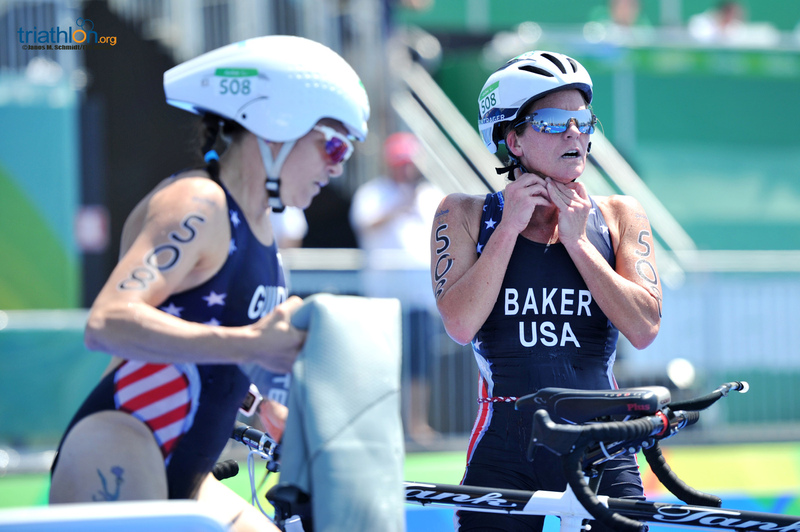 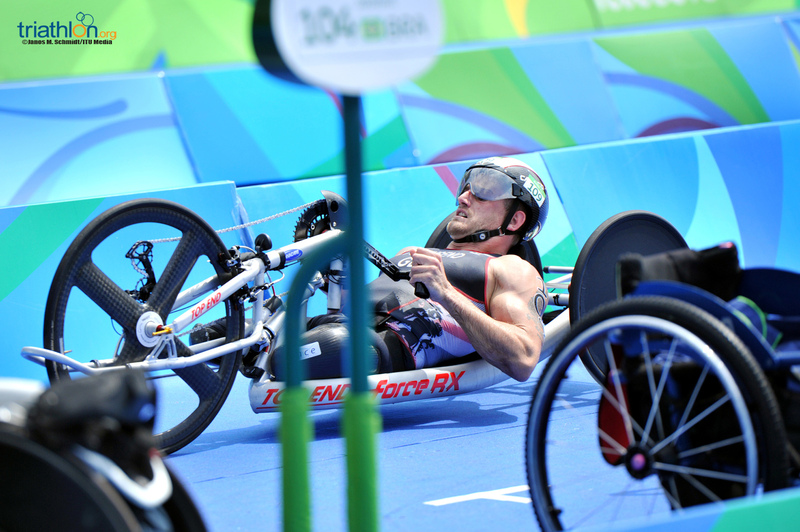 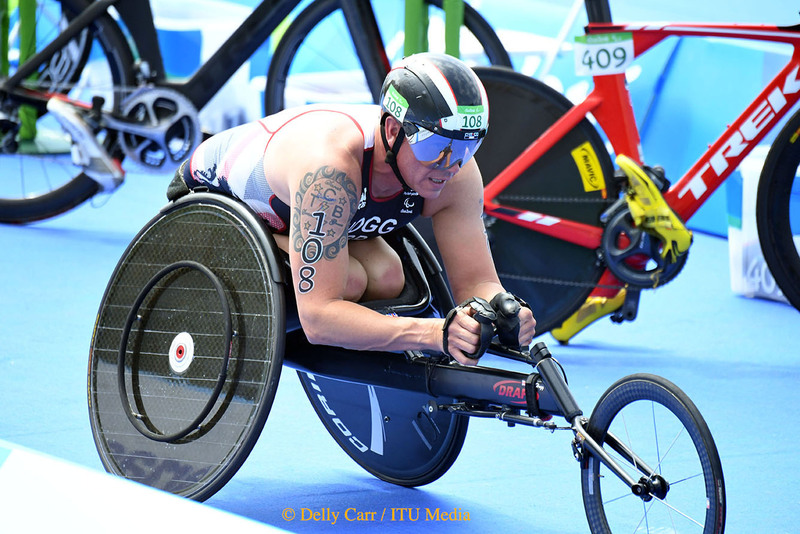 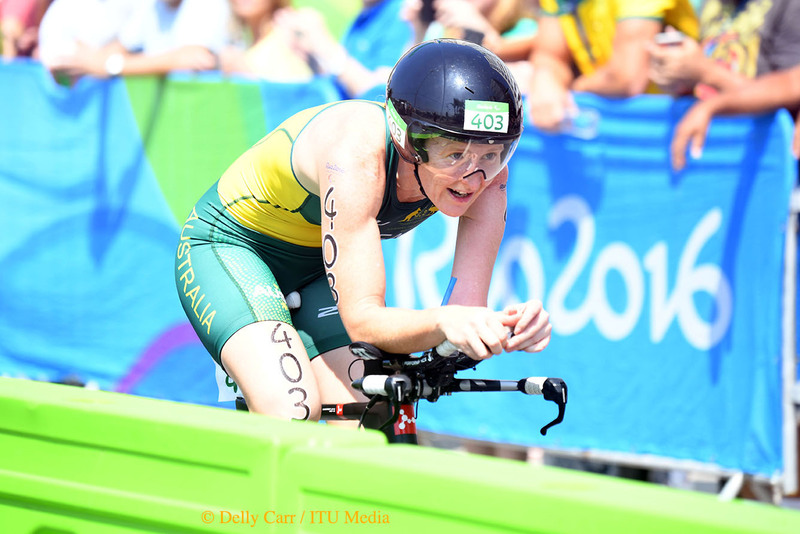 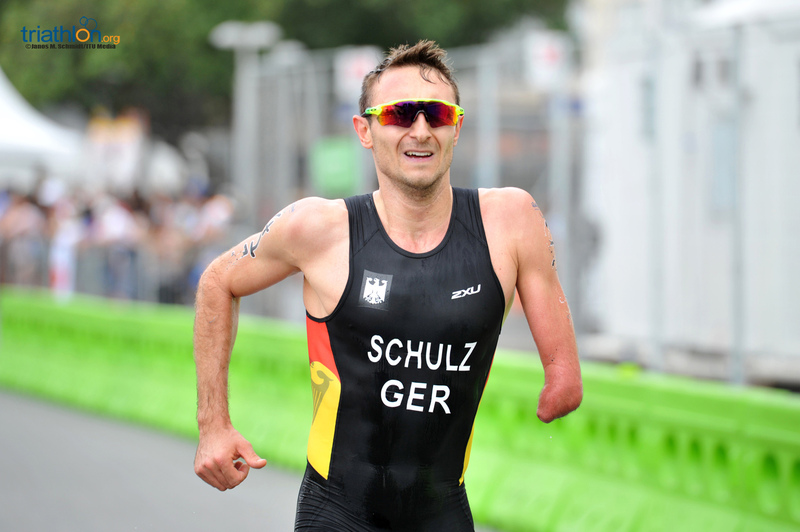 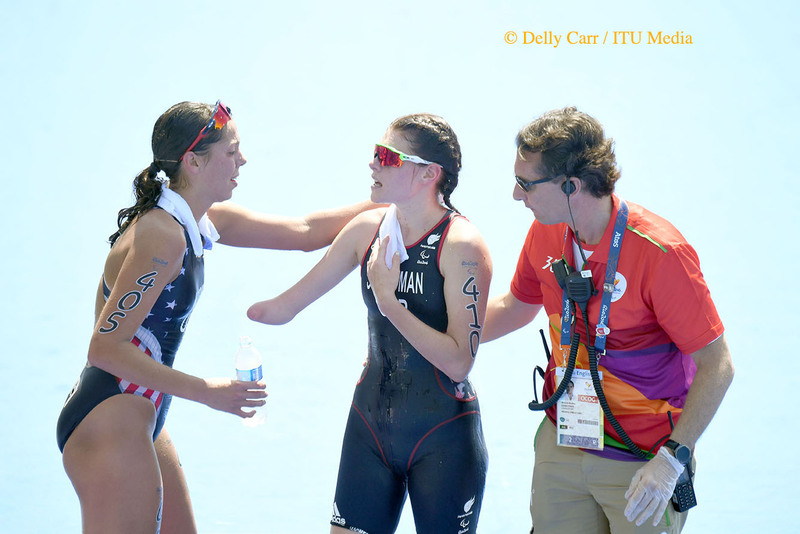 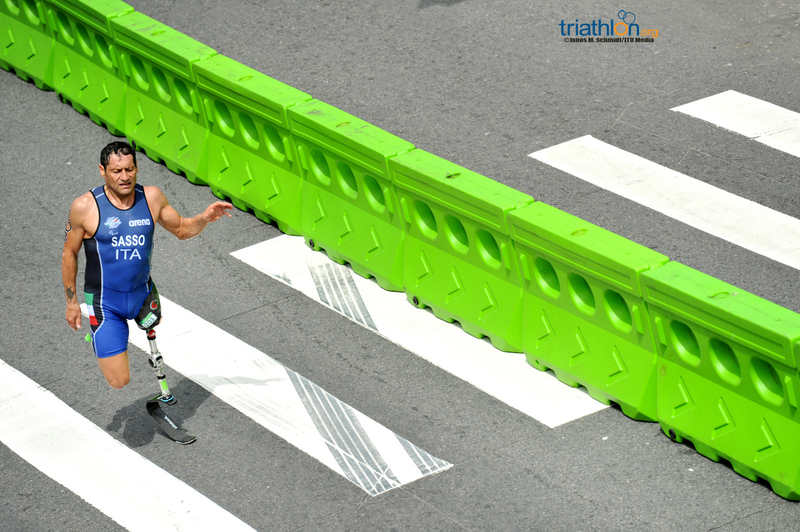 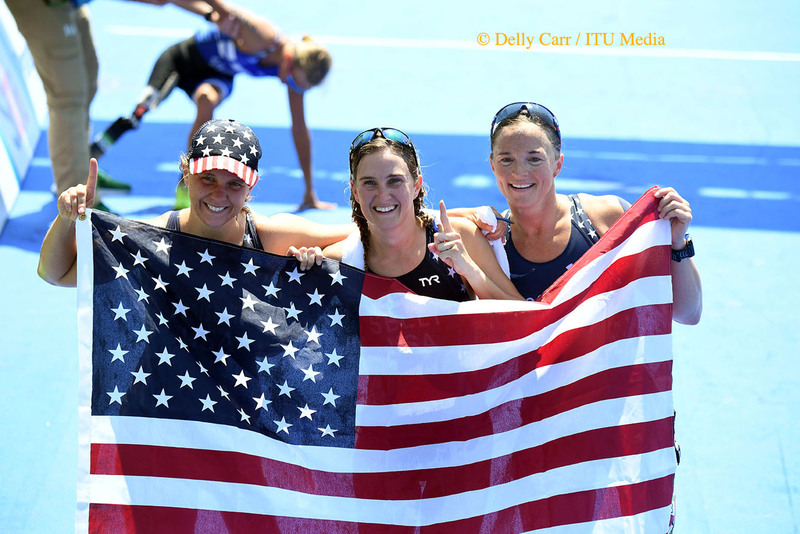 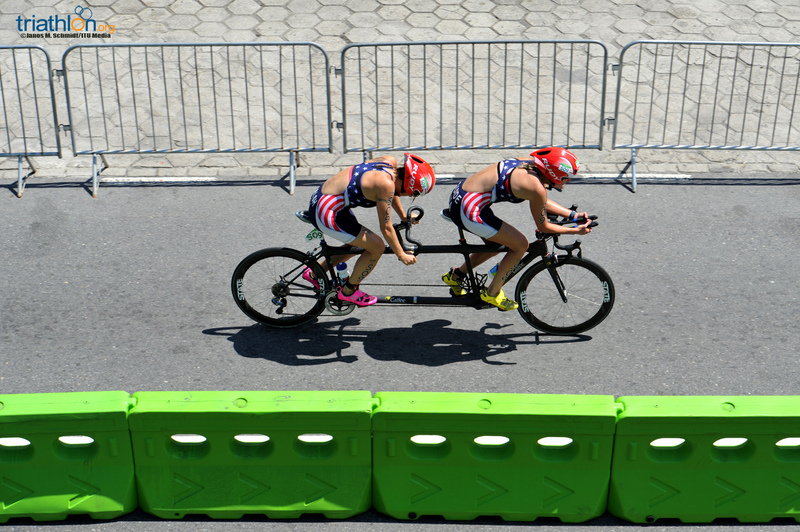 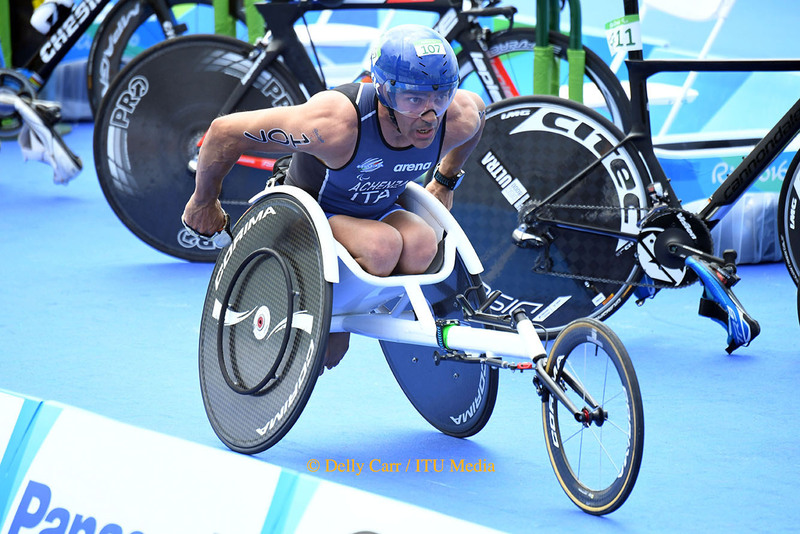 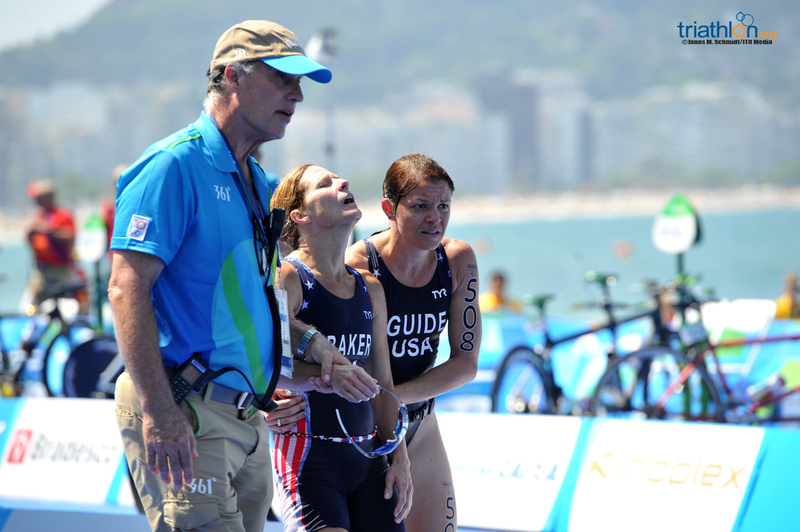 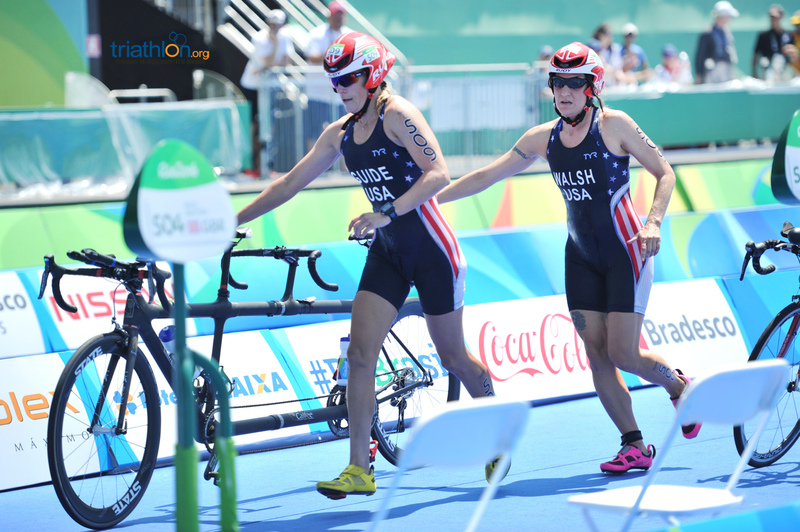 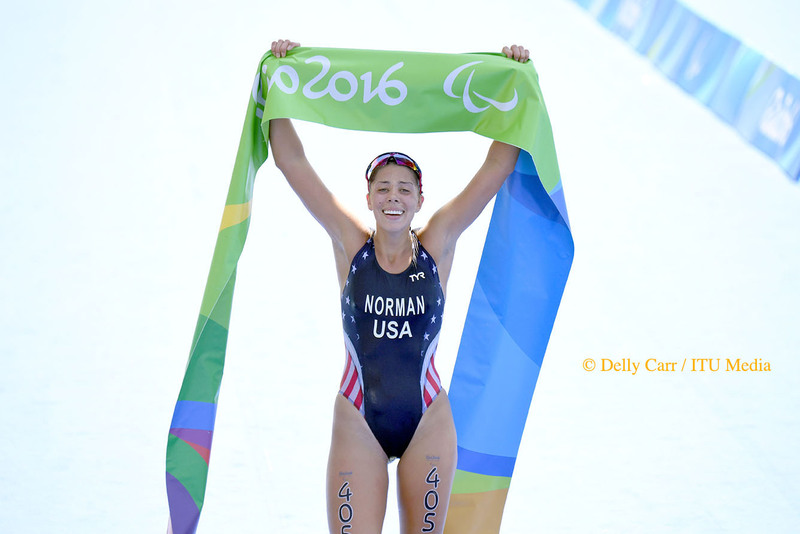 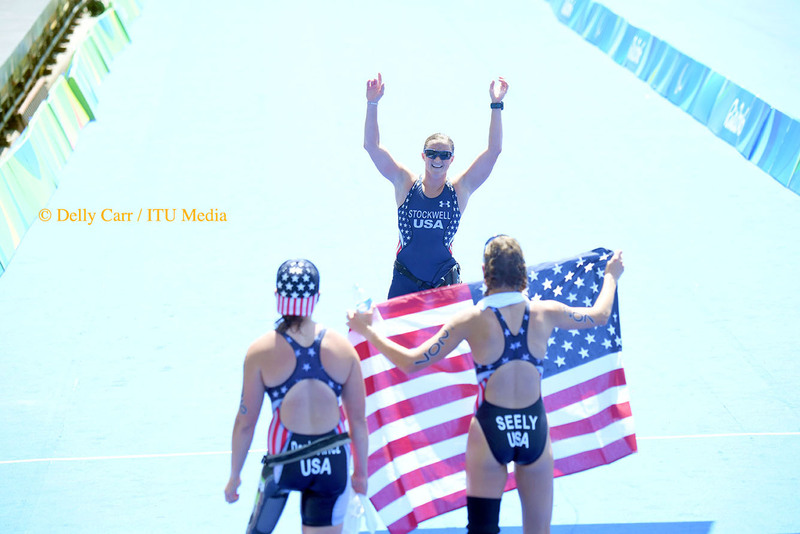 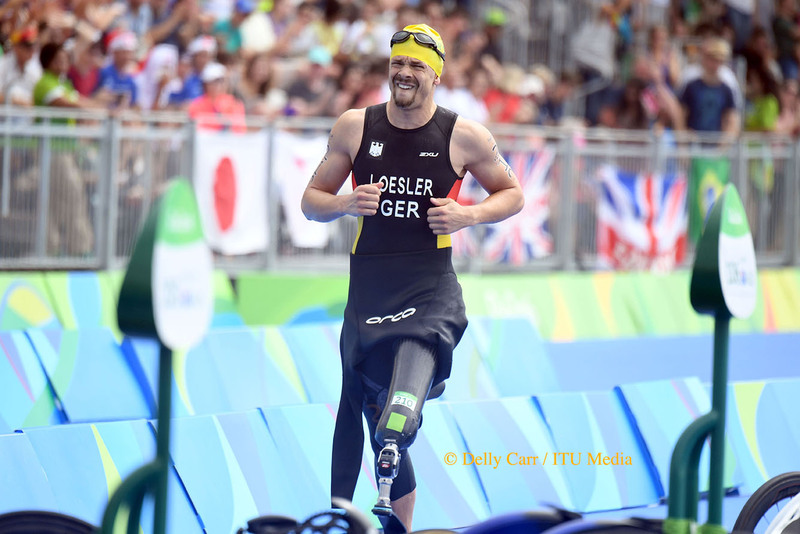 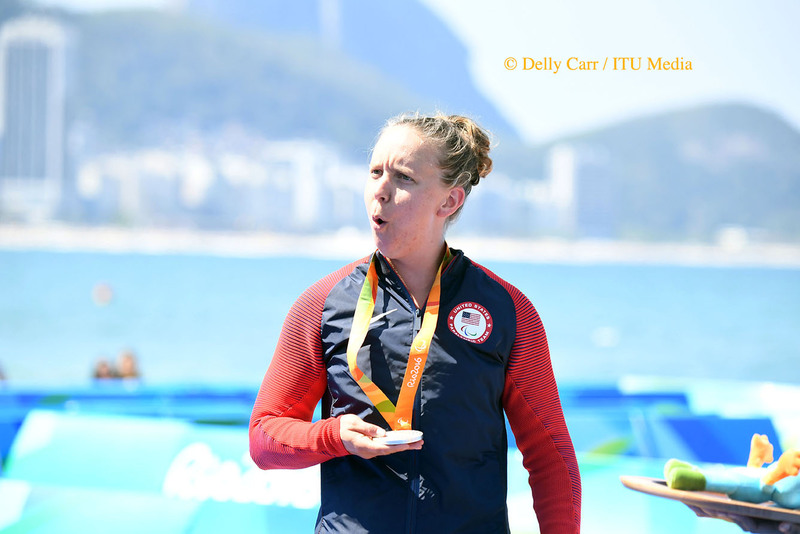 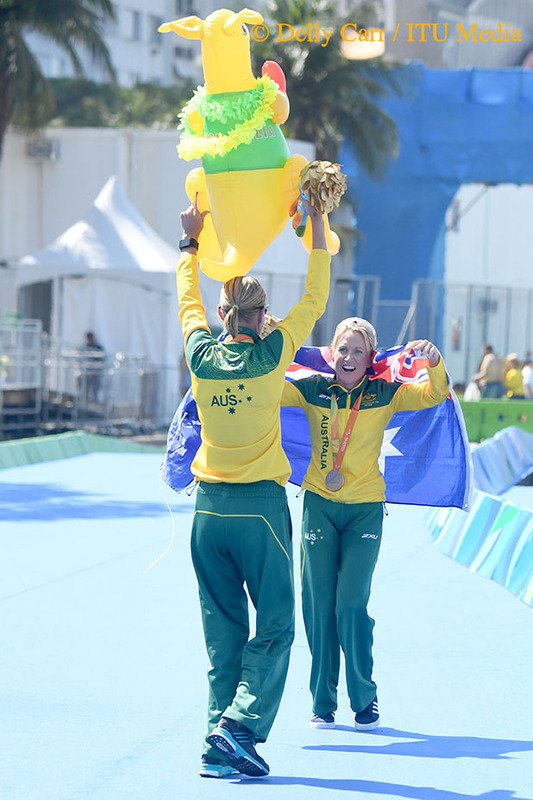 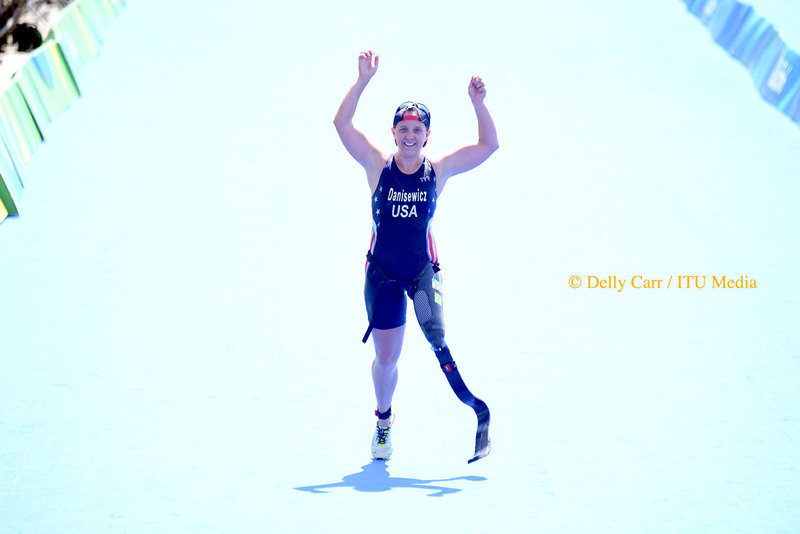 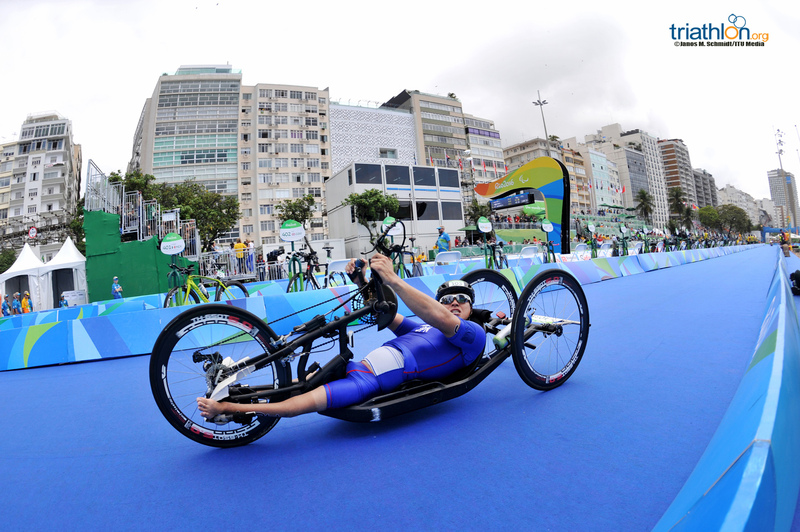 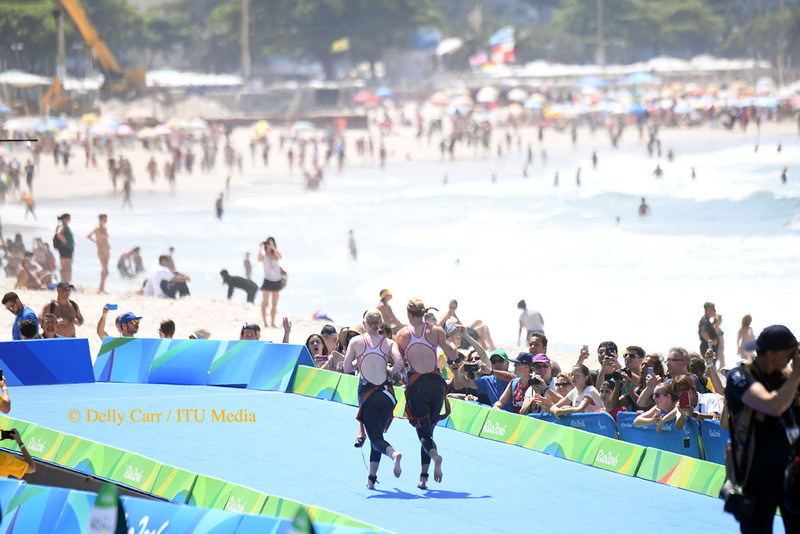 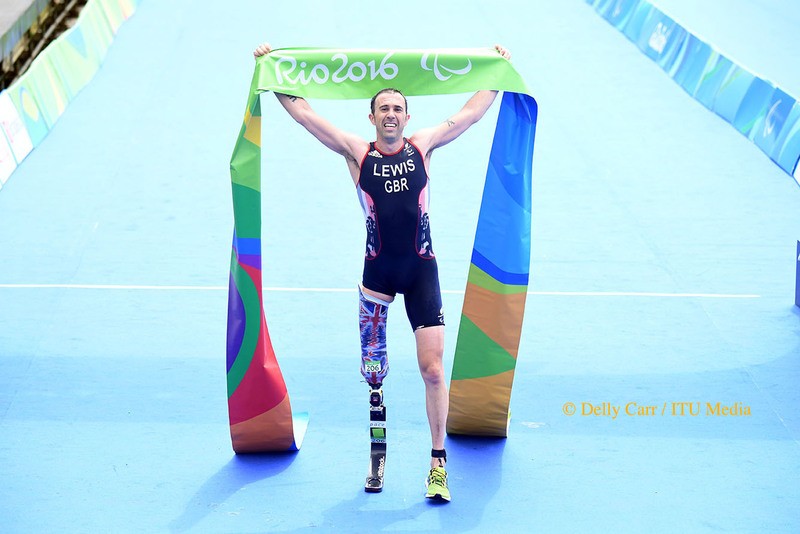 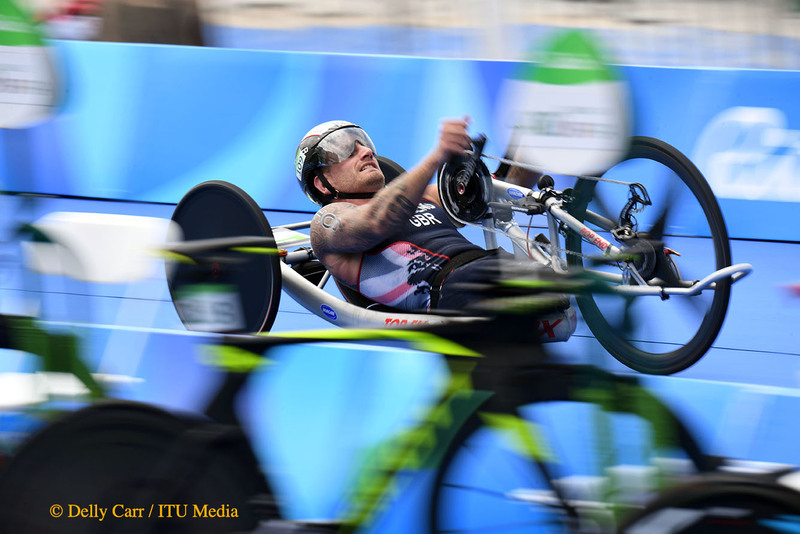 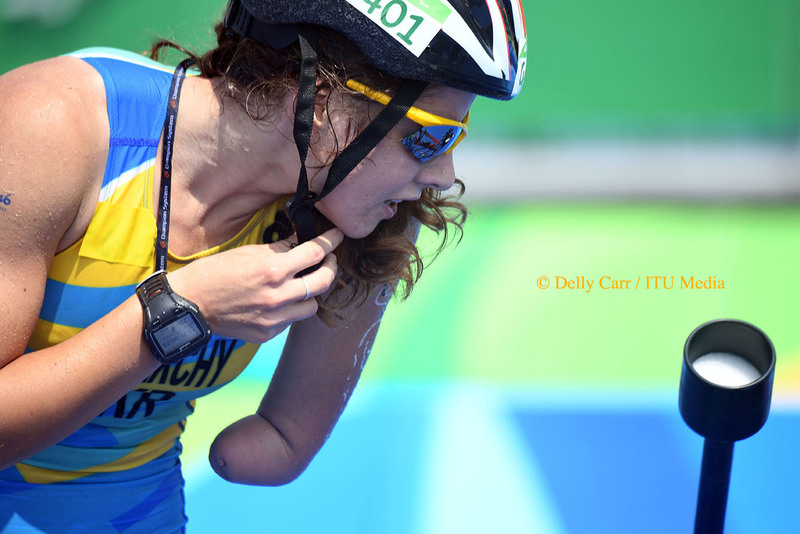 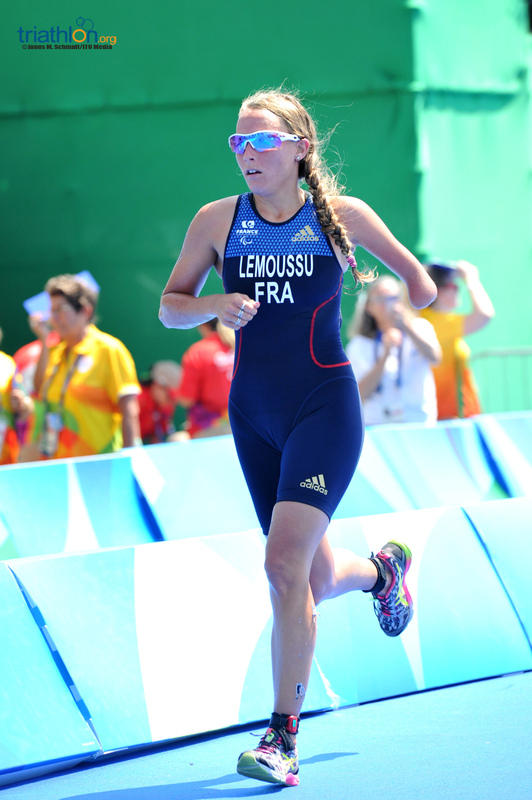 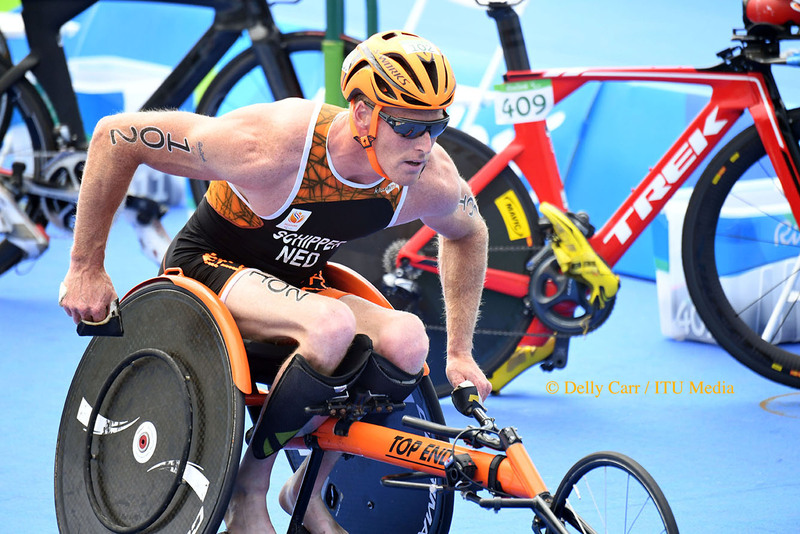 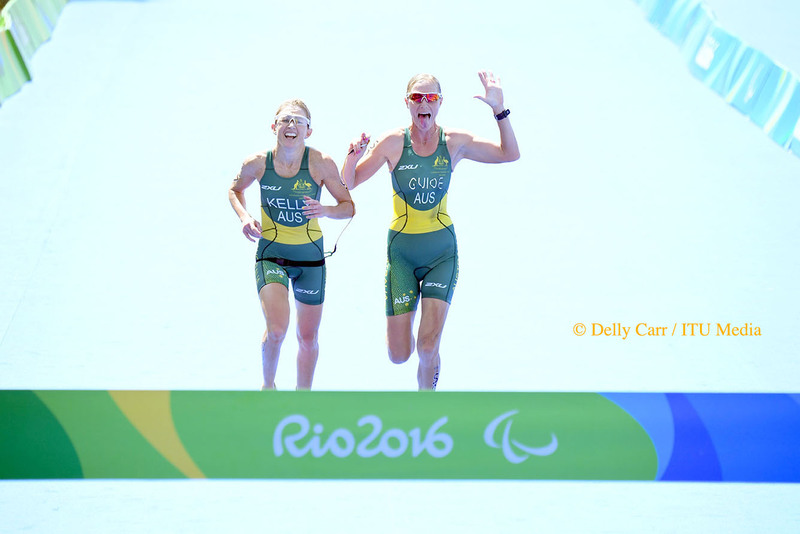 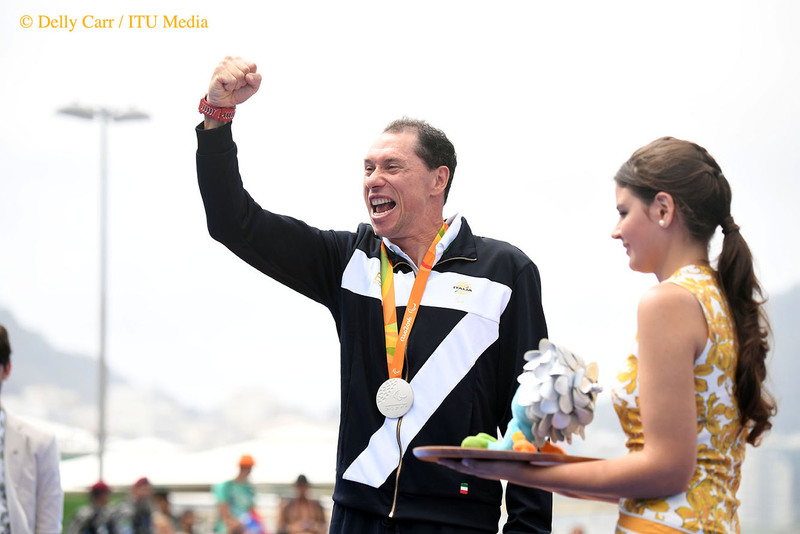 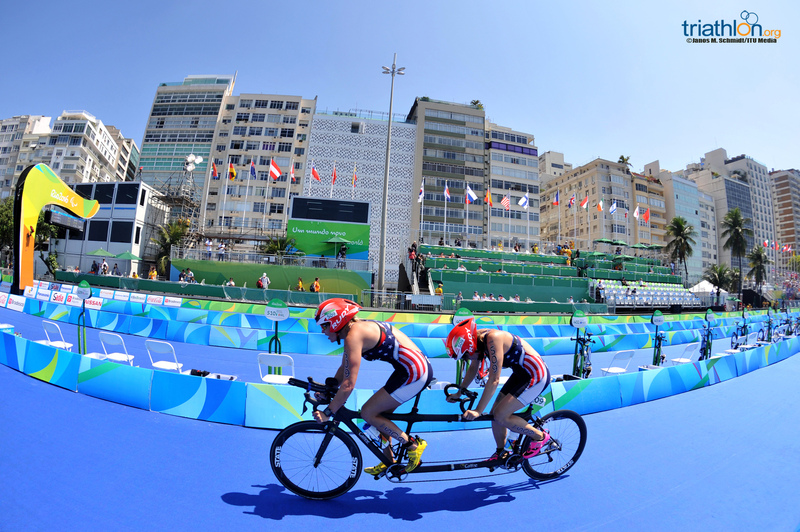 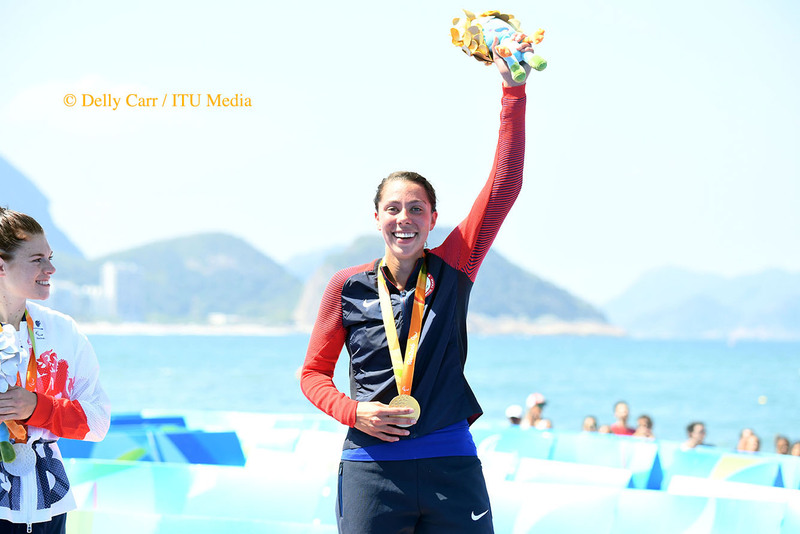 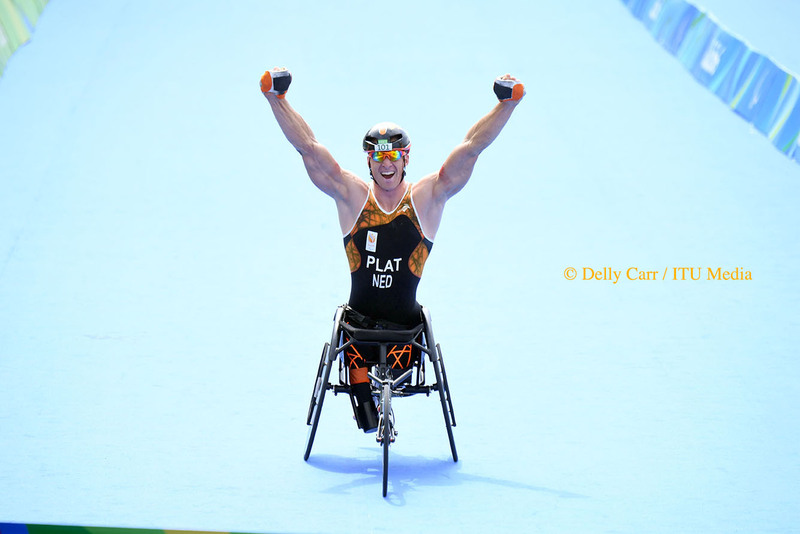 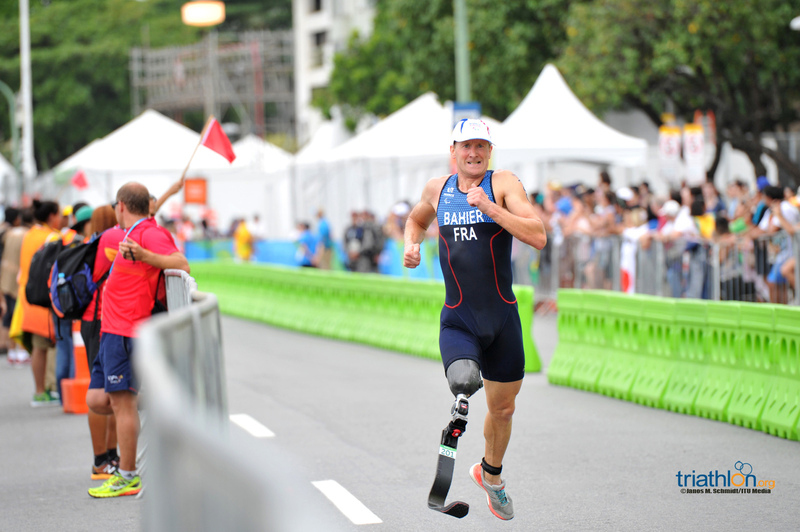 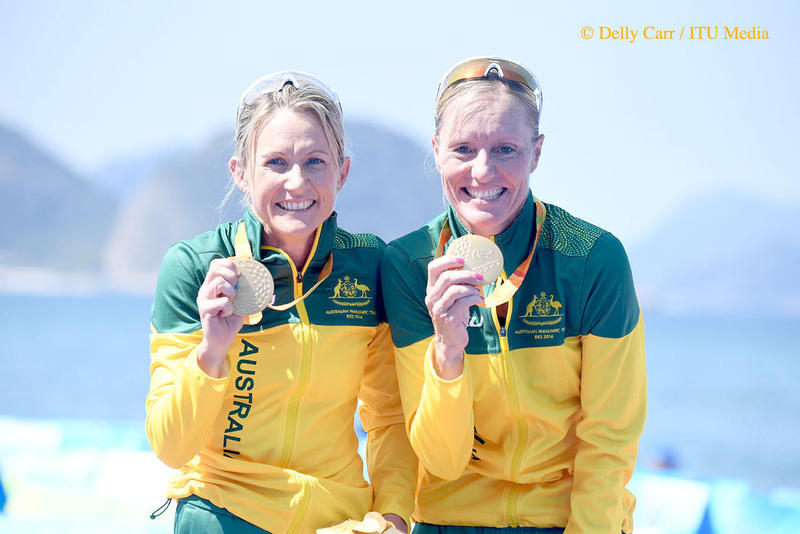 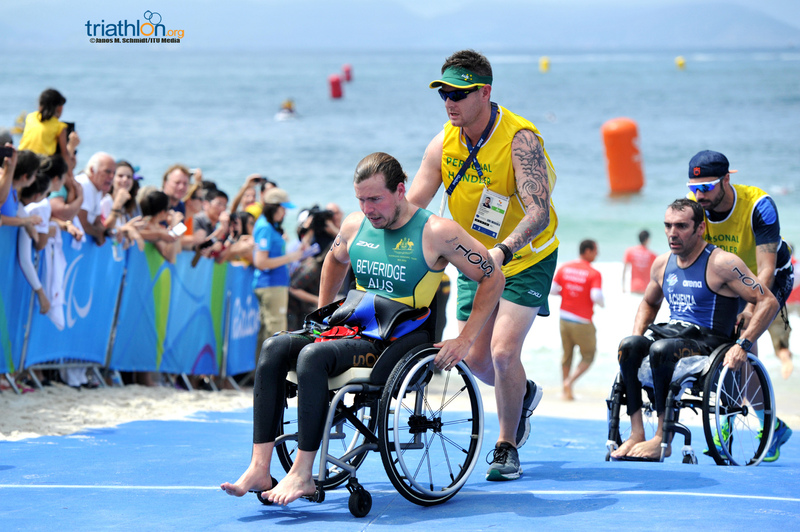 On September 11, the fastest women from paratriathlon will take to Copacabana Beach as the first edition of ladies to ever race for Paralympic gold medals in the sport of paratriathlon. 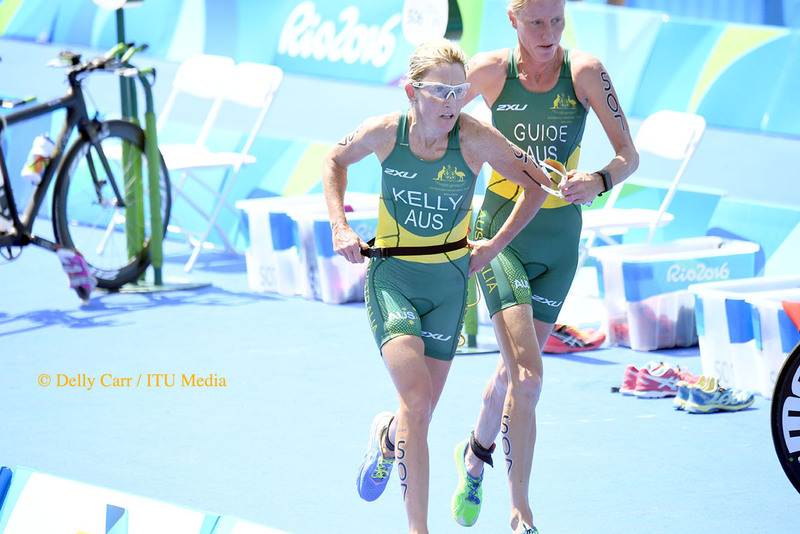 Stacked with speedy start lists, the women will get underway on Sunday at 10am with the women’s PT4 sport class. 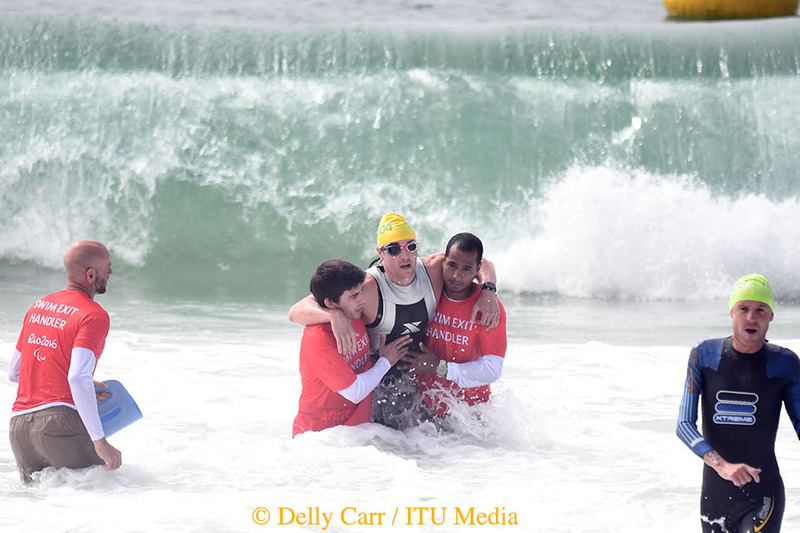 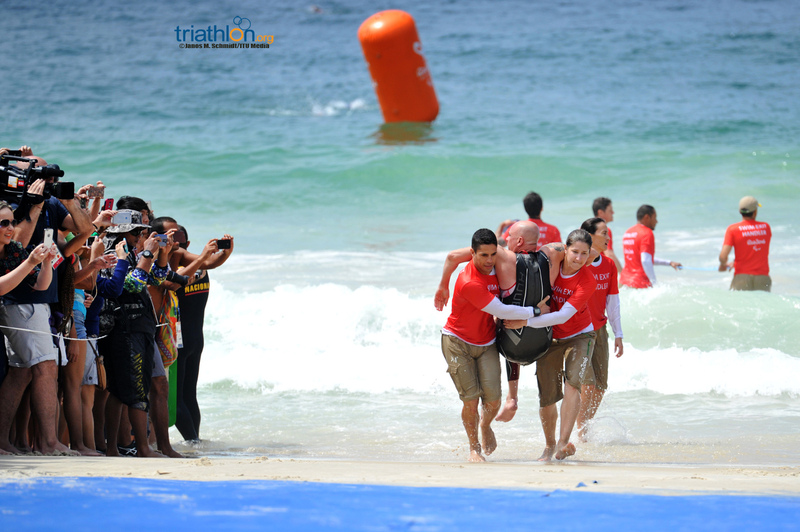 Three minutes later, the PT2 sport class take off, while PT5 women go in waves beginning at 11:35am BRT. 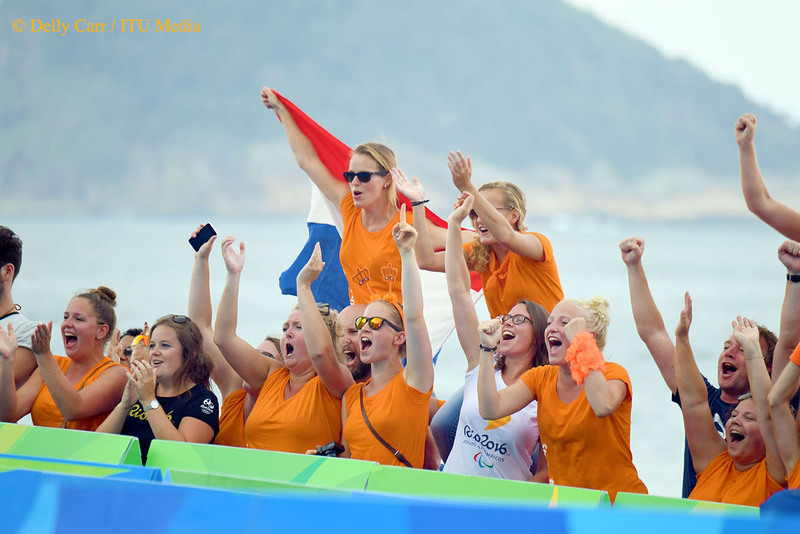 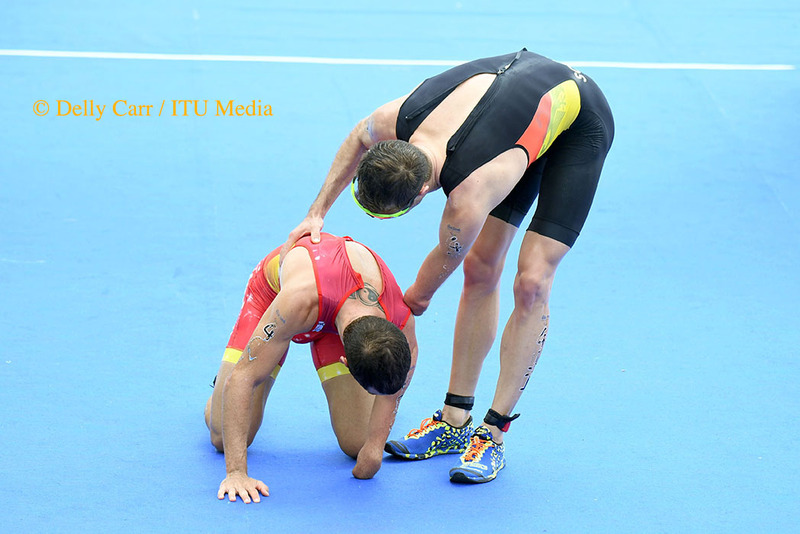 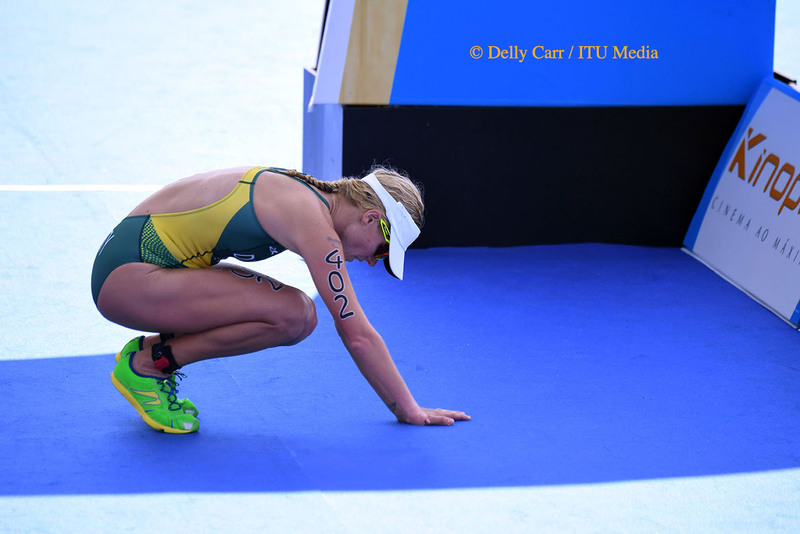 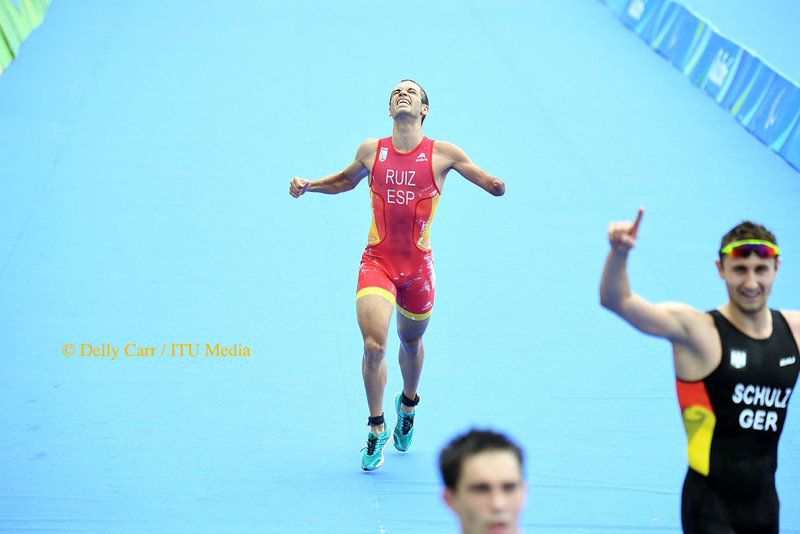 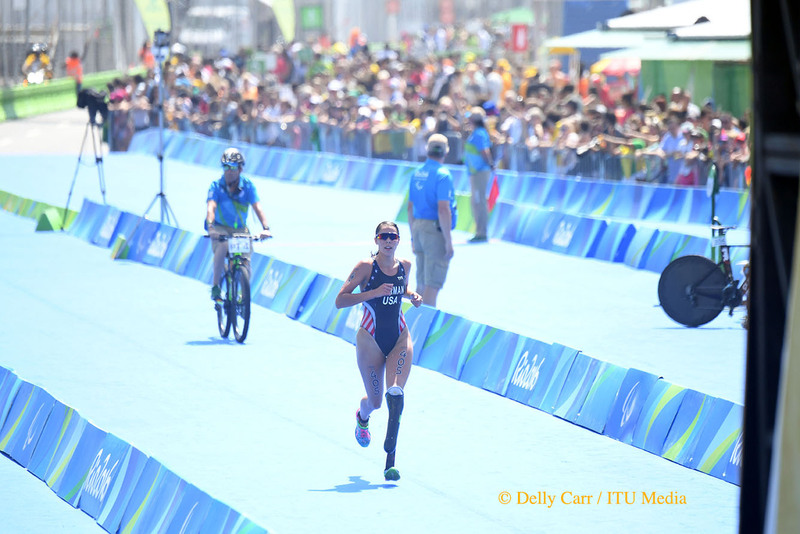 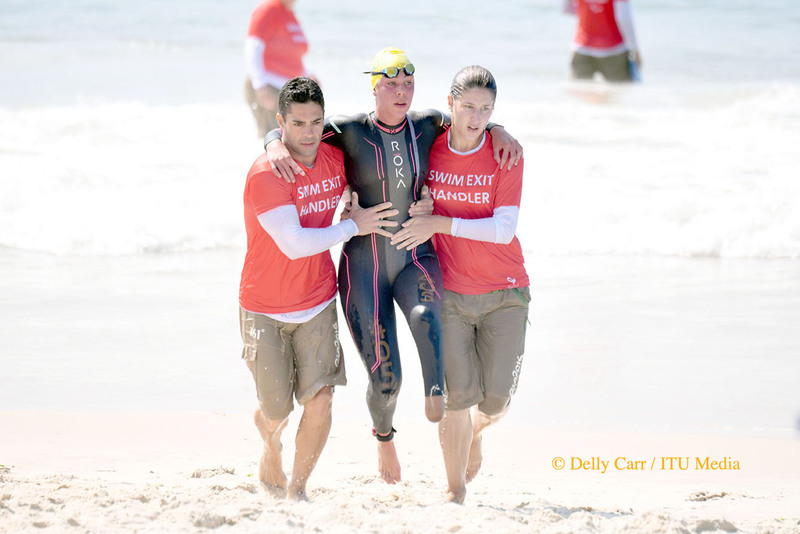 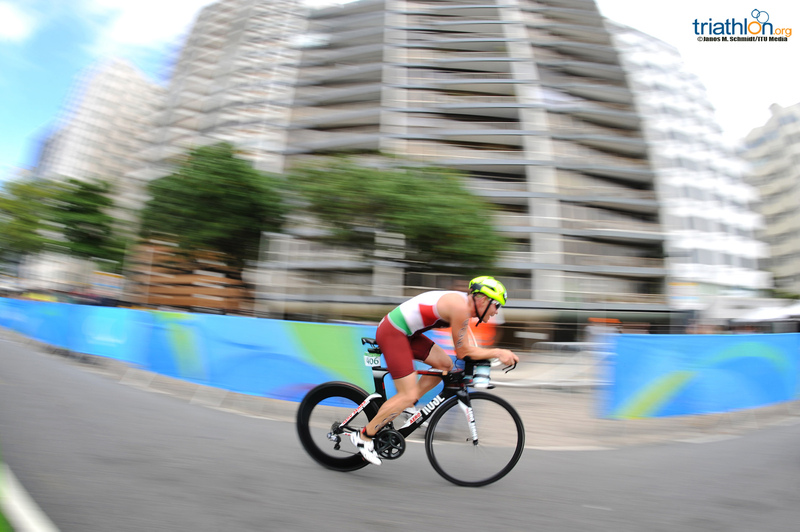 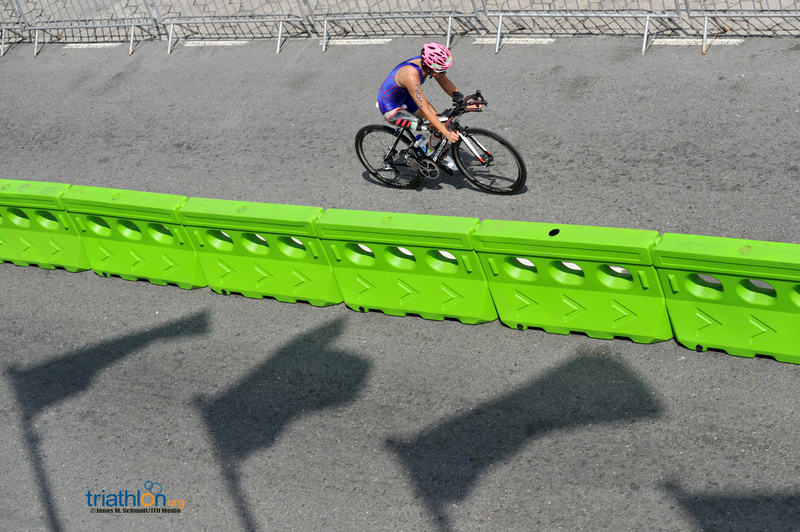 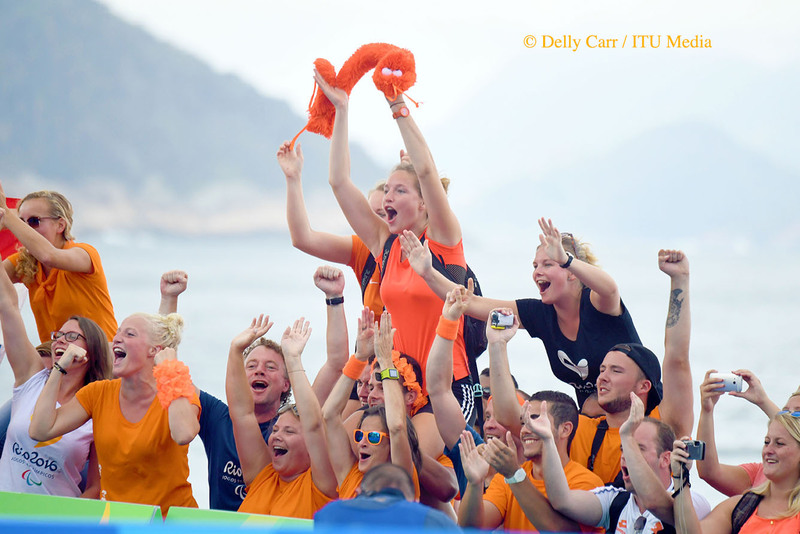 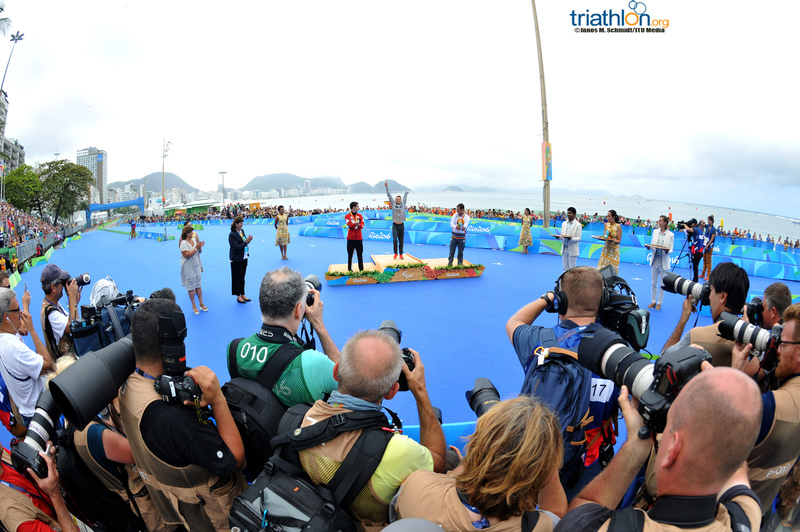 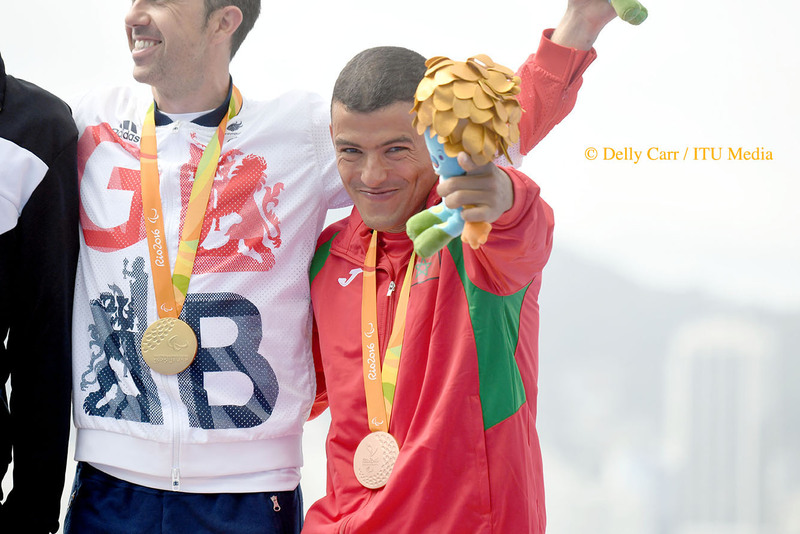 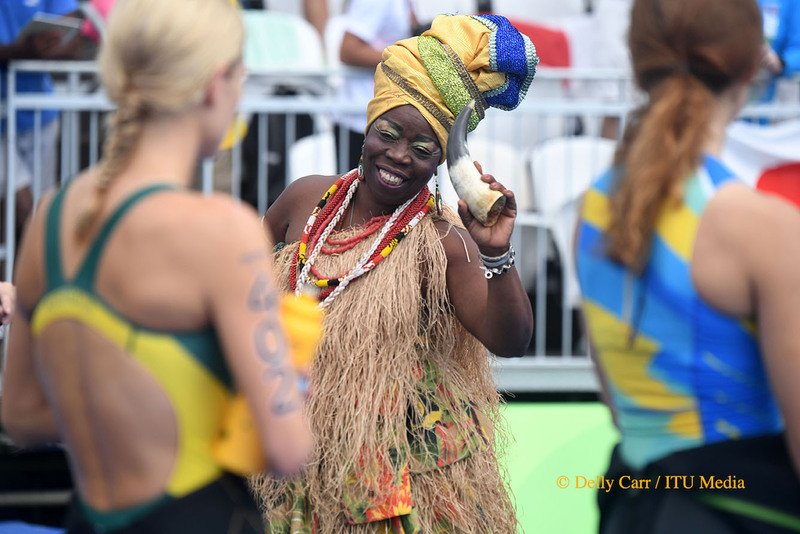 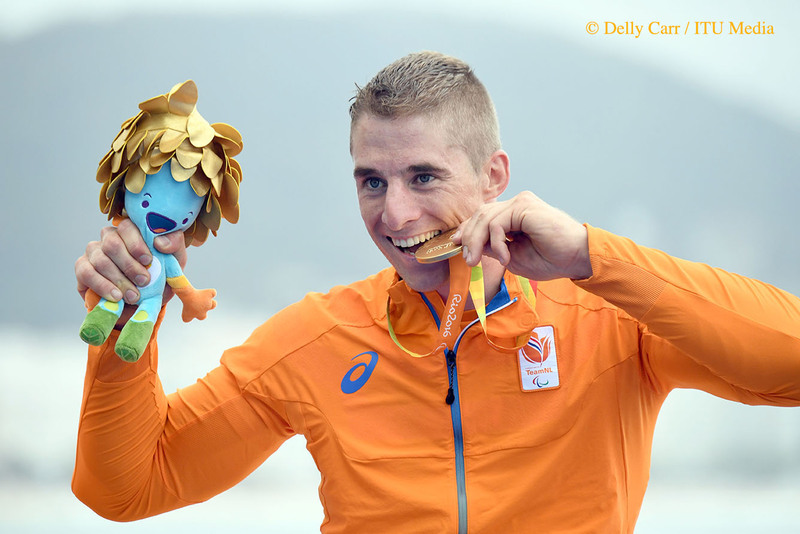 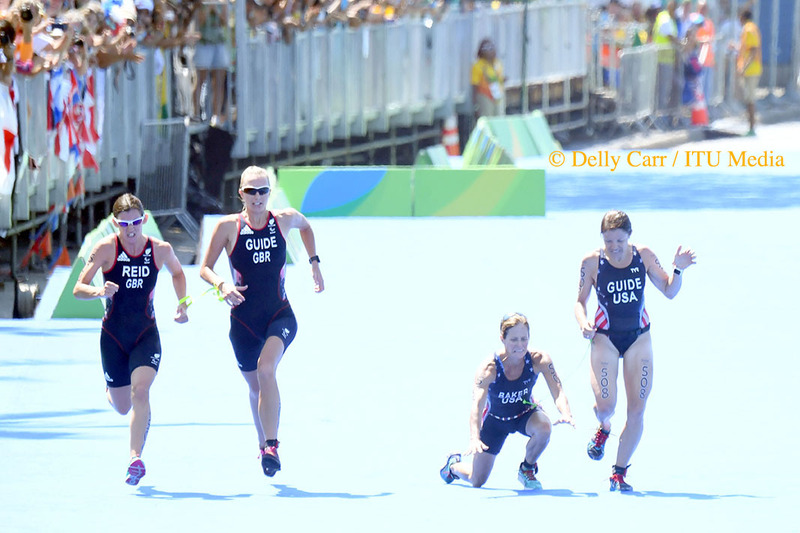 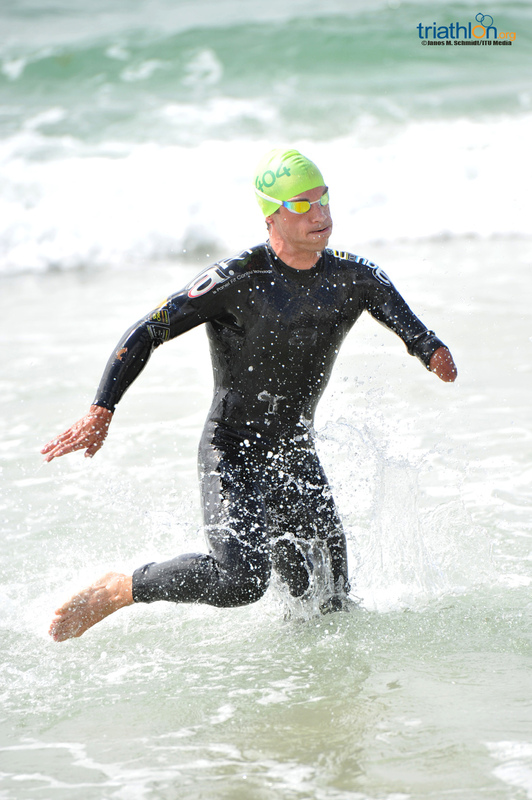 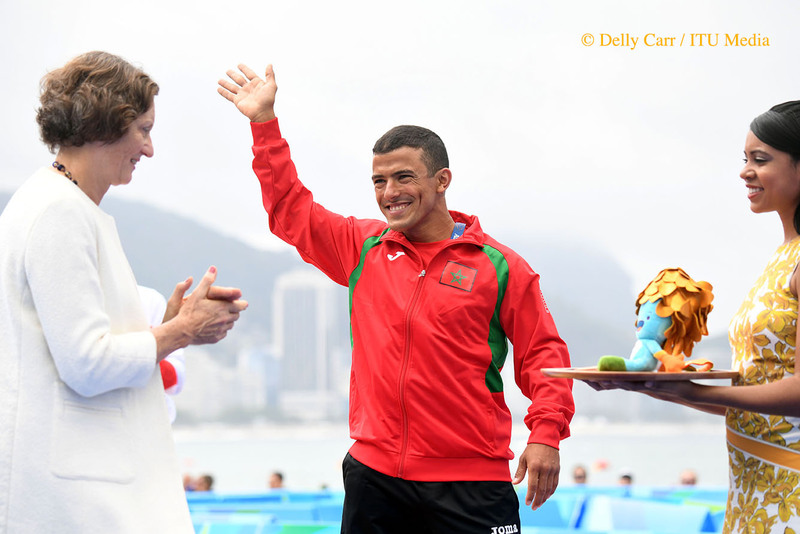 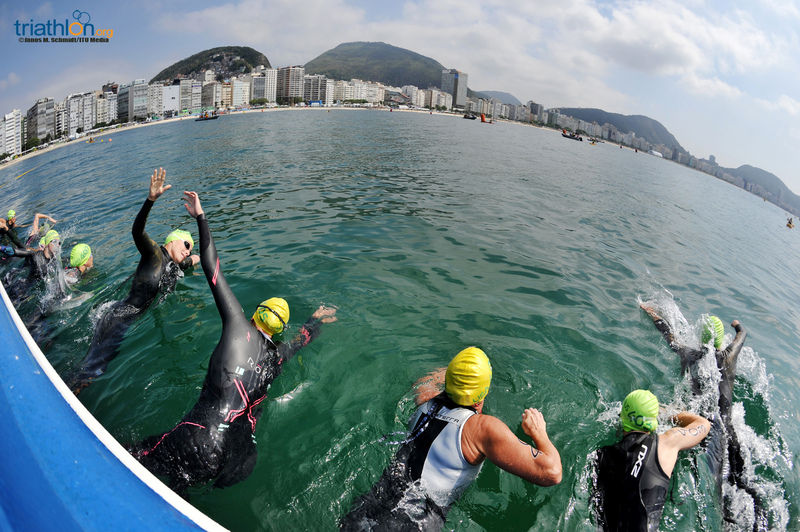 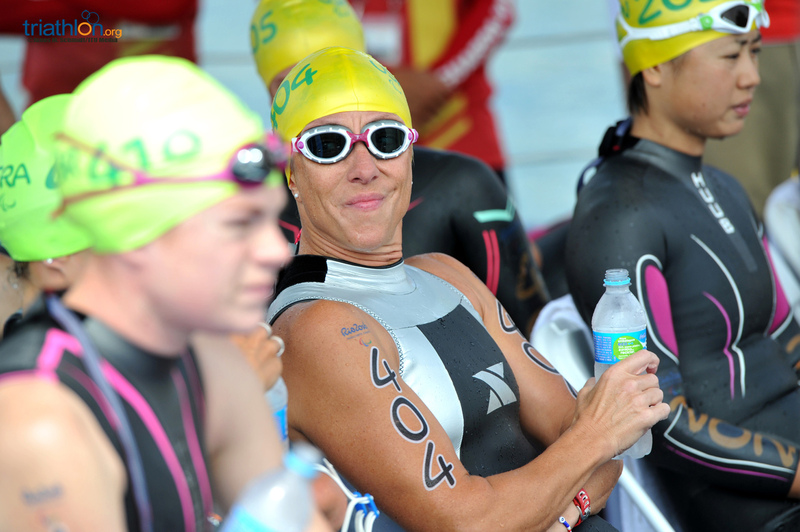 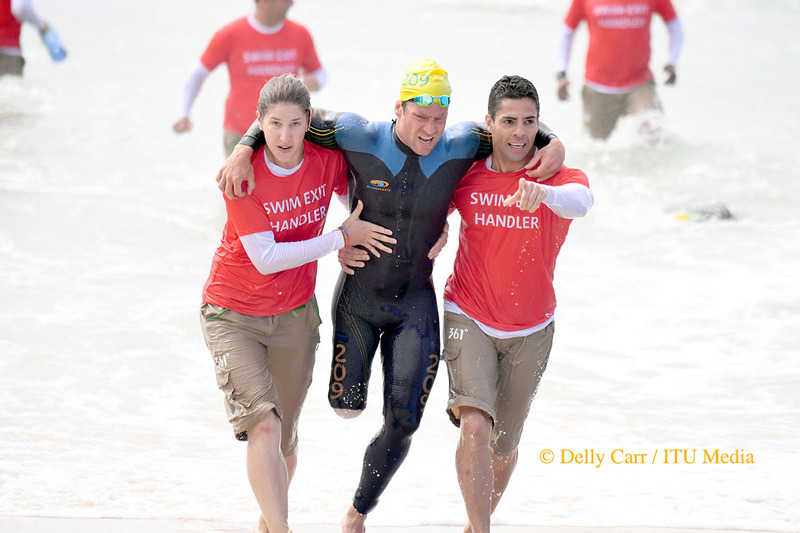 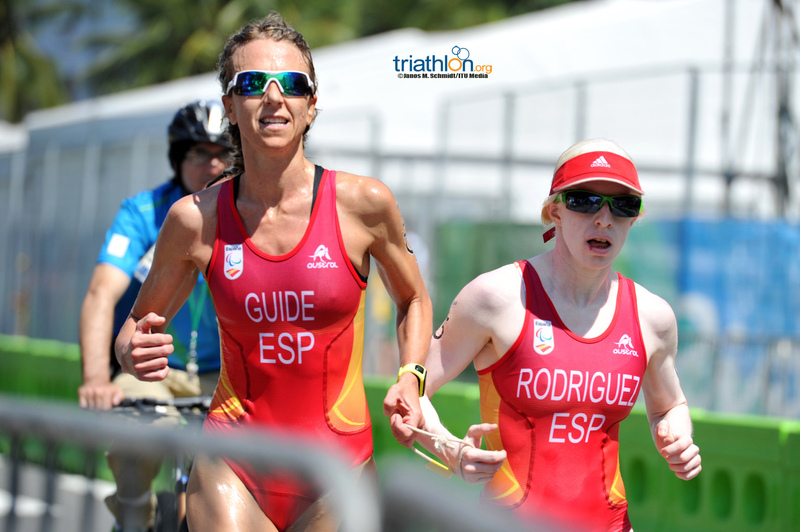 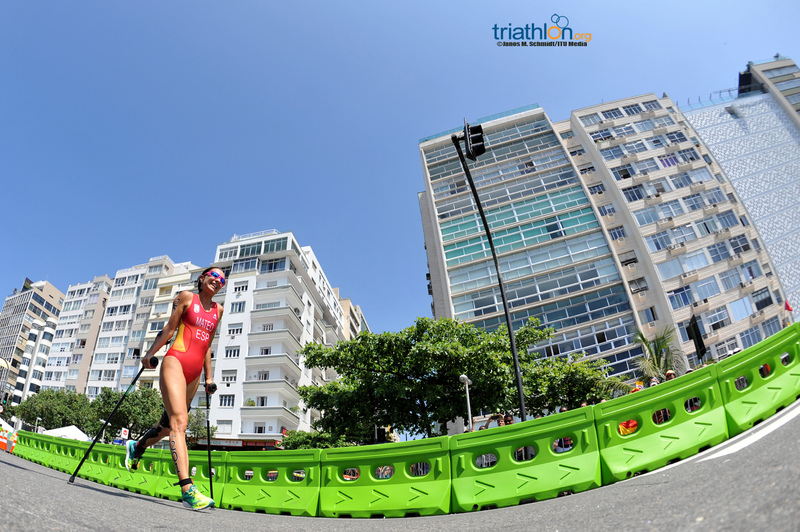 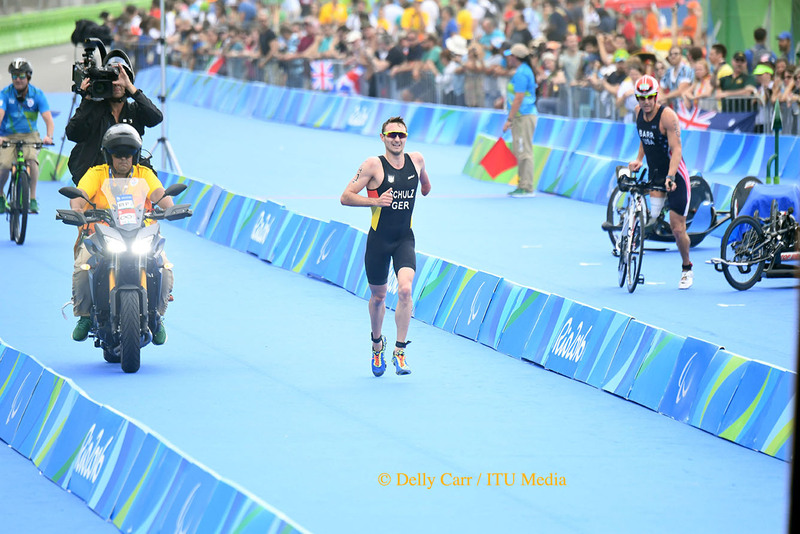 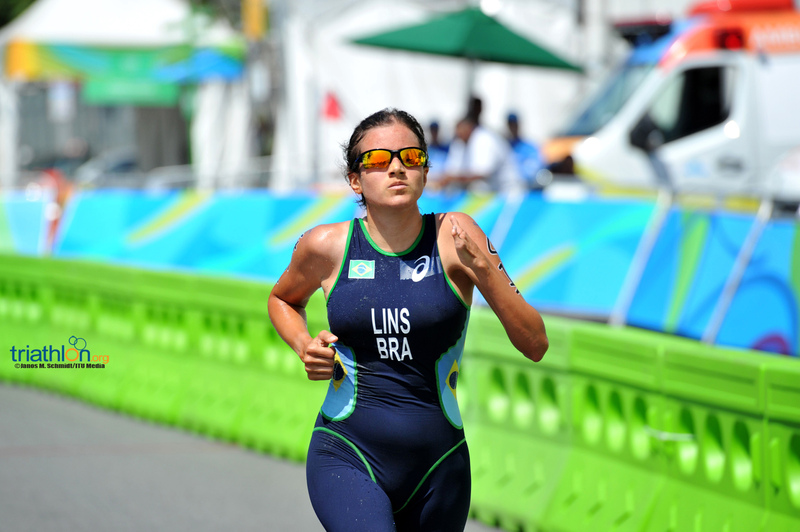 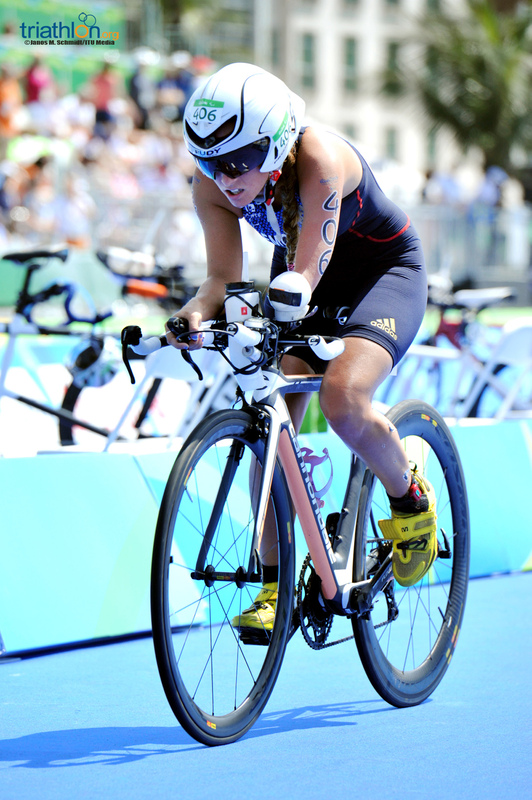 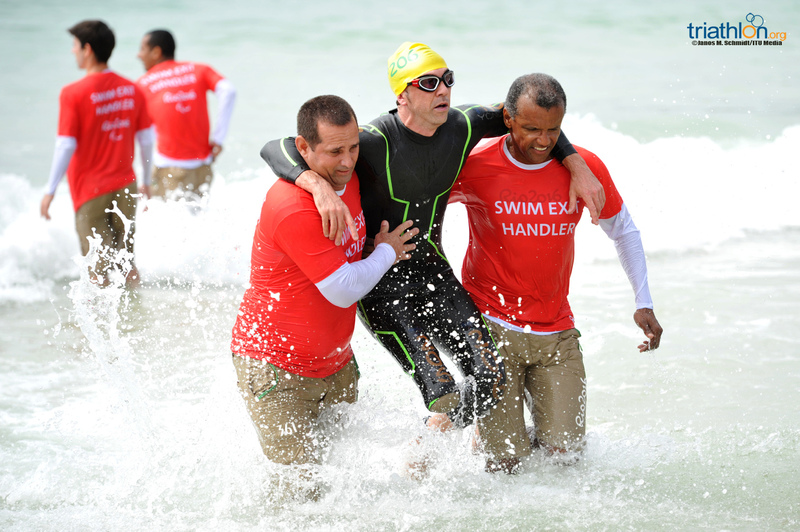 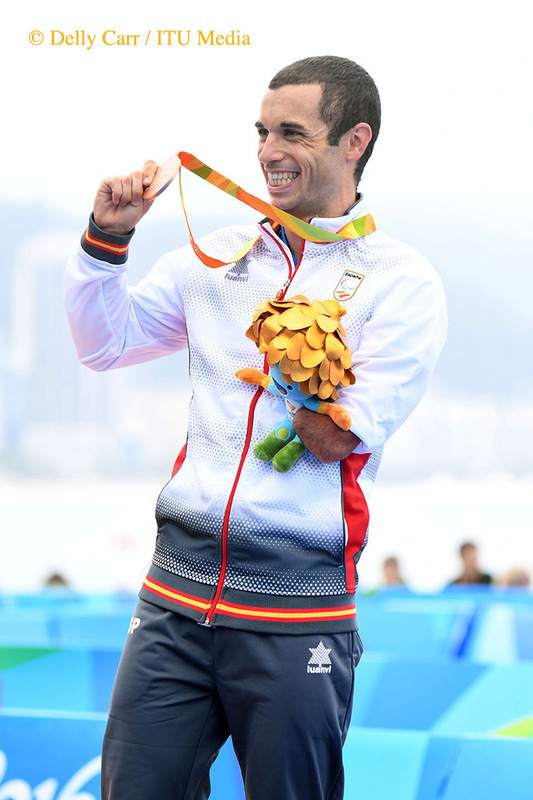 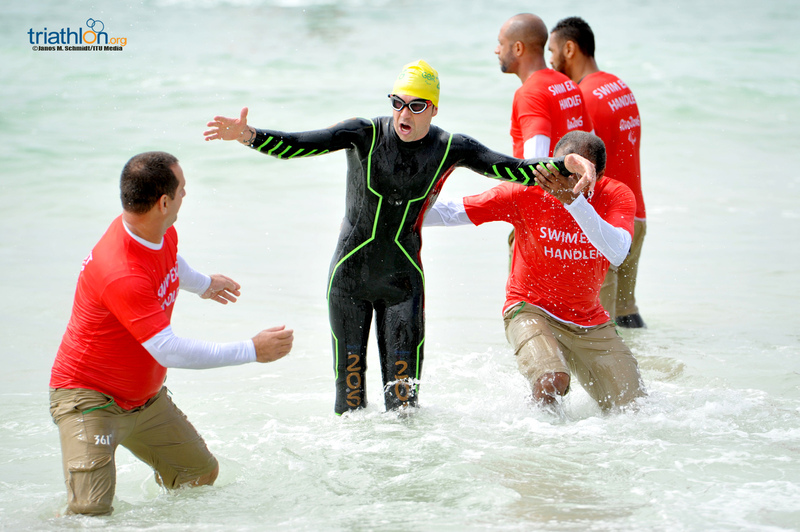 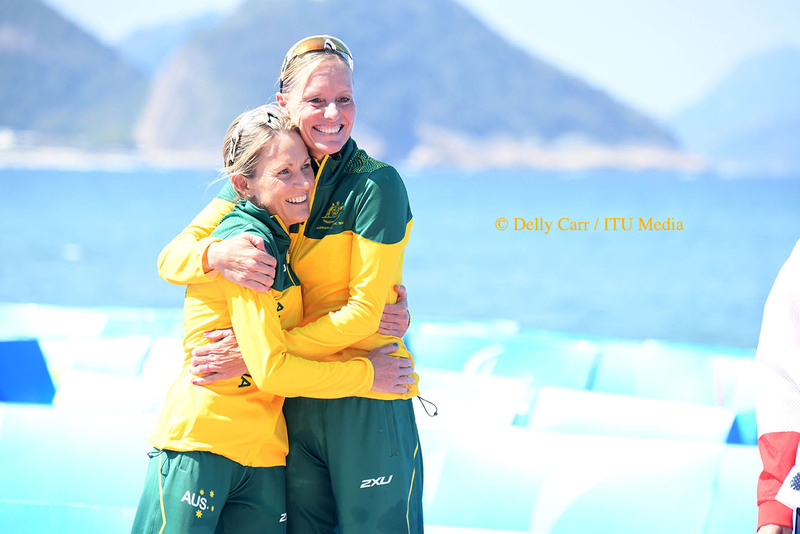 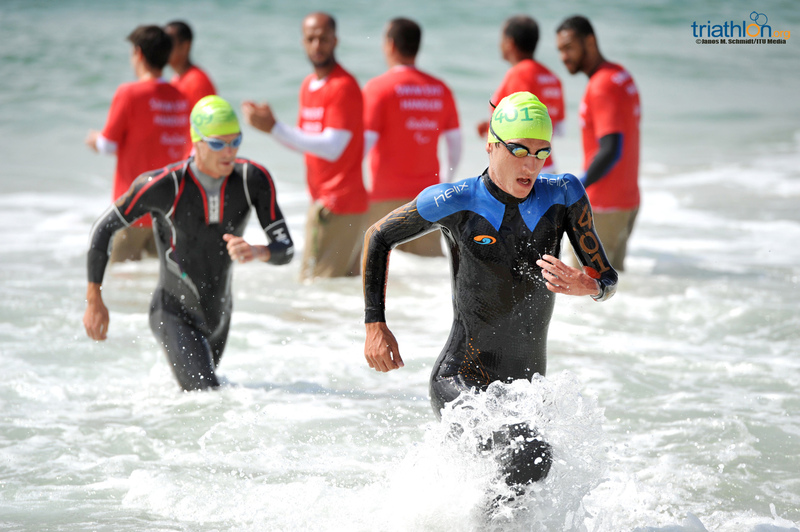 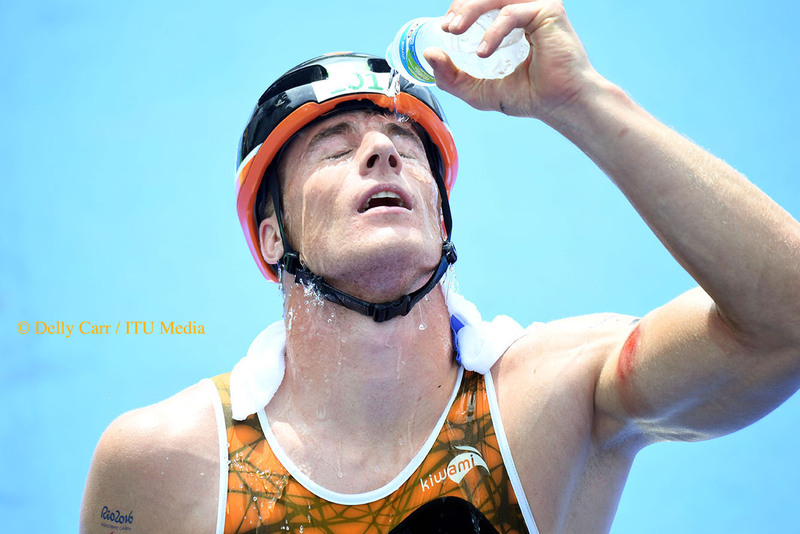 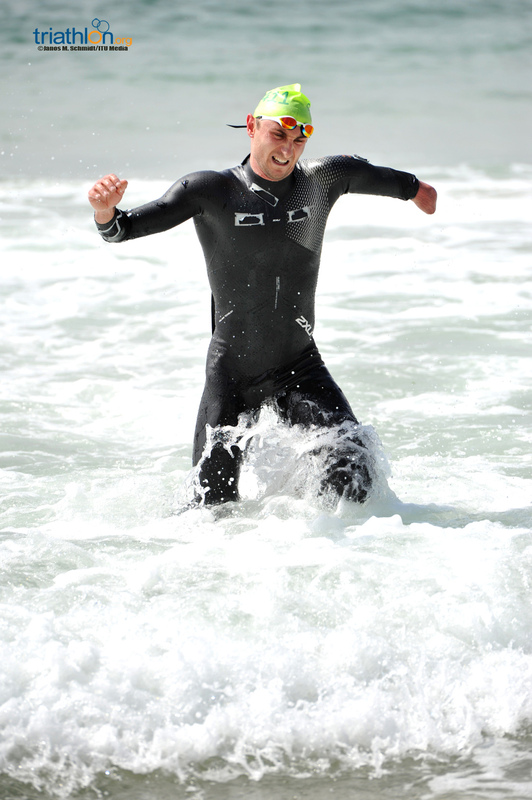 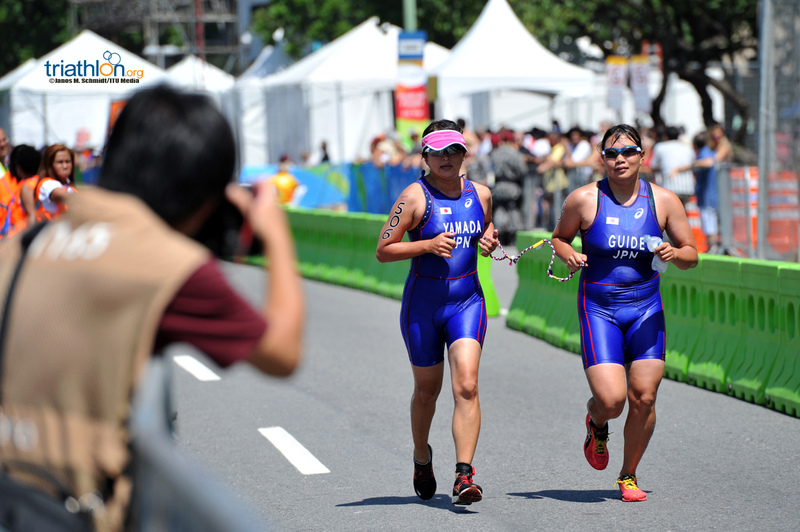 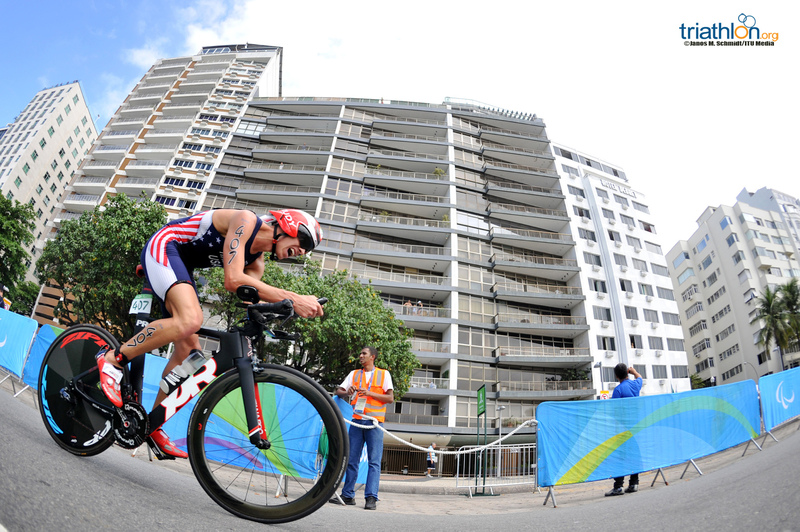 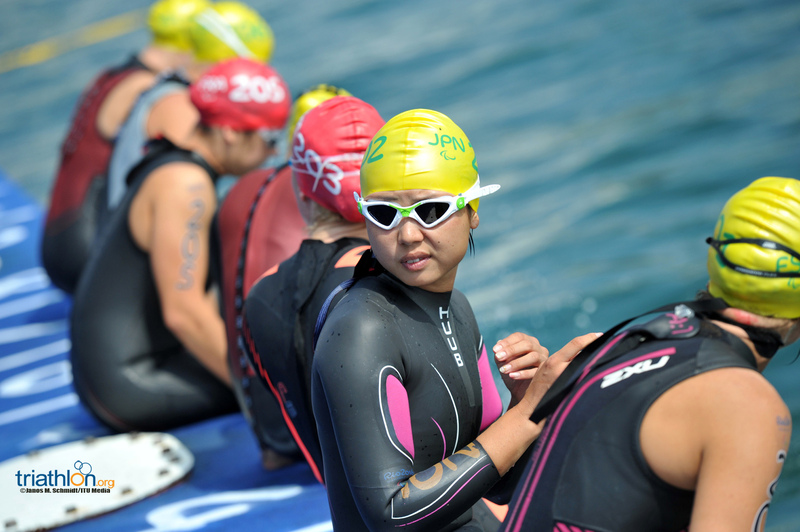 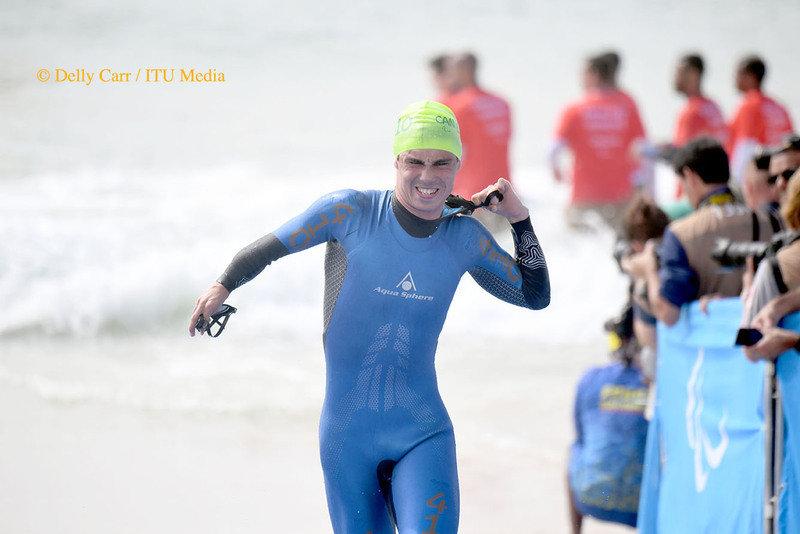 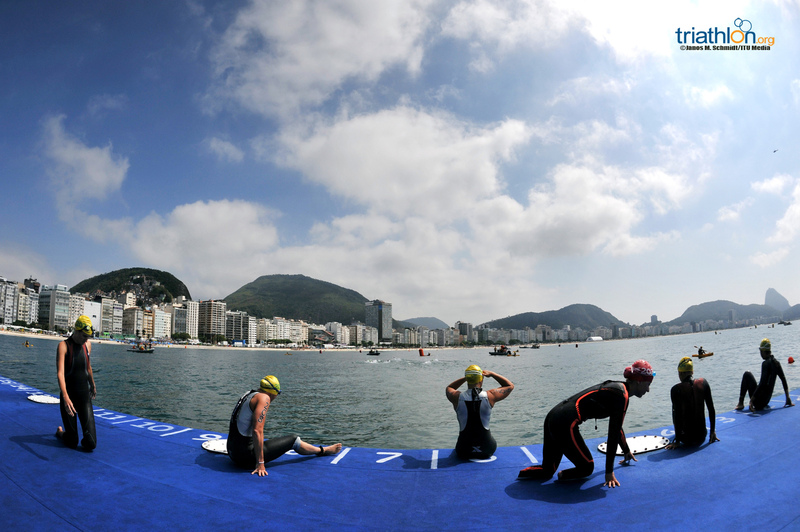 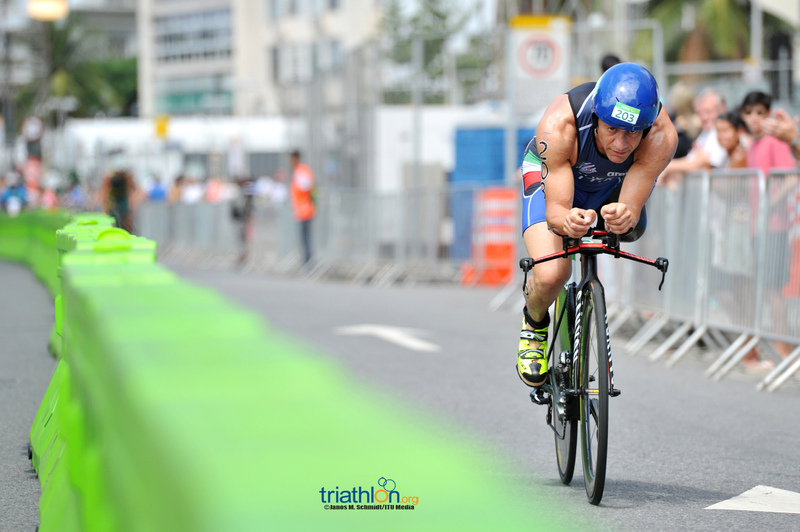 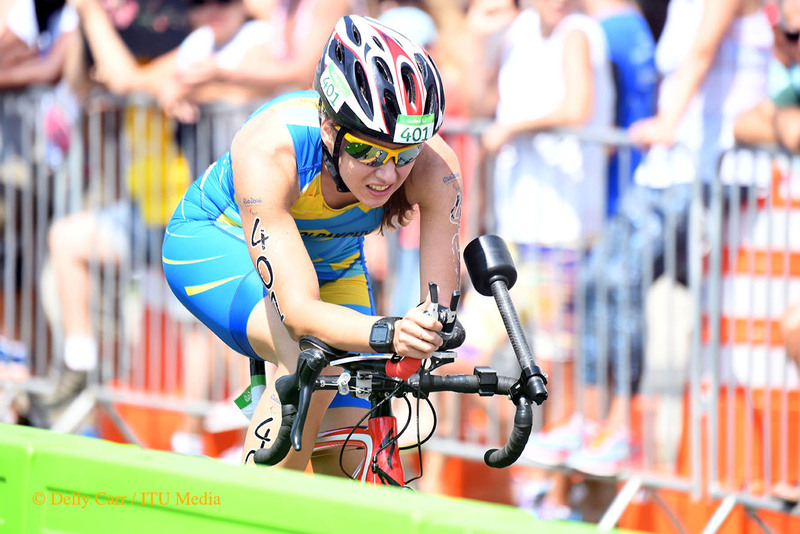 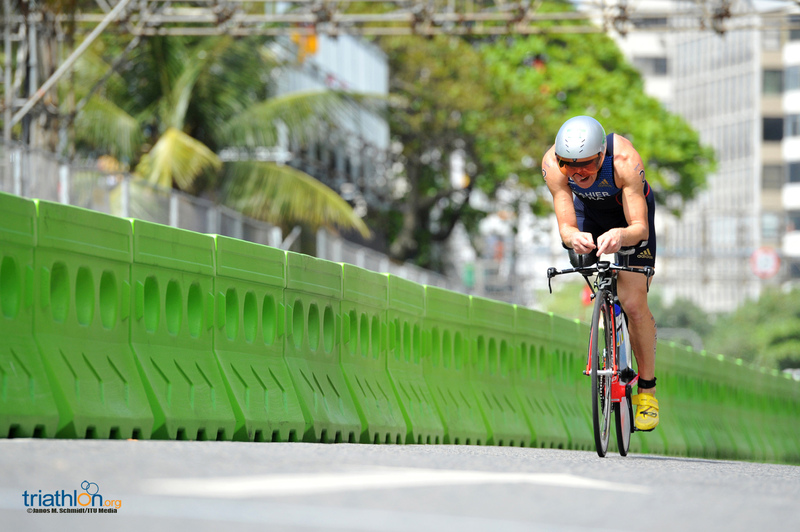 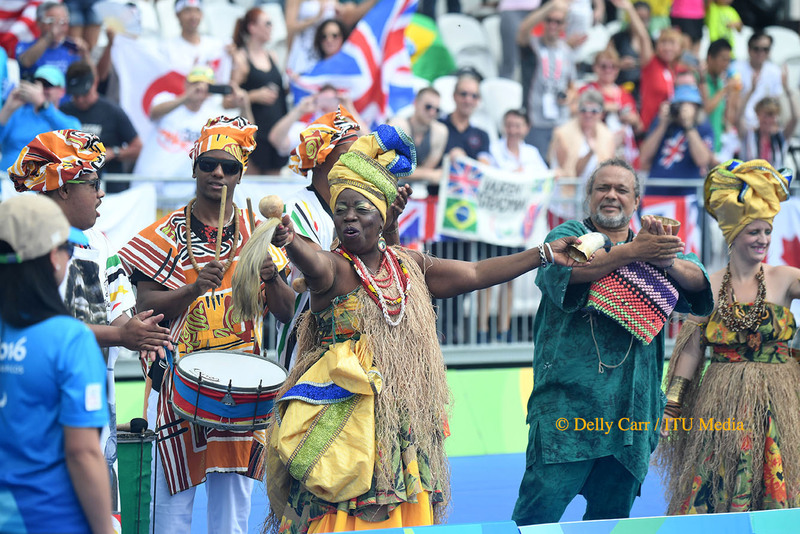 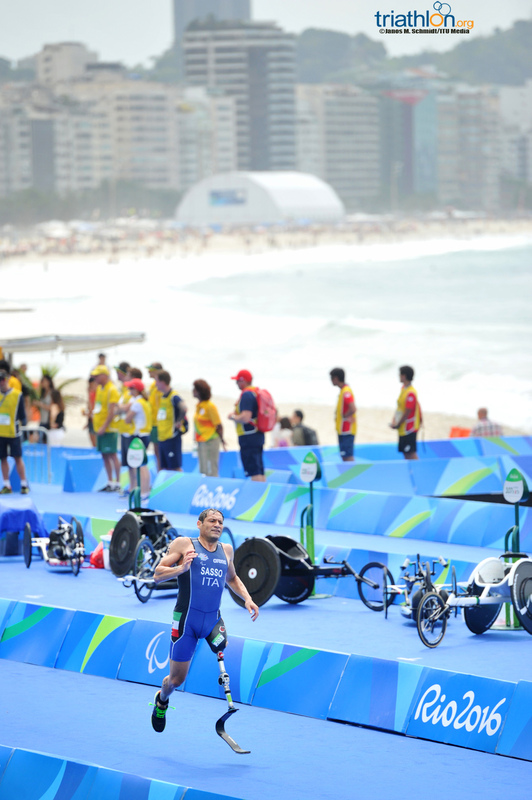 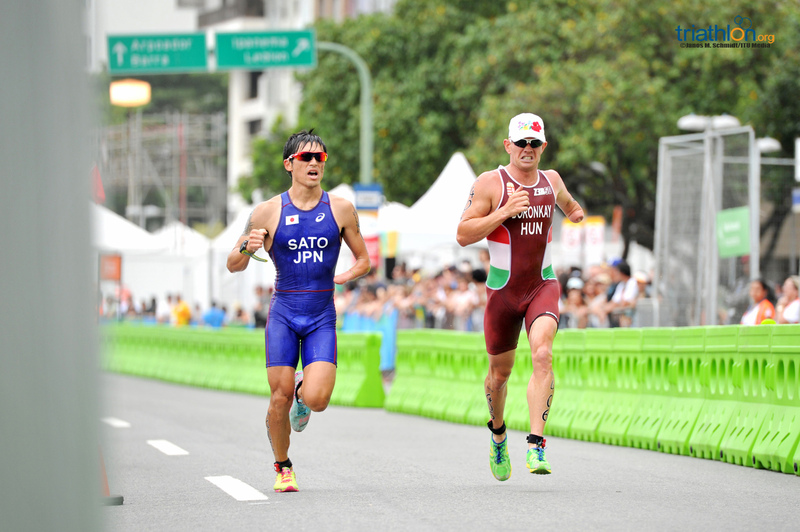 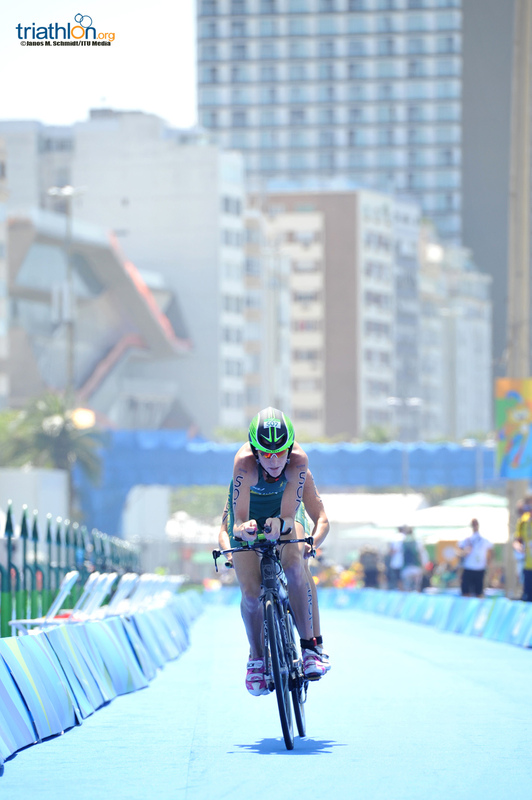 The women will swim 750m starting at Copacabana Beach, then bike 20km followed by a 5km run along Atlantic Avenue. 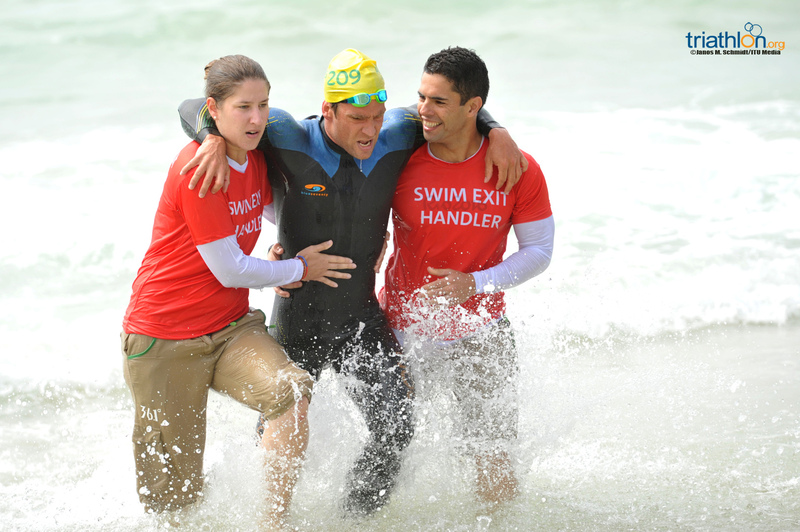 Click here for the course. 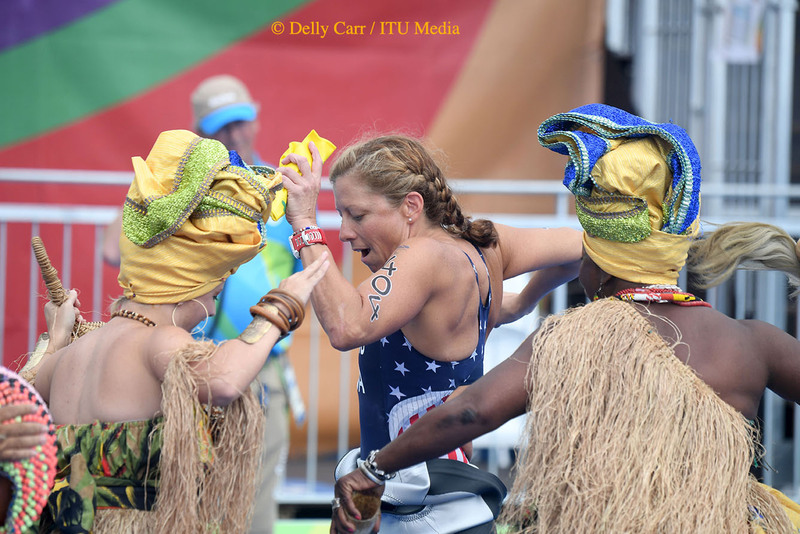 In the women’s PT2 sport class, it looks like it will be a it’ll be a red, white and blue suffer fest with three incredibly dominant American women lining up. 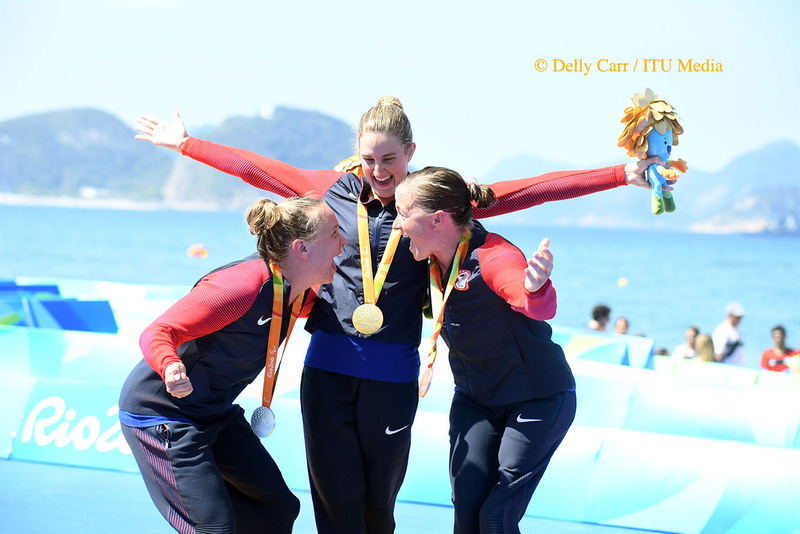 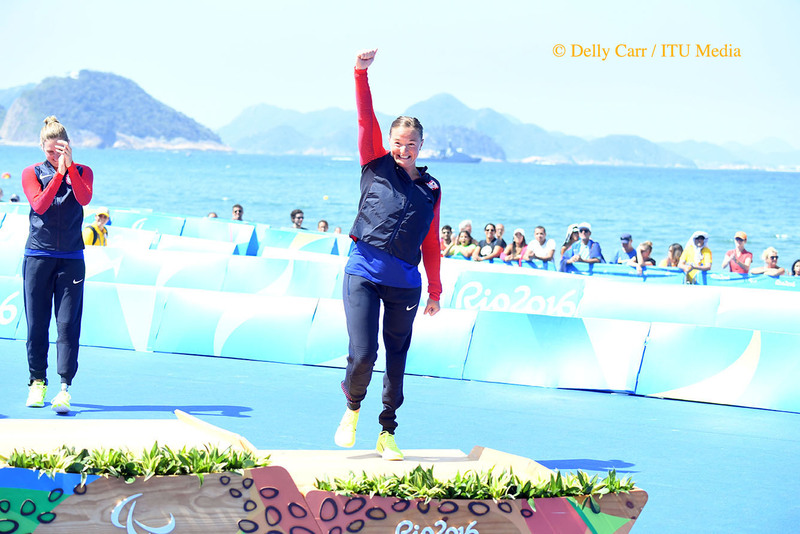 The USA’s three women are the top ranked athletes in the sport class and went 1-2-3 at the test event last year. 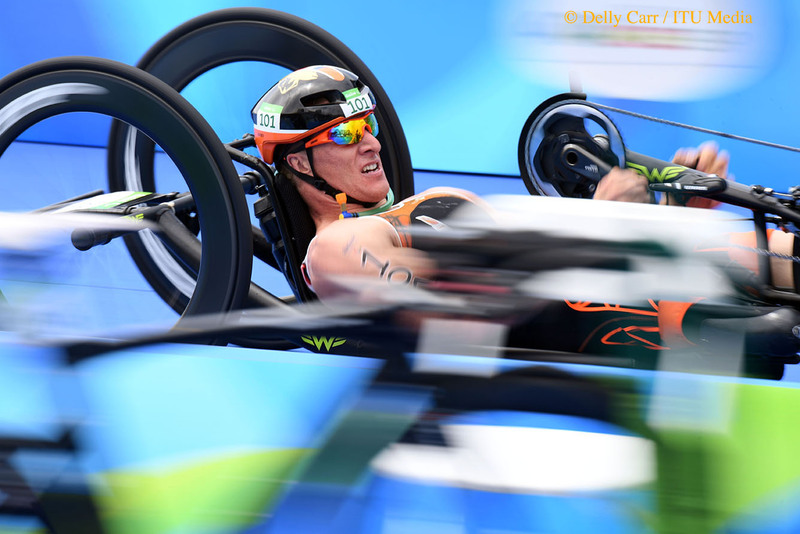 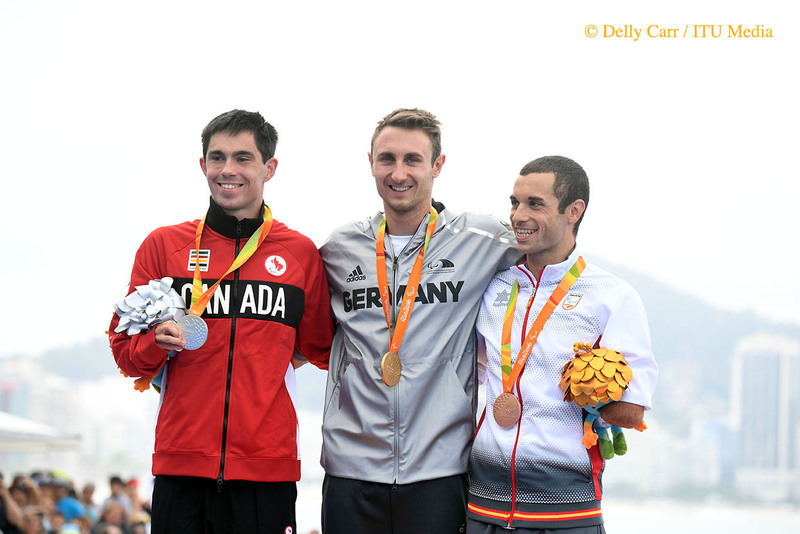 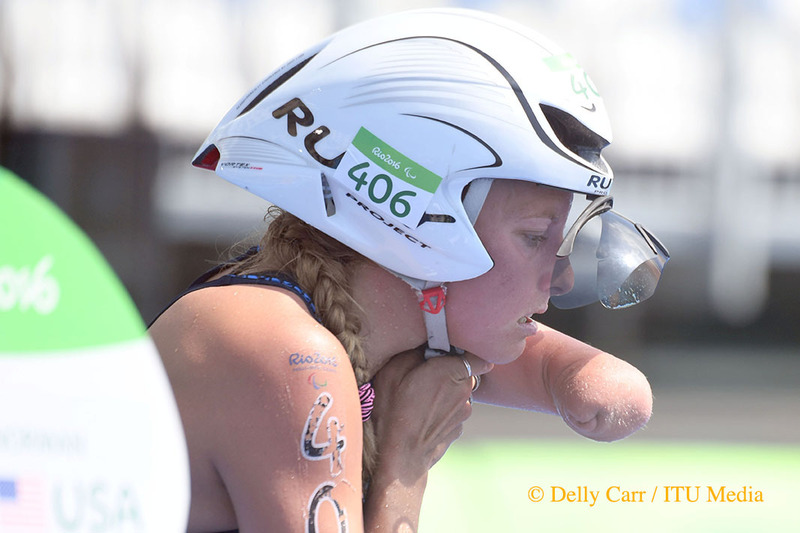 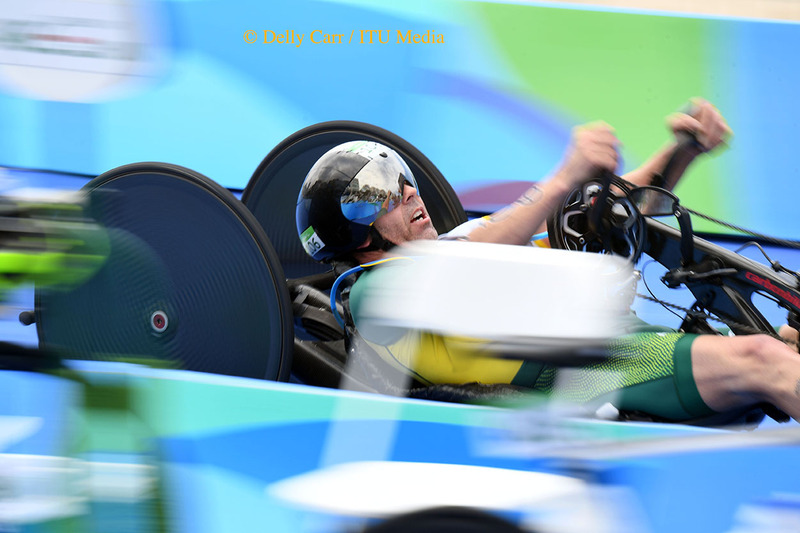 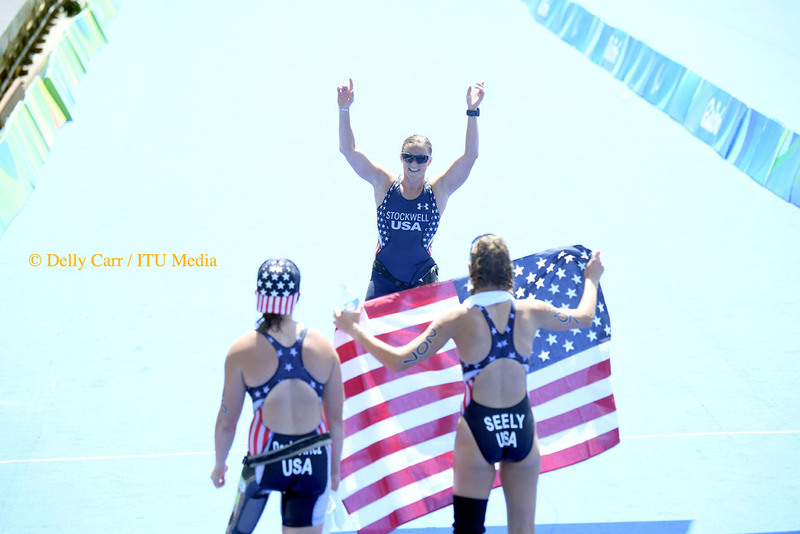 Allysa Seely leads the trio as the top-ranked woman on the Paralympic Qualification List having won every race she entered since Edmonton in 2015, including the 2015 World Championships. 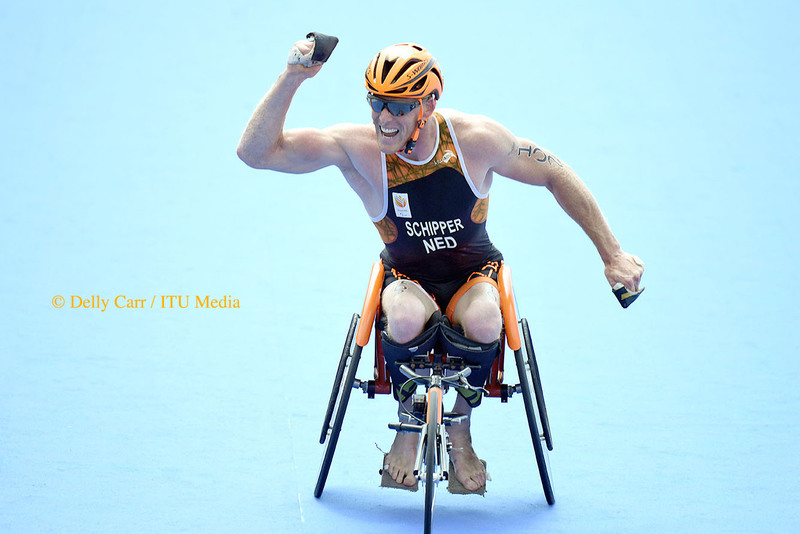 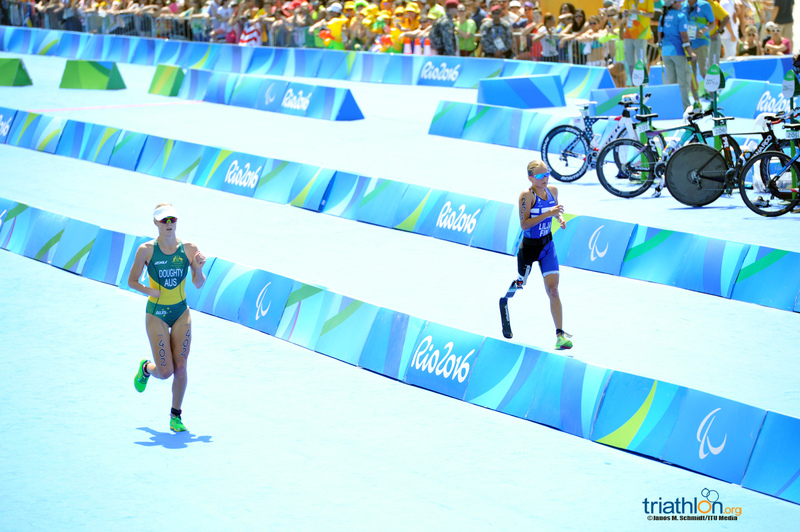 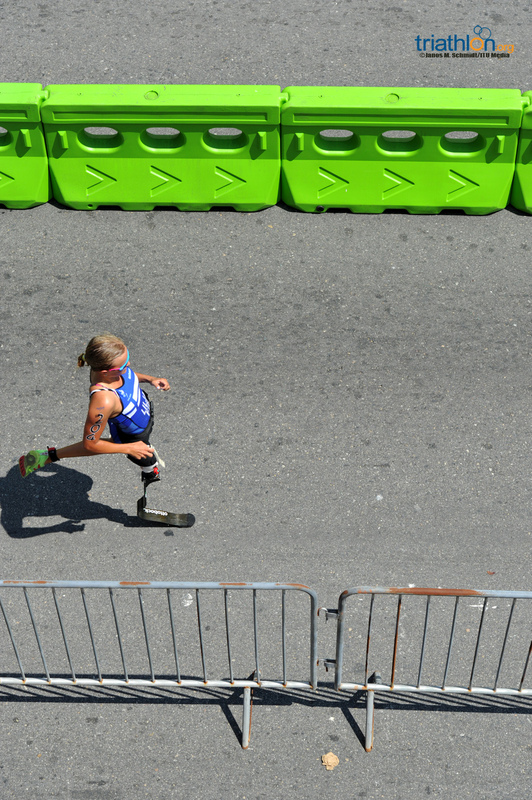 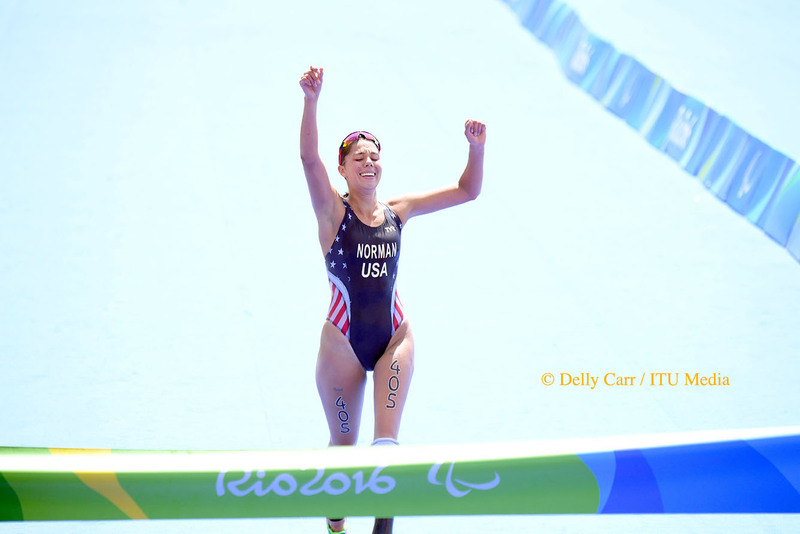 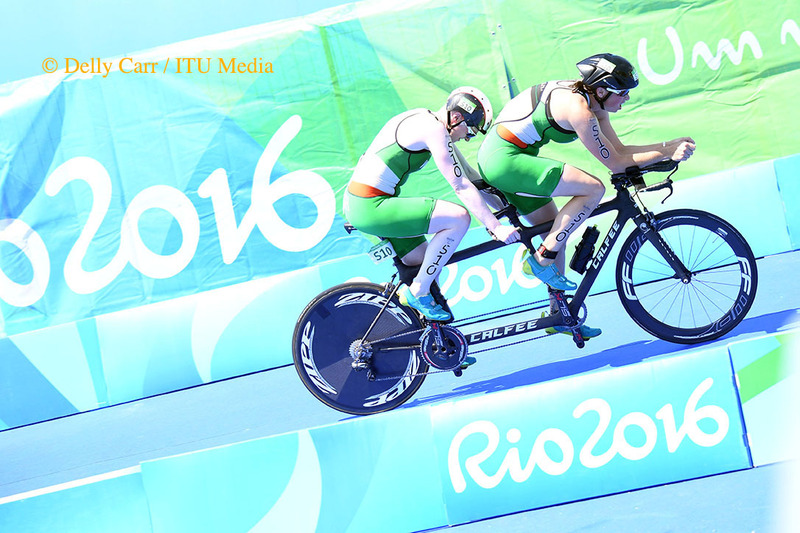 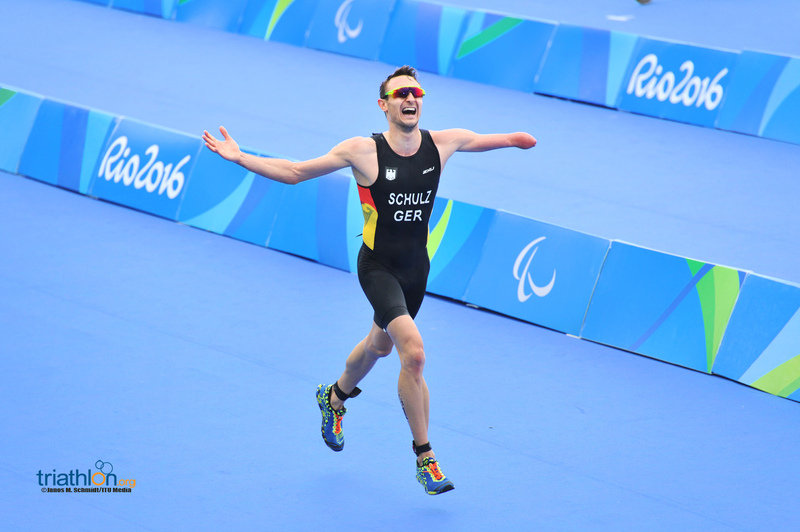 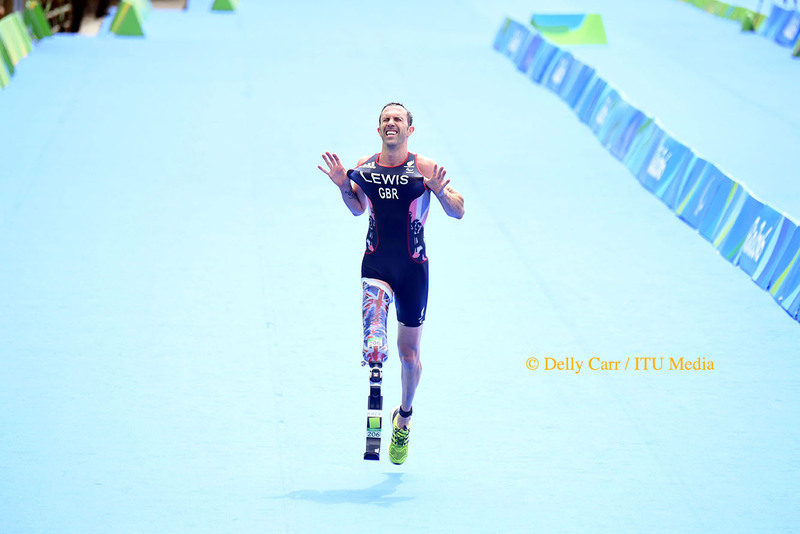 While the 2016 World Champs didn’t count towards her Paralympic qualification, she won that race, too. 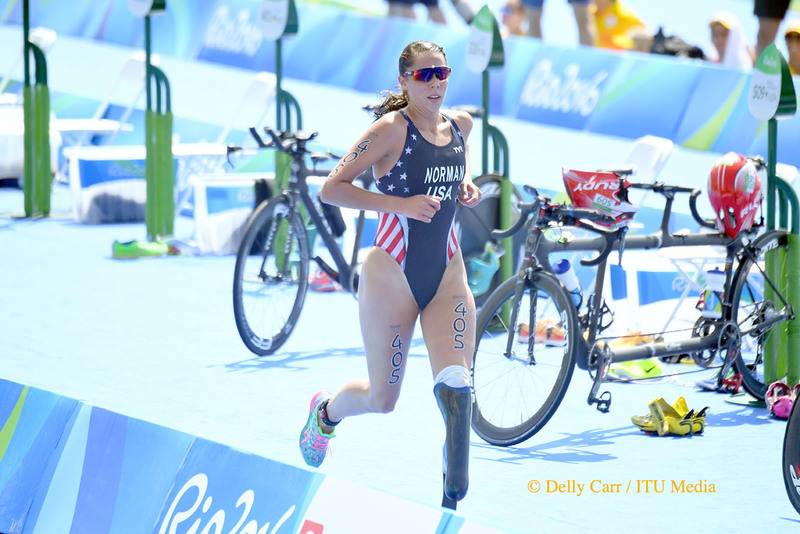 Melissa Stockwell, who was the first wounded female in Iraq, follows in second ranking, while teammate Hailey Danisewicz is ranked third. 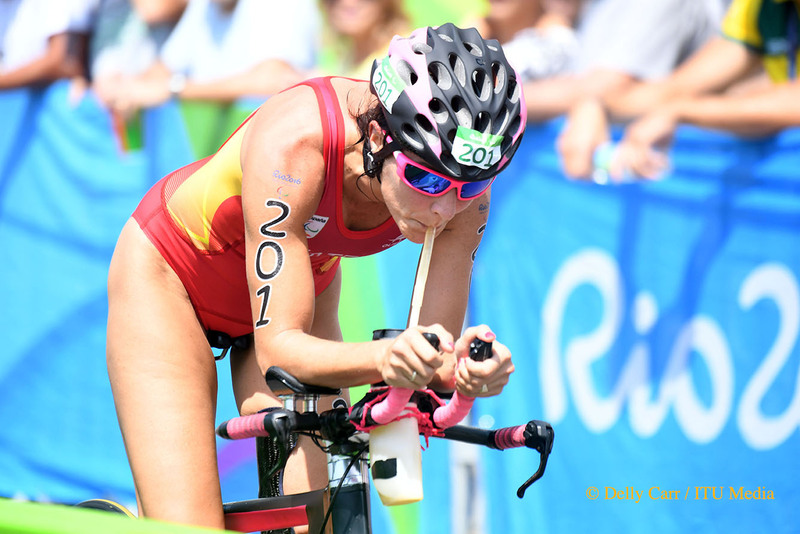 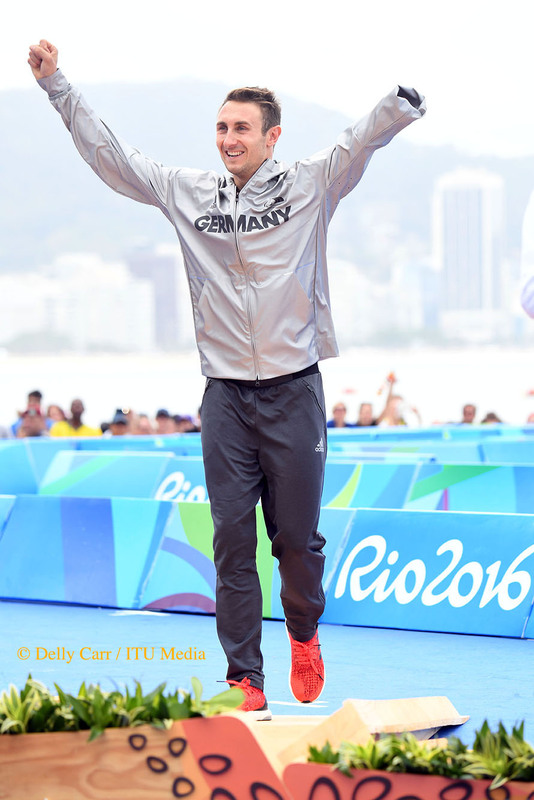 However, while Danisewicz is third amongst them, she won the 2016 test event to clench her spot in Rio. 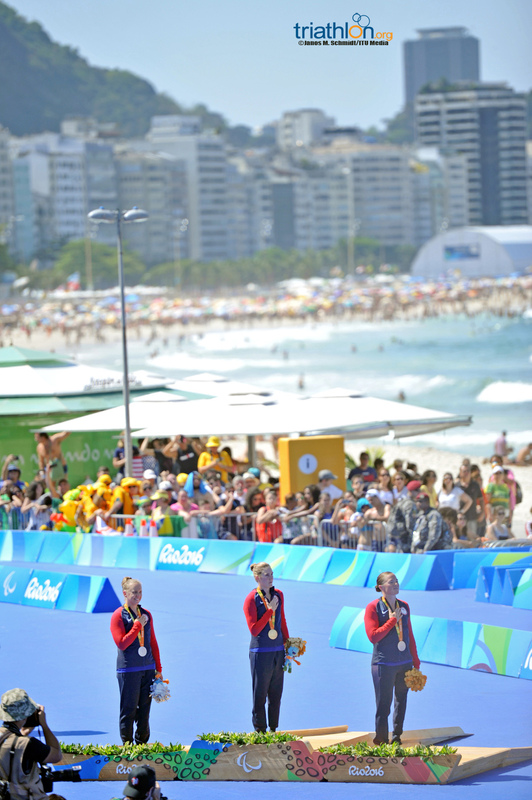 In addition to a string of podiums to her name, Stockwell has experience on her side, having swum at the 2008 Beijing Paralympic Games. 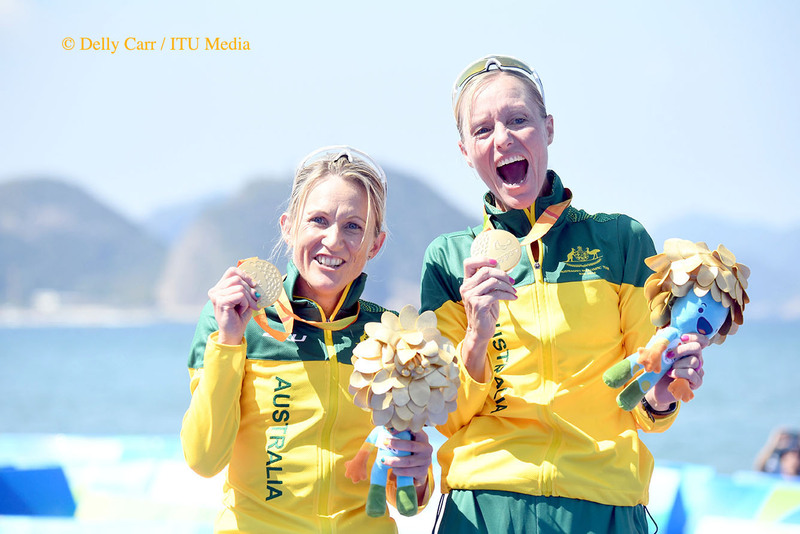 Their toughest competition will come from Finland’s Liisa Lilja, who beat out Danisewicz for silver at World Championships in July. 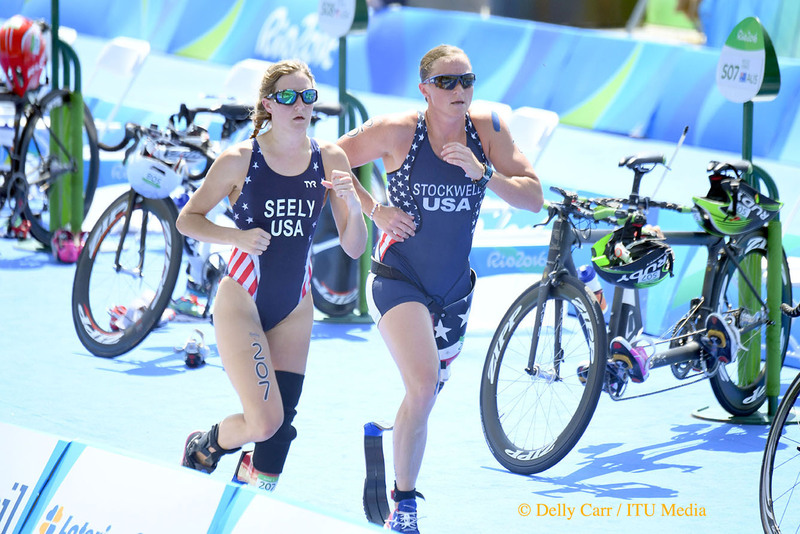 Just two years into the sport, the young Finnish athlete missed the podium at World Champs last year behind the Americans. 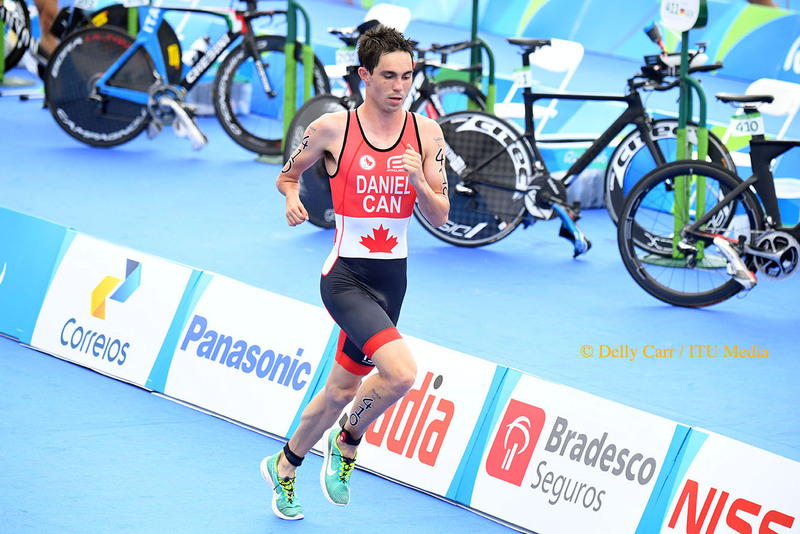 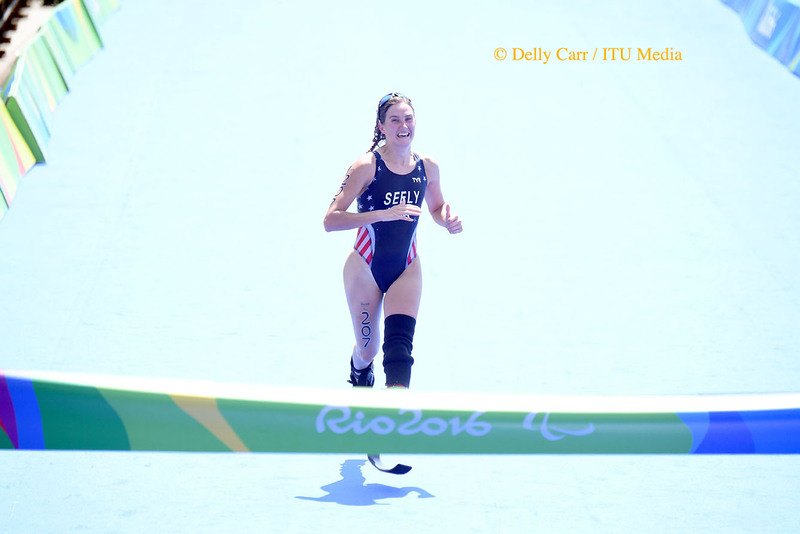 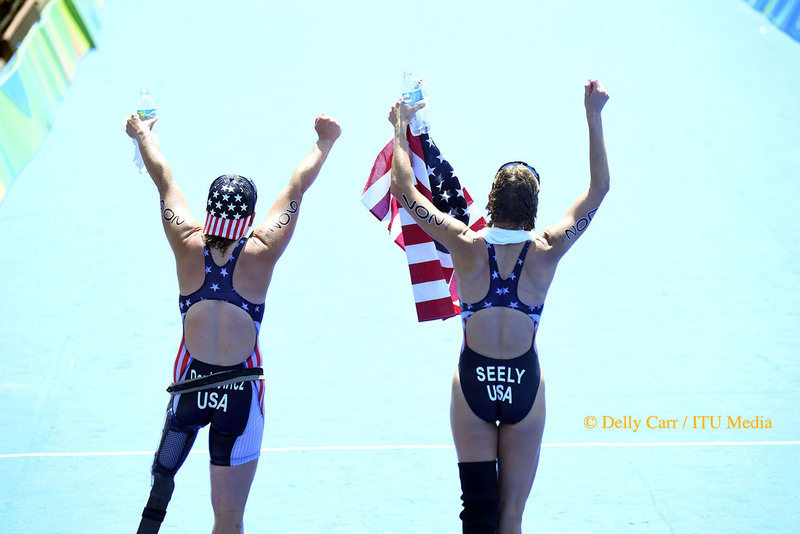 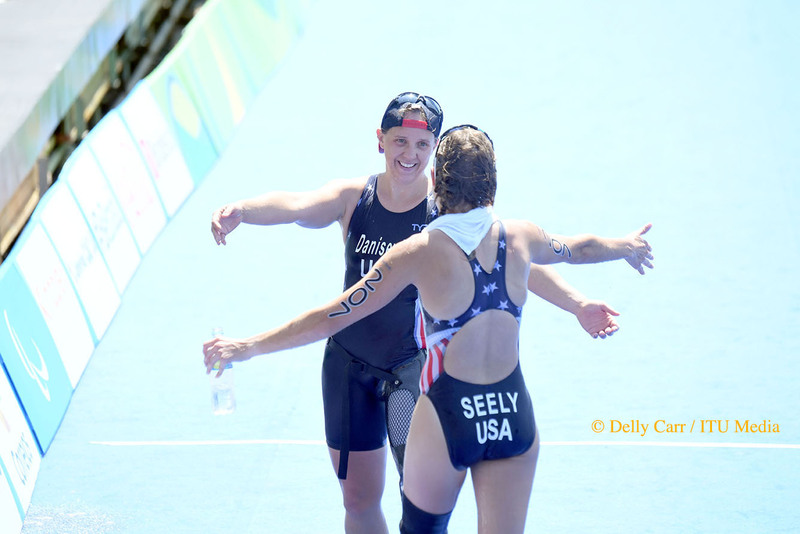 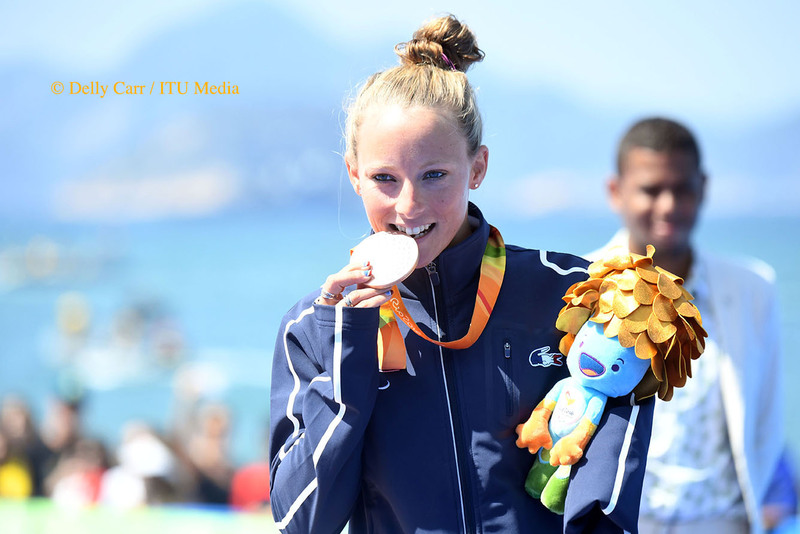 Fun note, after she finishes up at triathlon, Seeley will head over to athletics to finish up her Paralympic Games competing in the 200m. 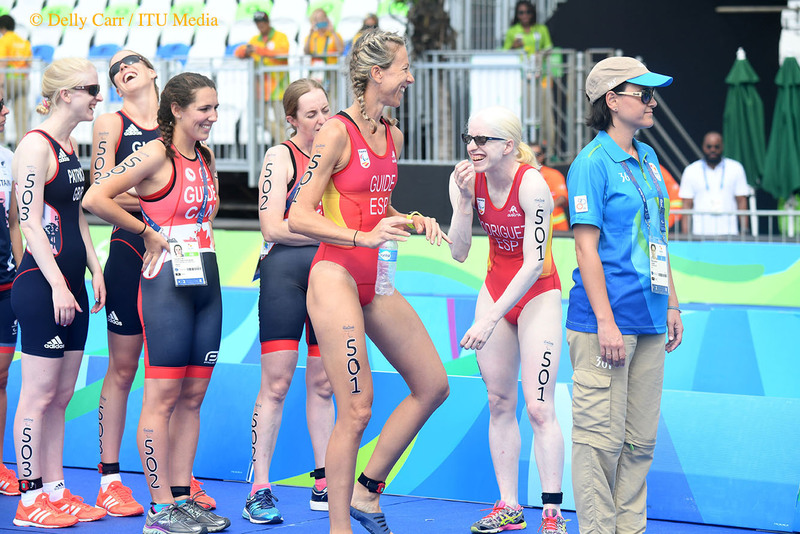 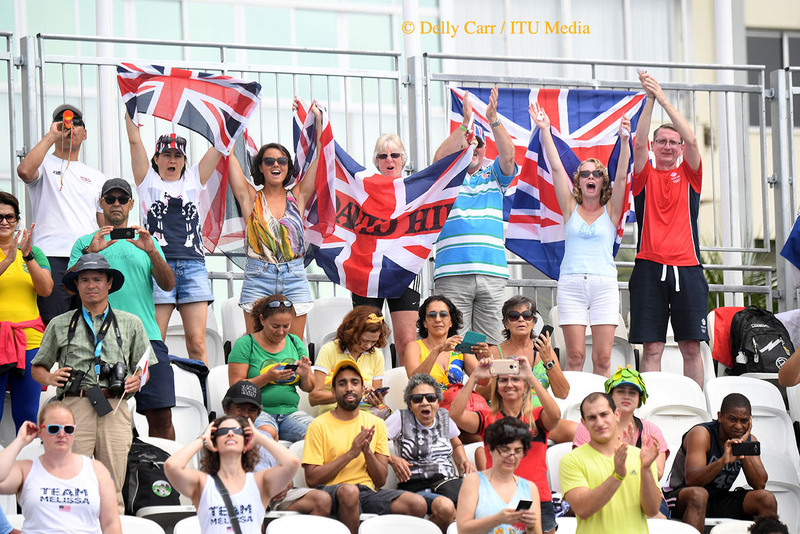 While the US women dominate the PT2 sport class, it’s Great Britain that has the strong hold on the women’s PT4 sport class. 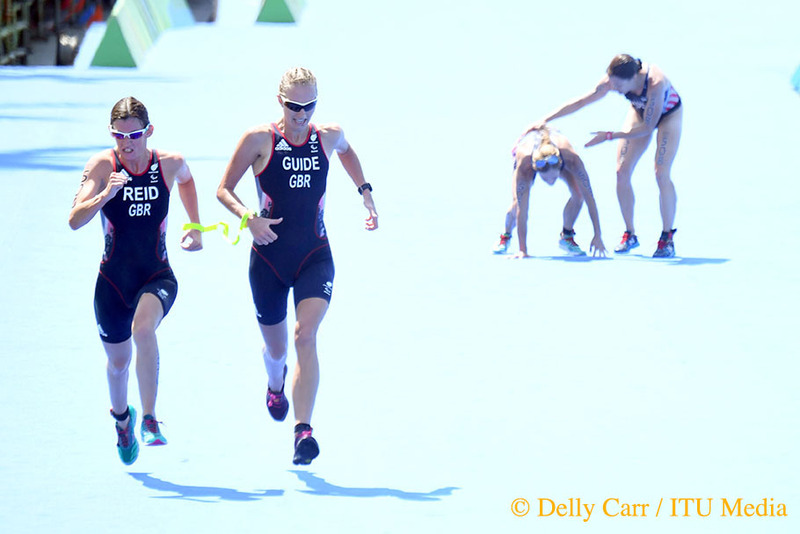 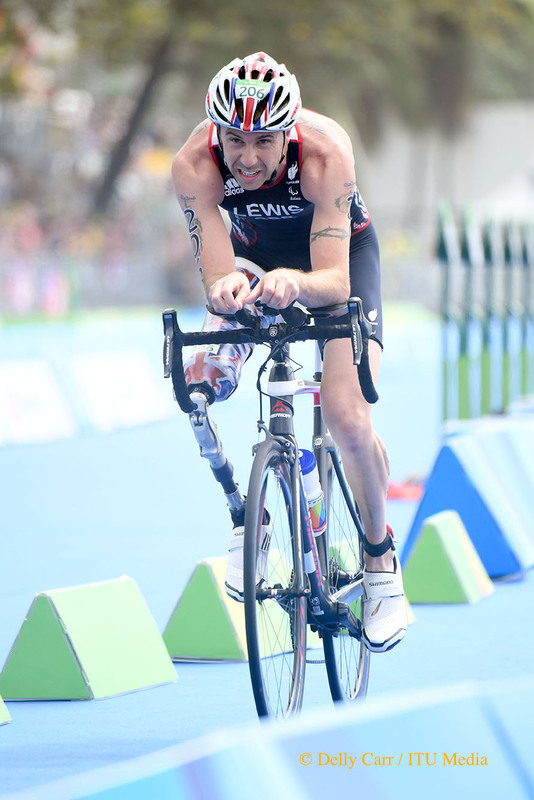 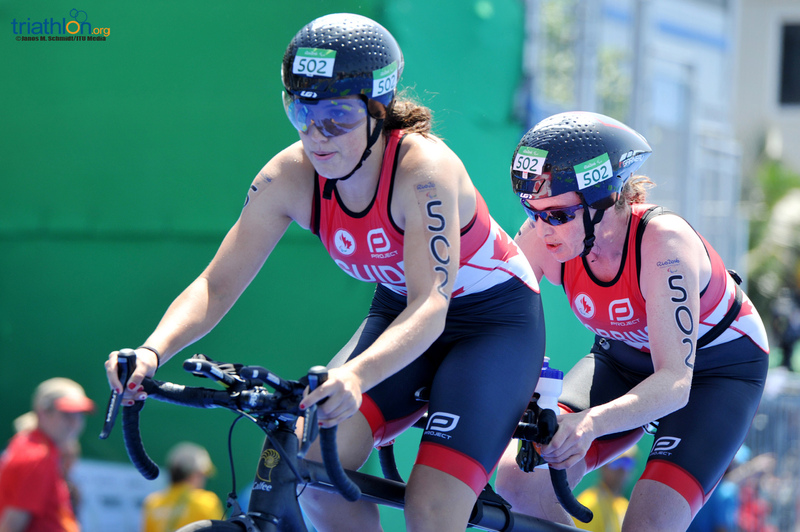 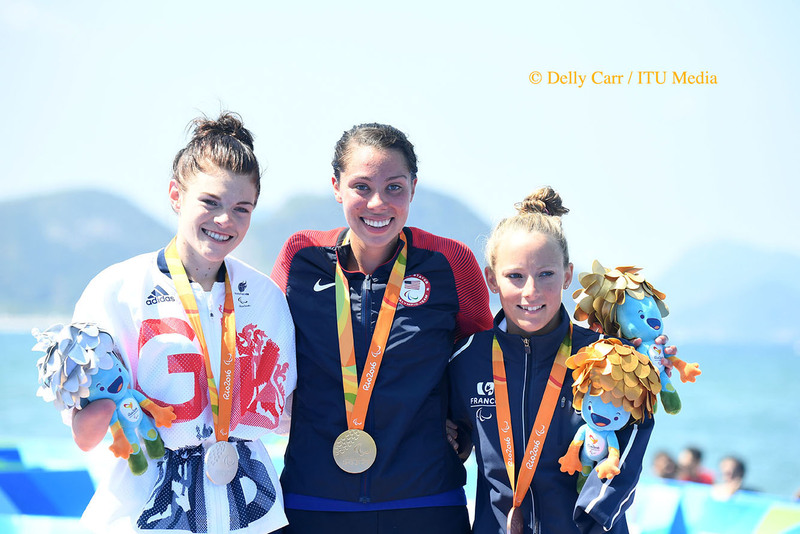 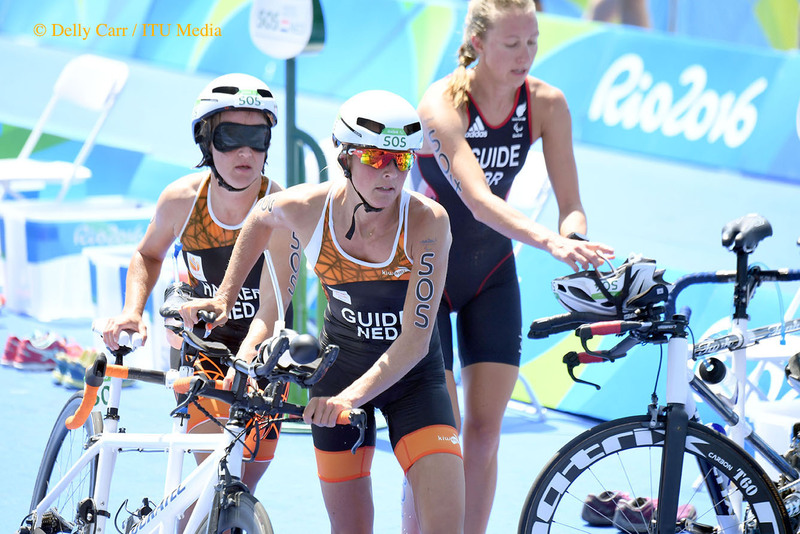 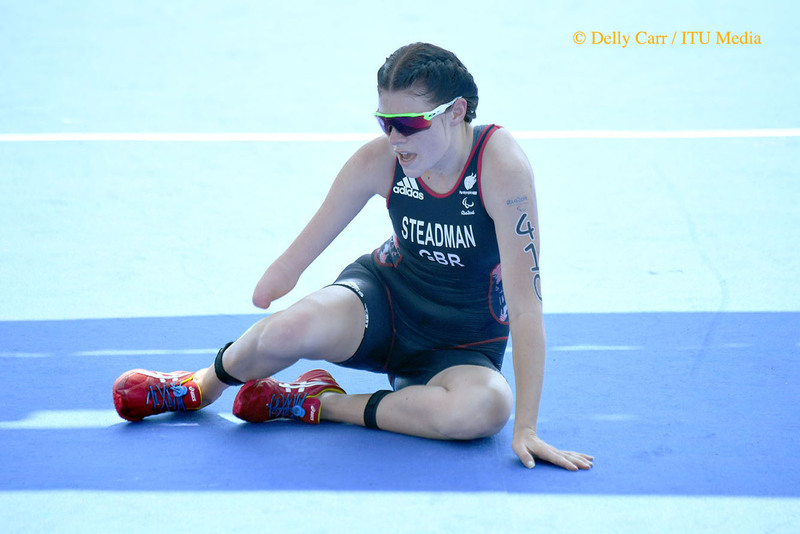 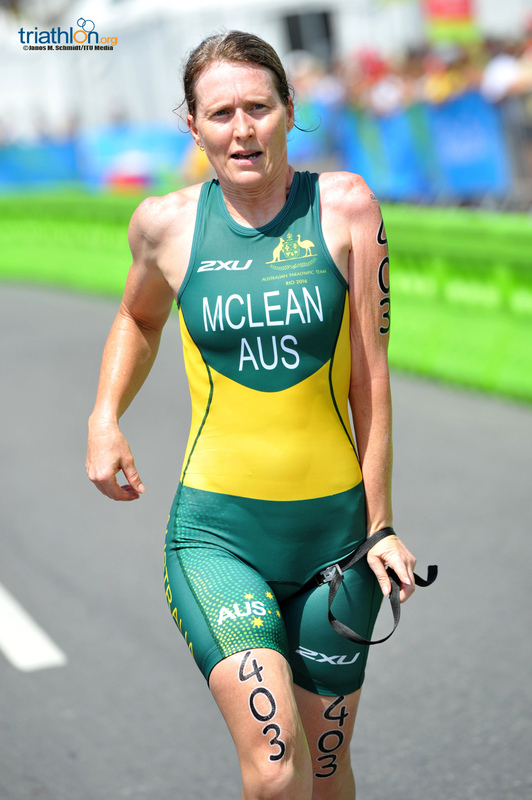 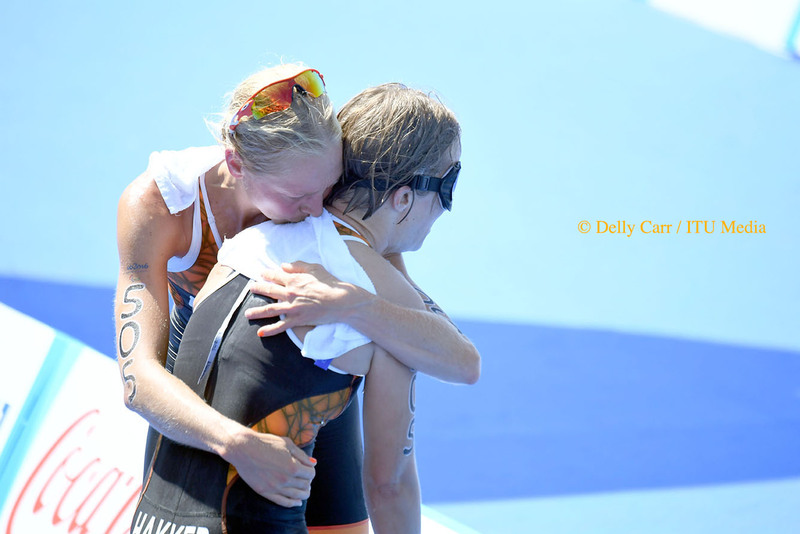 Lauren Steadman, Faye McClelland and Clare Cunningham all graced the podium at the 2014 World Championships, with Steadman following up again last year for a second consecutive World Title. 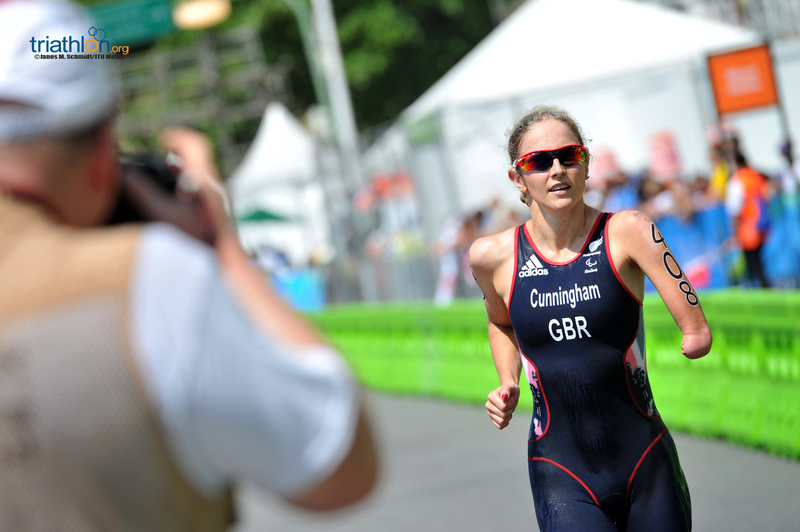 The top-ranked Brit hasn’t lost a race that’s she’s finished since 2014. 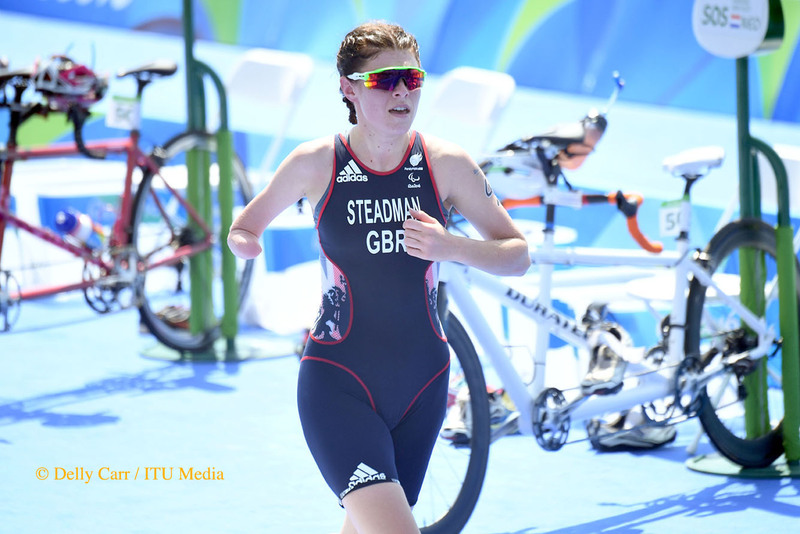 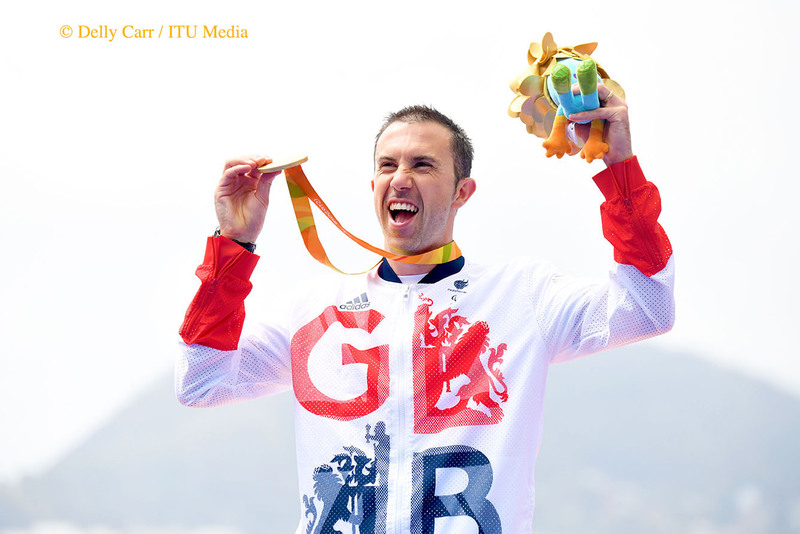 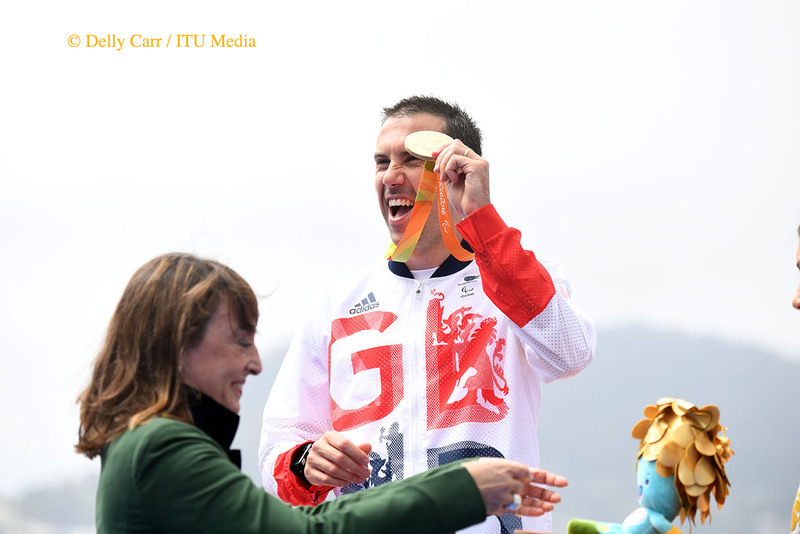 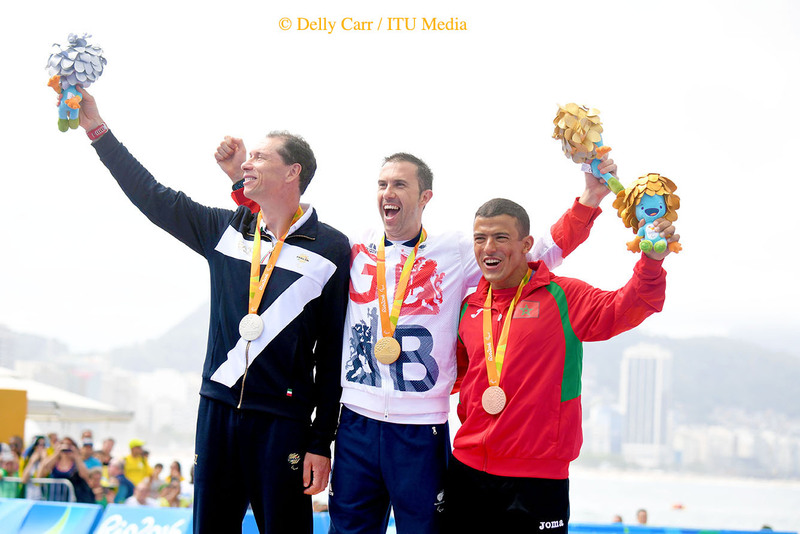 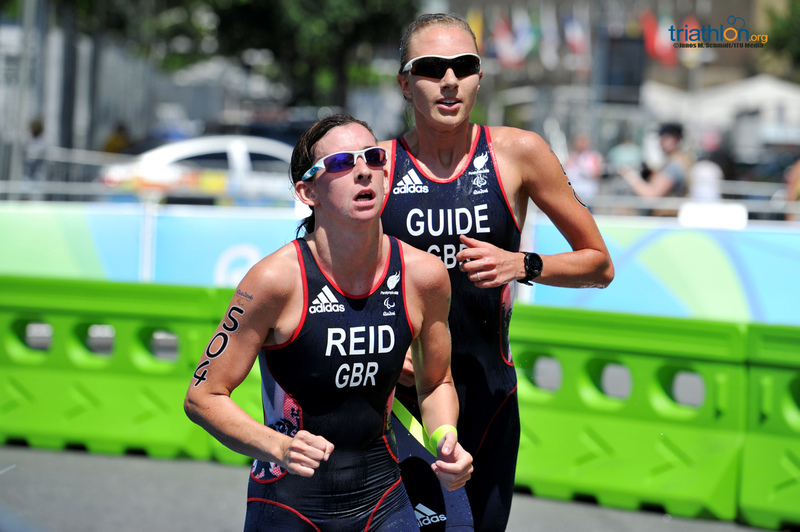 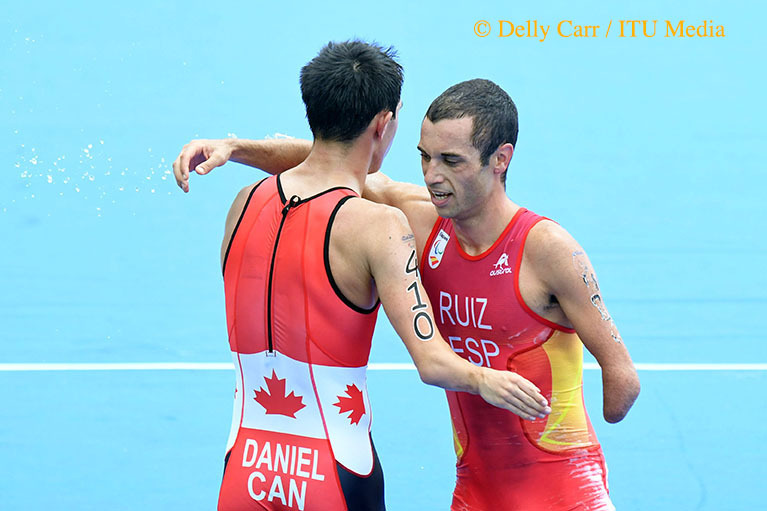 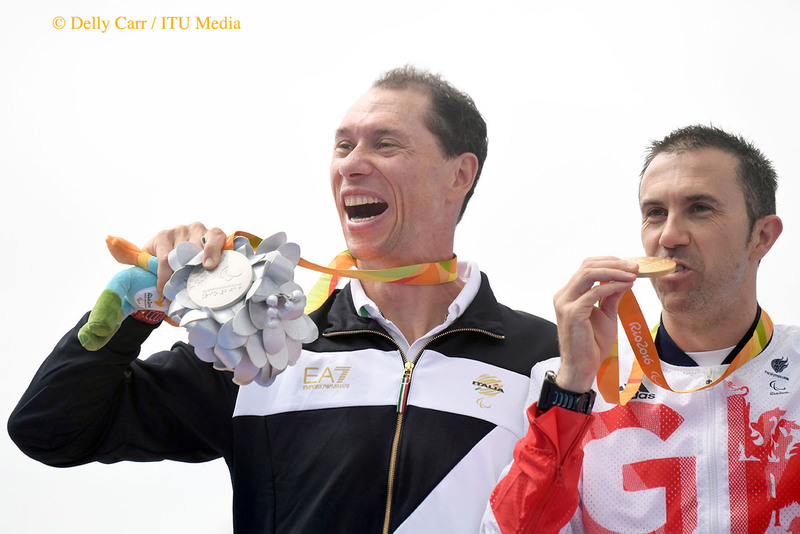 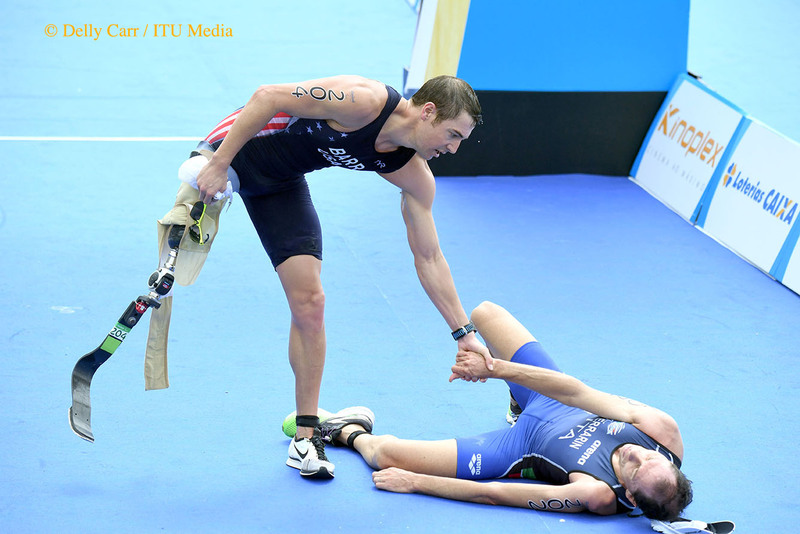 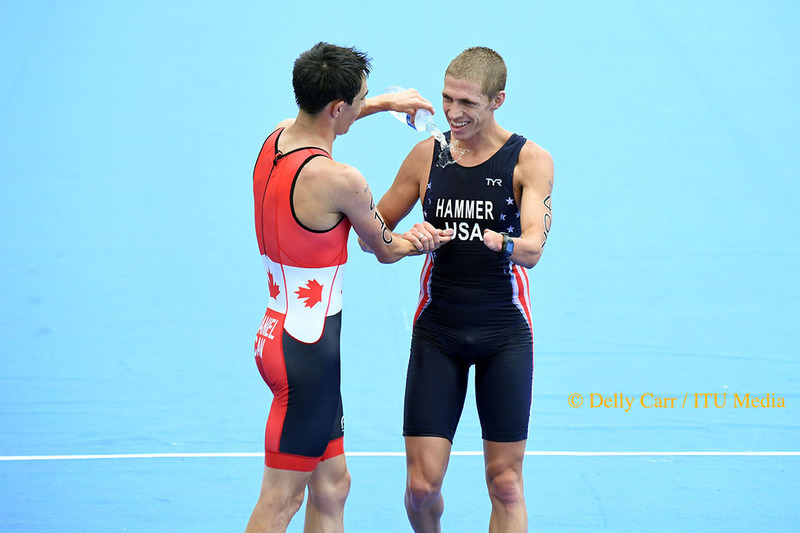 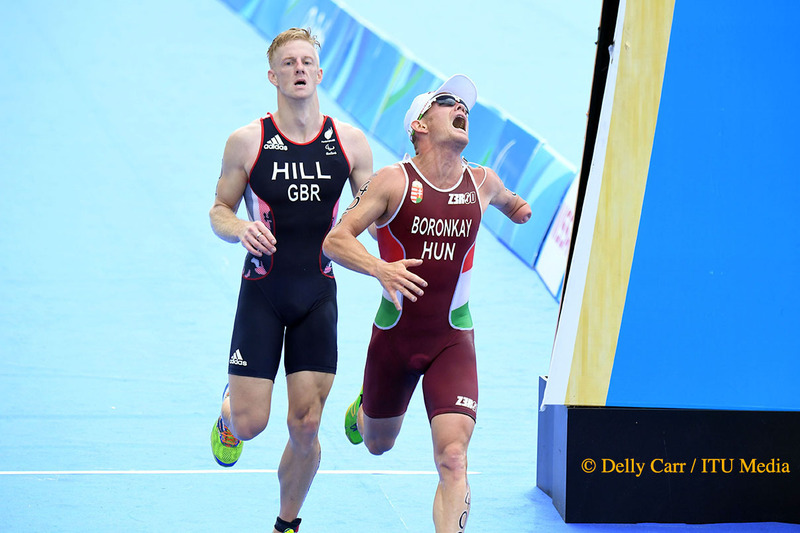 Steadman and Cunningham are both strong out in the front, with both of them having competed in swimming at two Paralympic Games. 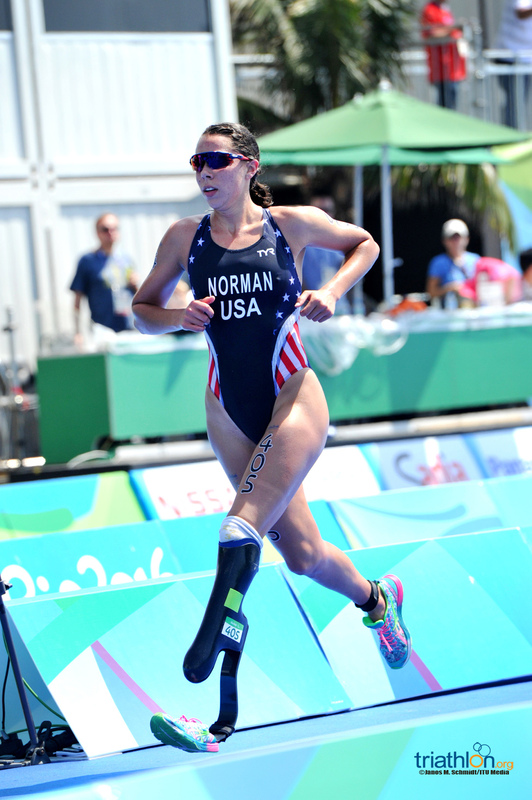 However, perhaps their greatest challenge comes from young buck Grace Norman (USA), who won this year’s World Championships when Steadman crashed out and finished second at the World Championships last year. 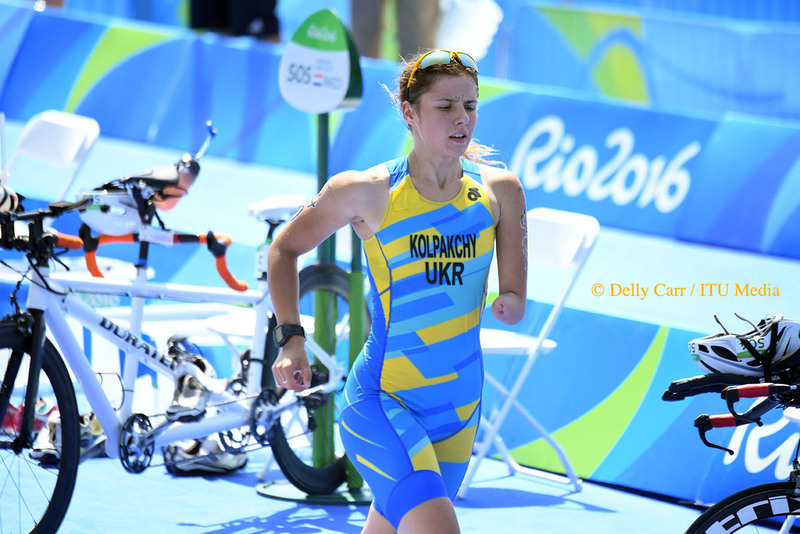 She’s incredibly quick off the bike, as the only woman to ever run under 20 minutes in the 5k run. 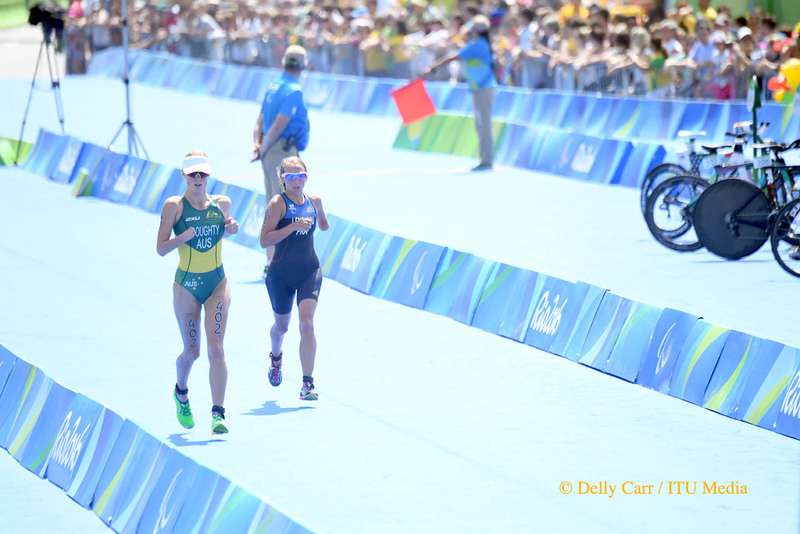 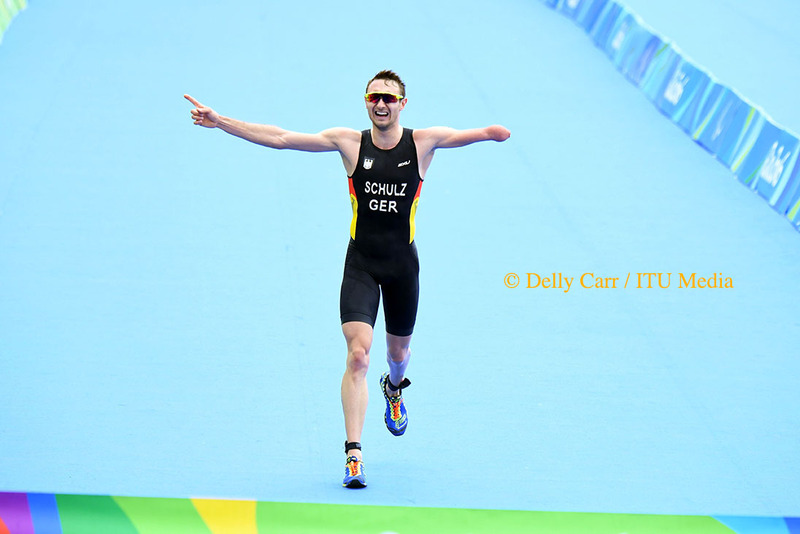 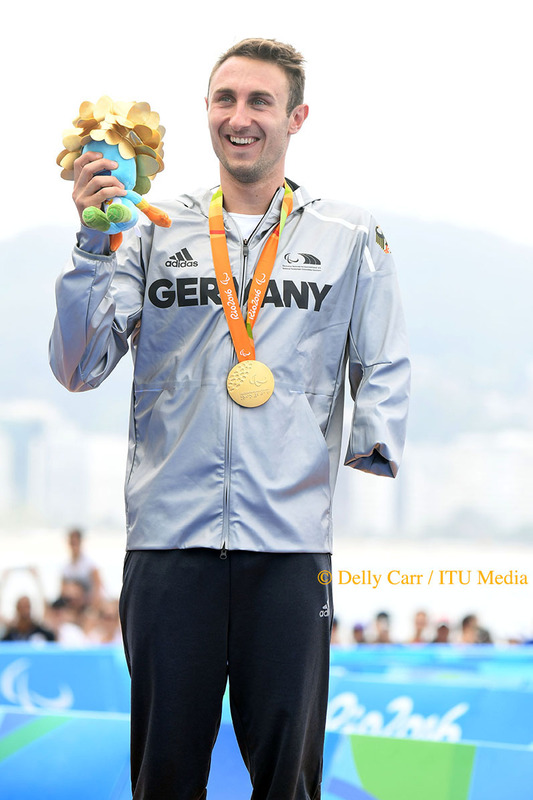 Like her compatriot Seely in PT2, Norman will go on to run the 400m at athletics after triathlon. 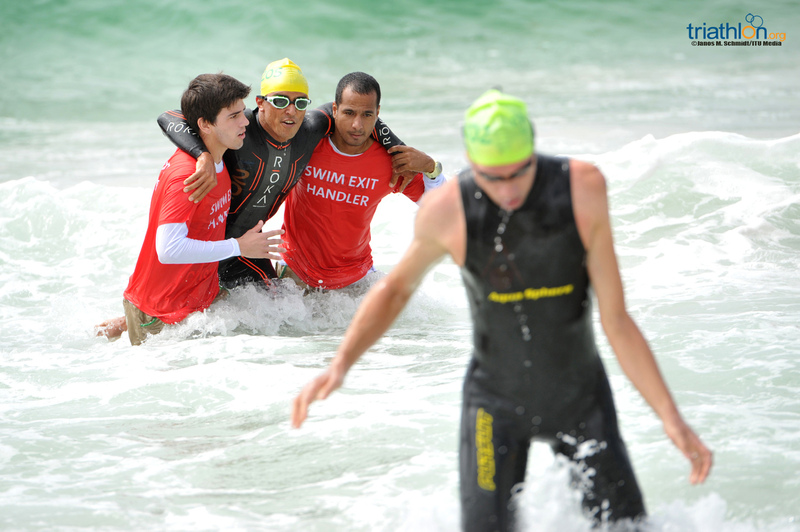 One of the larger sport classes to take off on September 11, the race features a wide variety of talent, from young 18 year old Norman to her teammate 47 year old Patricia Collins, who was injured in a training accident in 2006 & continued to work at the Pentagon until she retired as a Colonel last year. 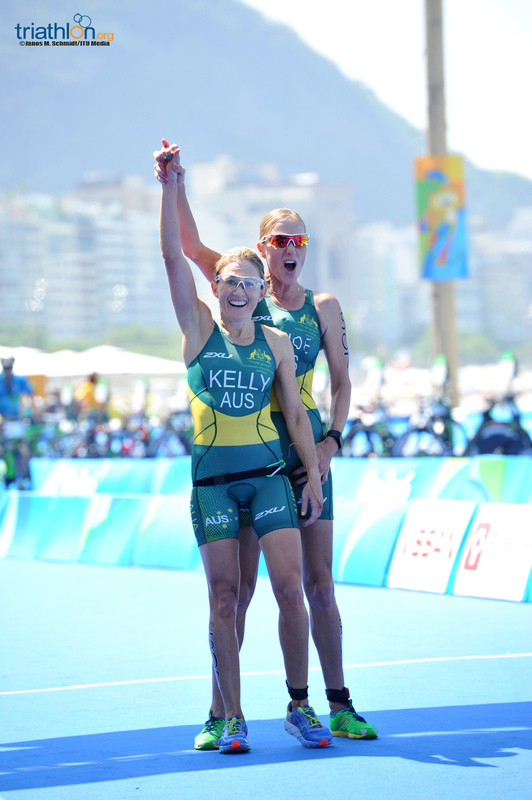 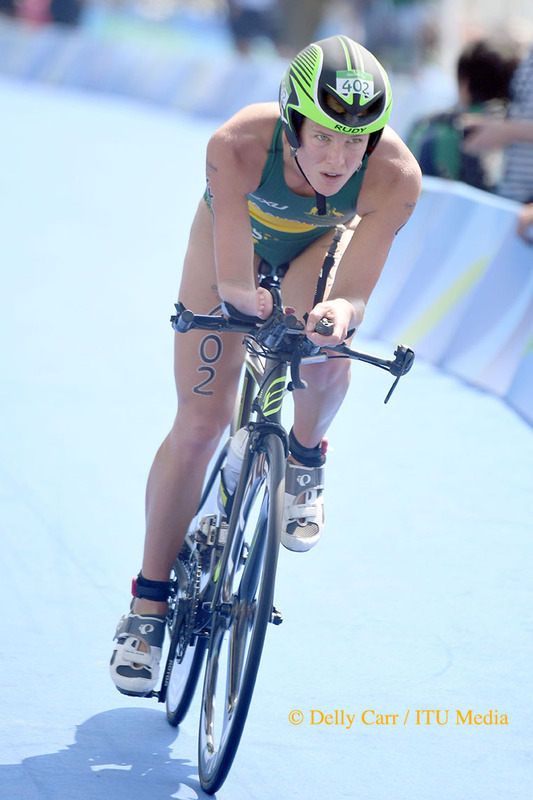 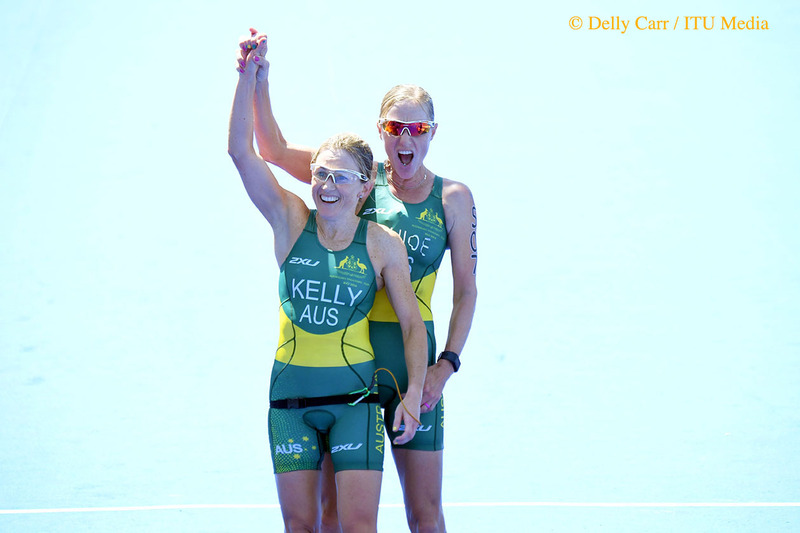 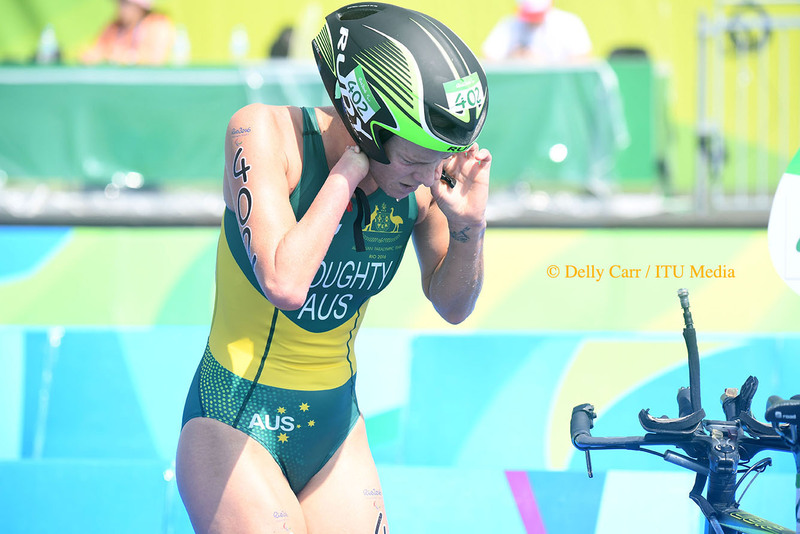 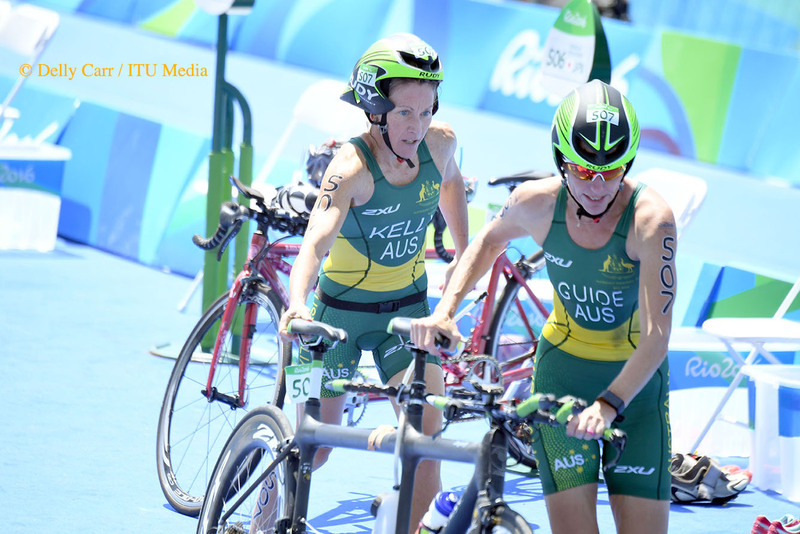 No doubt about it, the one to beat in the women’s PT5 sport class is Australia’s Katie Kelly. 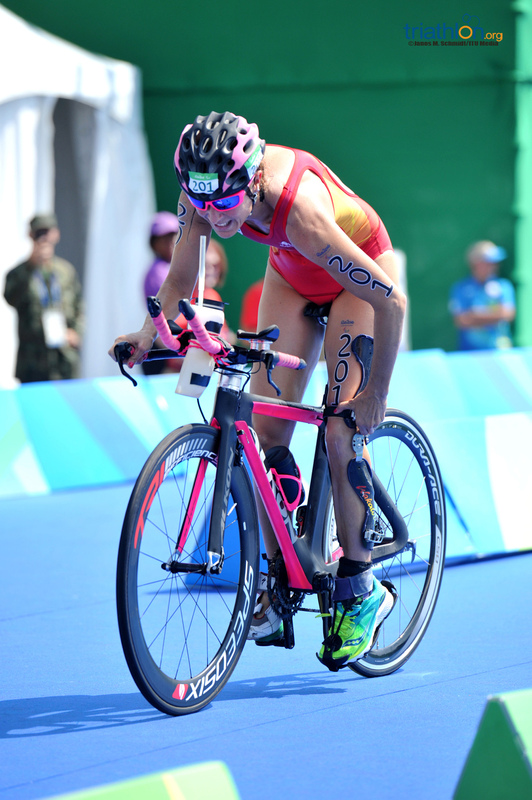 A new comer to the elite side of triathlon, she’s been involved in the sport for many years, but only took up ITU racing in the last two years. 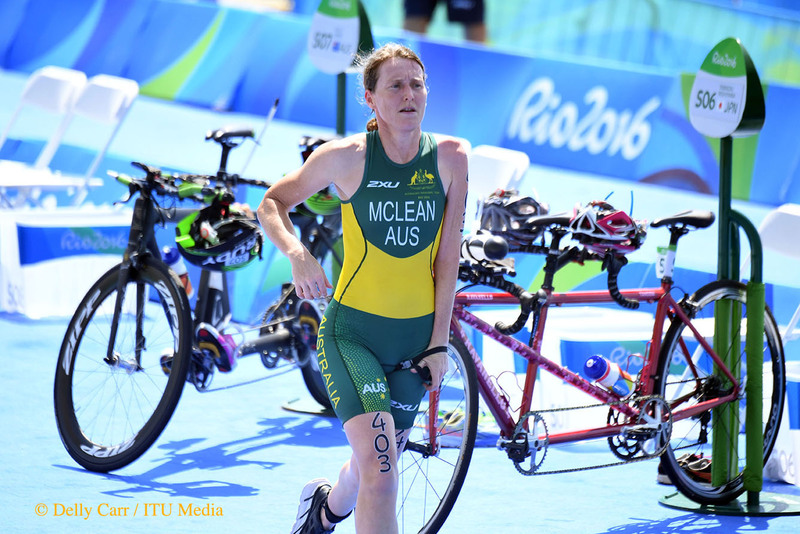 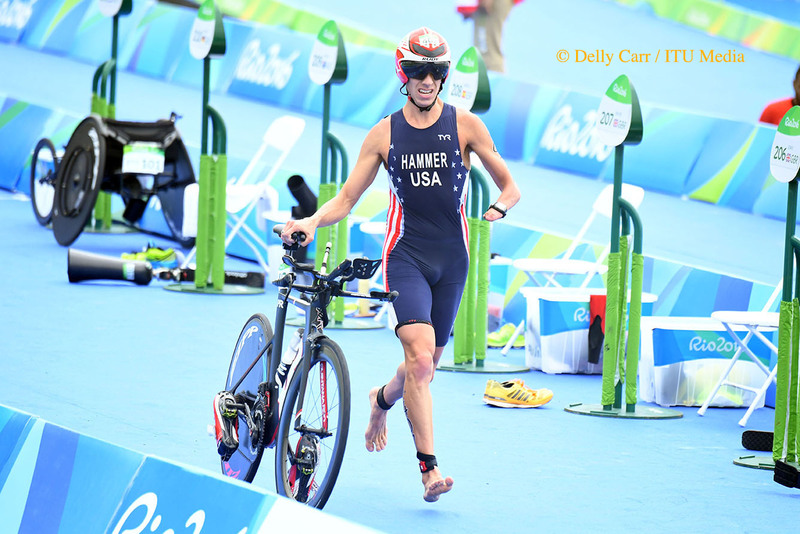 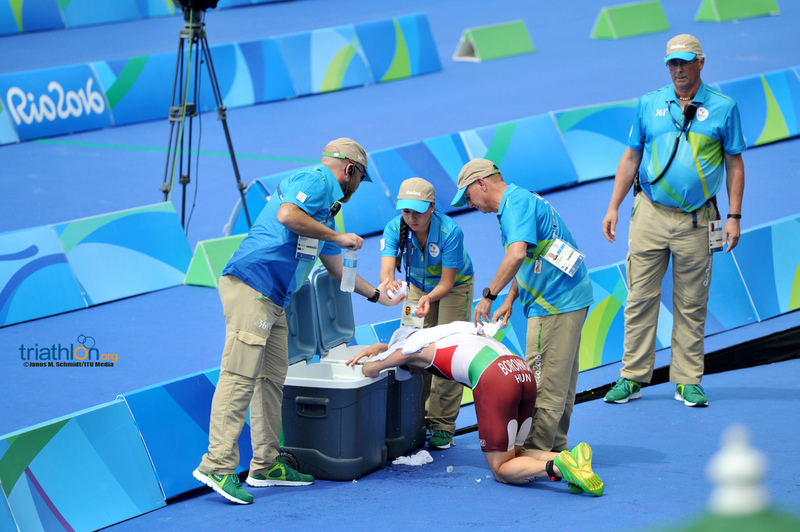 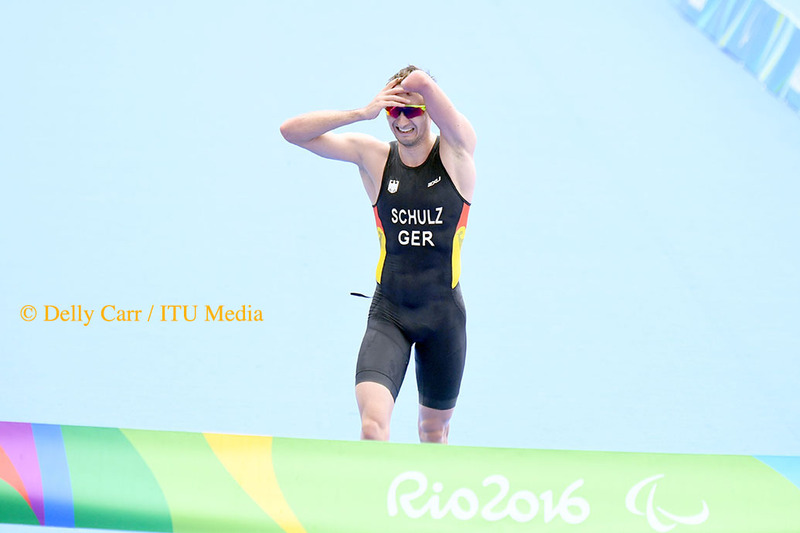 In that short span, she’s never lost a race, including the 2015 World Championships. 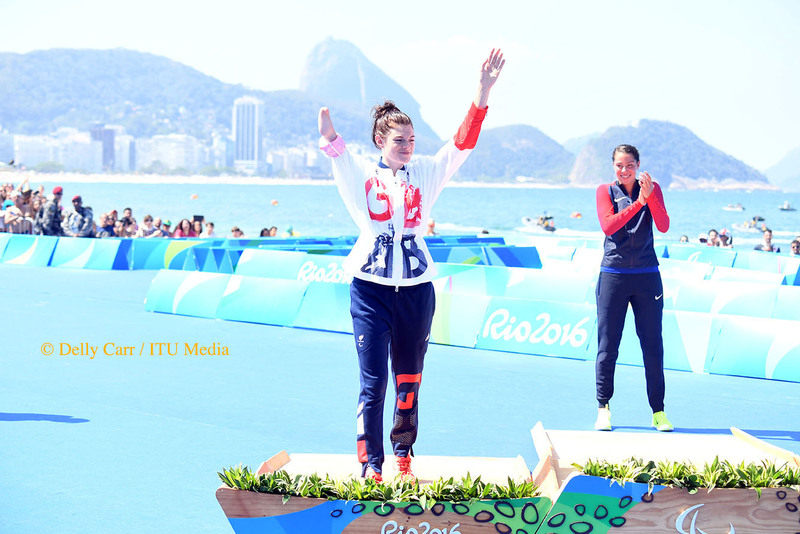 What Alison Patrick (GBR), Melissa Reid (GBR) and Susana Rodriguez (ESP) lack in undefeated records, they make up for in experience. 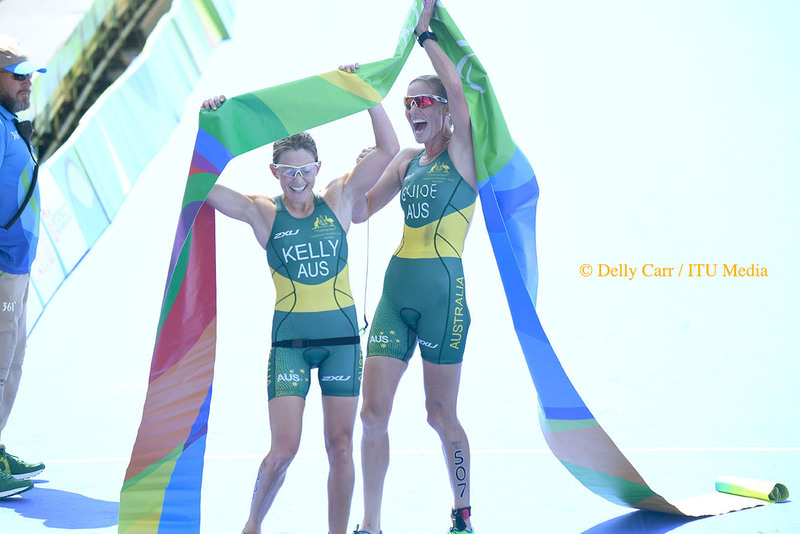 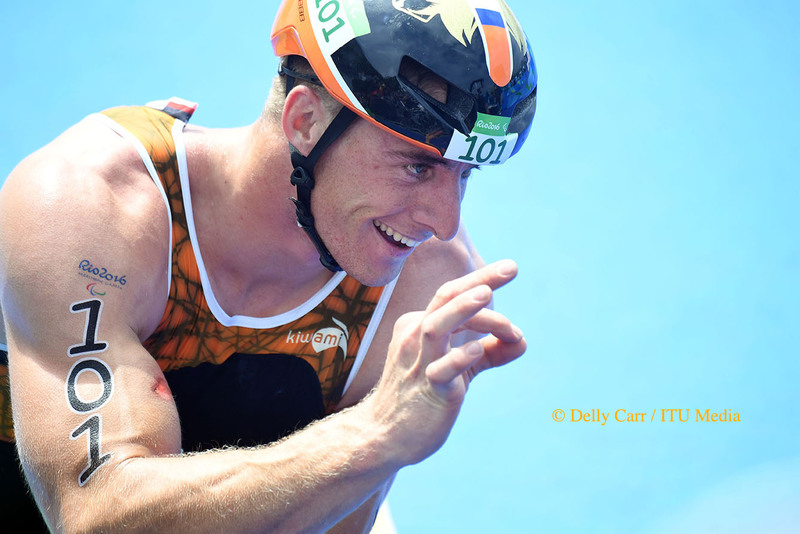 Patrick was the World Champion before Kelly entered the scene, and regained the crown at this year’s World Championships in Kelly’s absence. 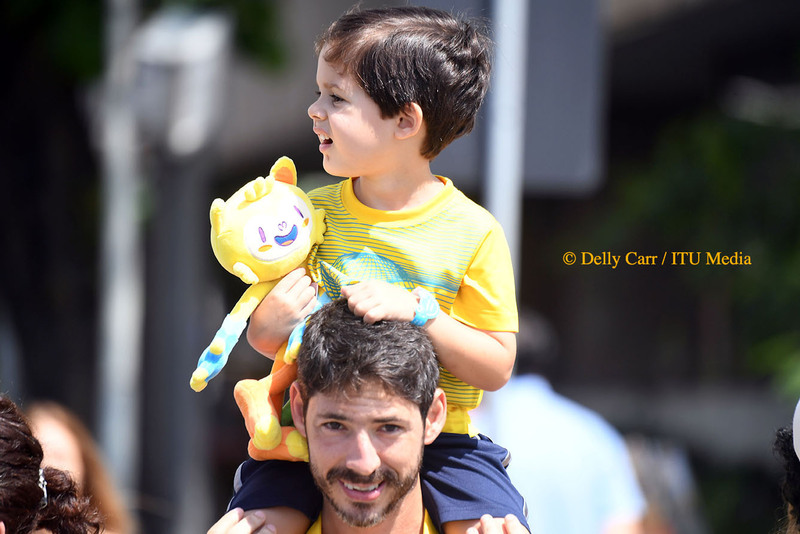 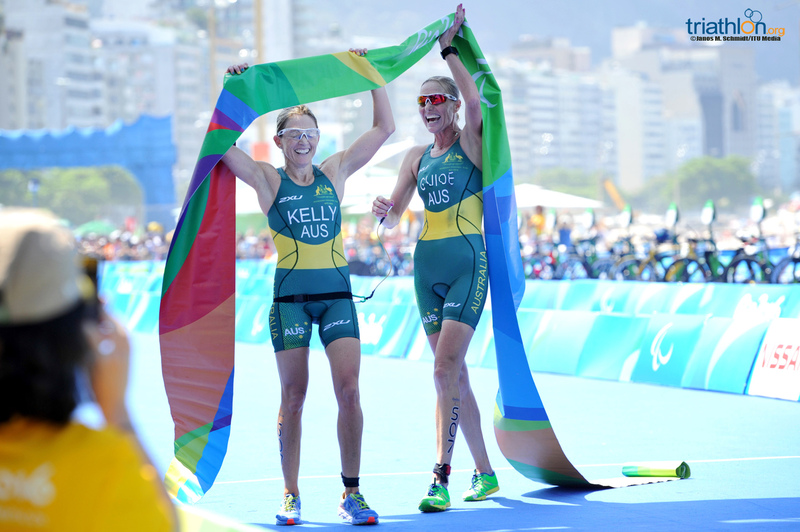 She also won the Rio Test Event last year, which Kelly missed, meaning Patrick has an upper hand on knowledge of the course. 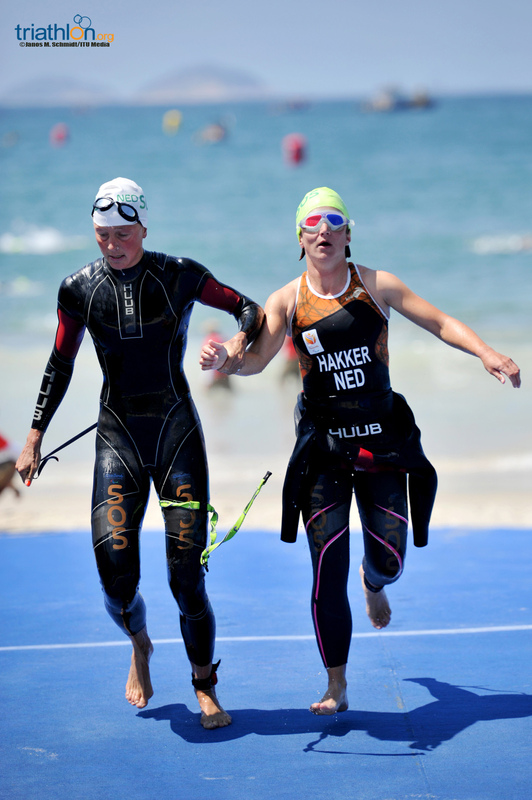 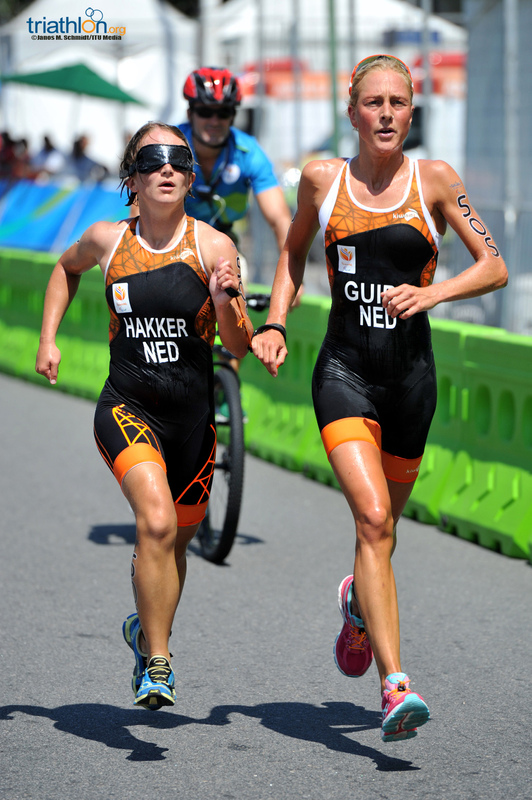 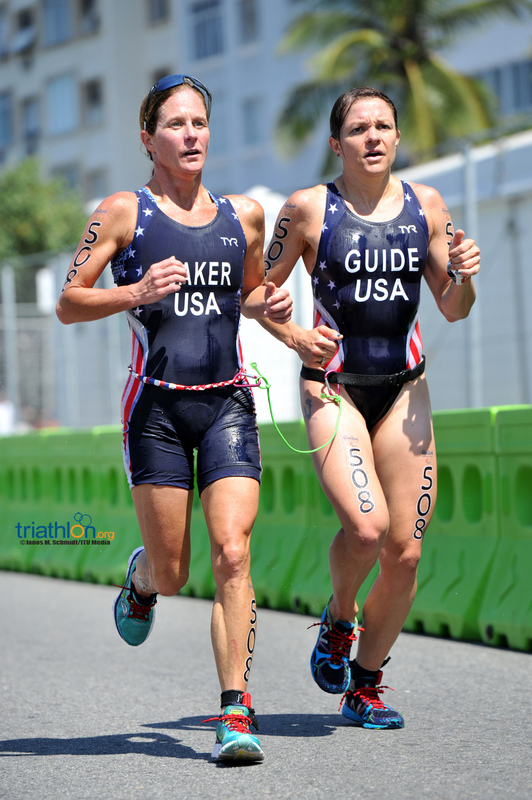 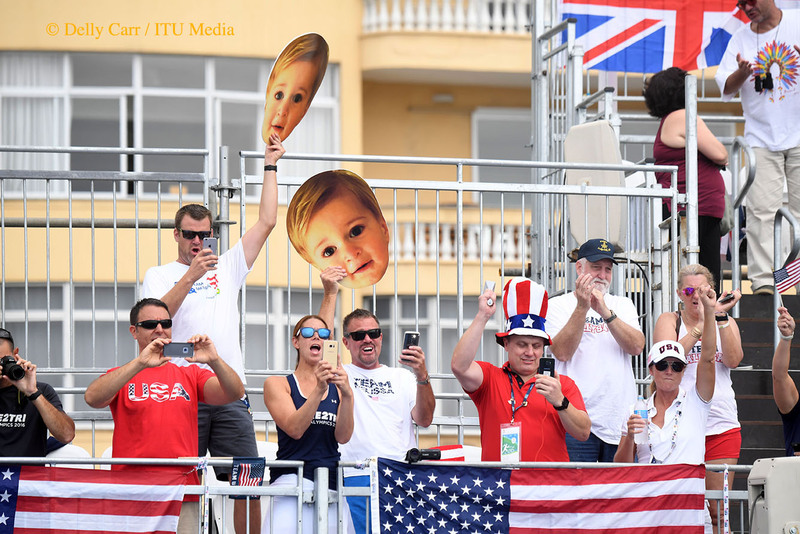 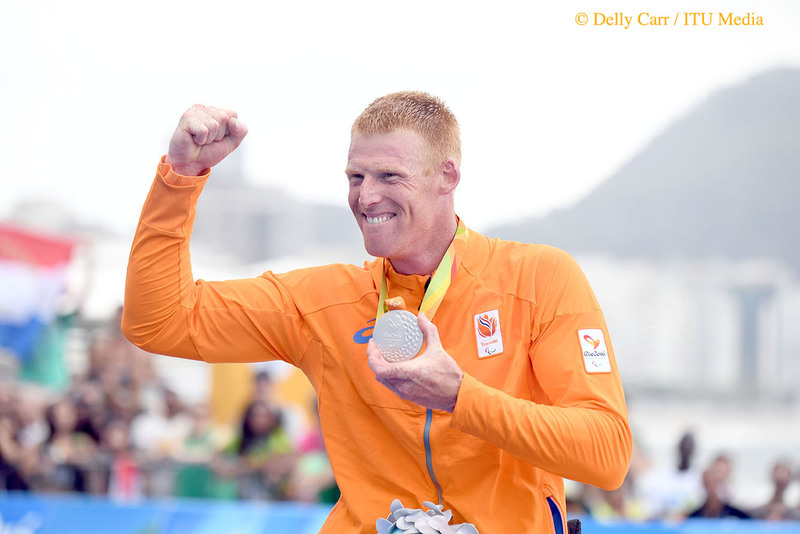 Behind Patrick, Reid, Rodriguez and Joleen Hakker B1 (NED) often trade off podium performances, meaning all of the women can factor on September 11. 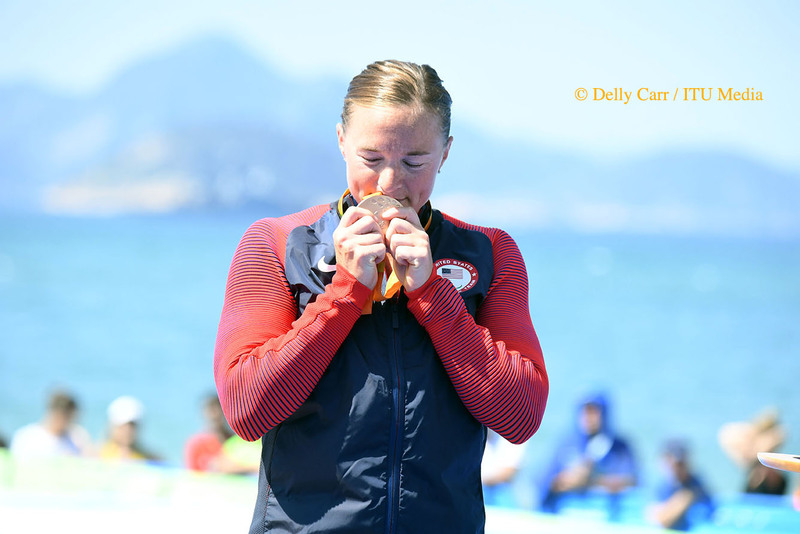 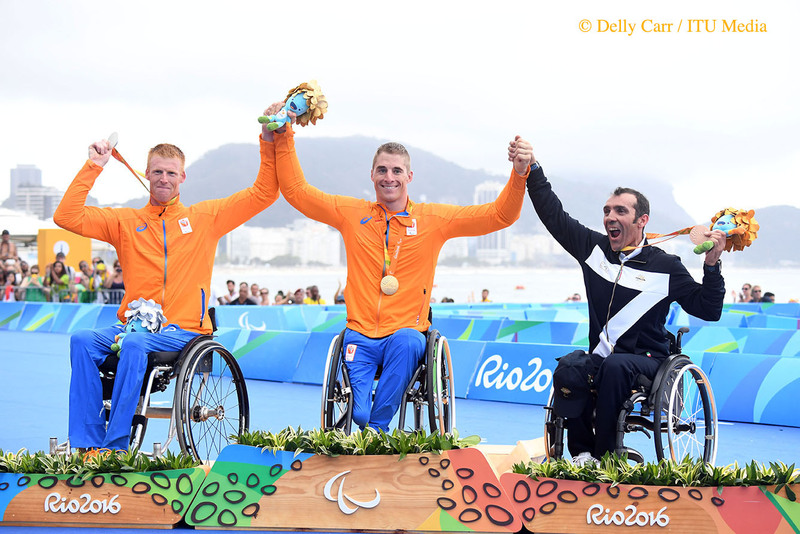 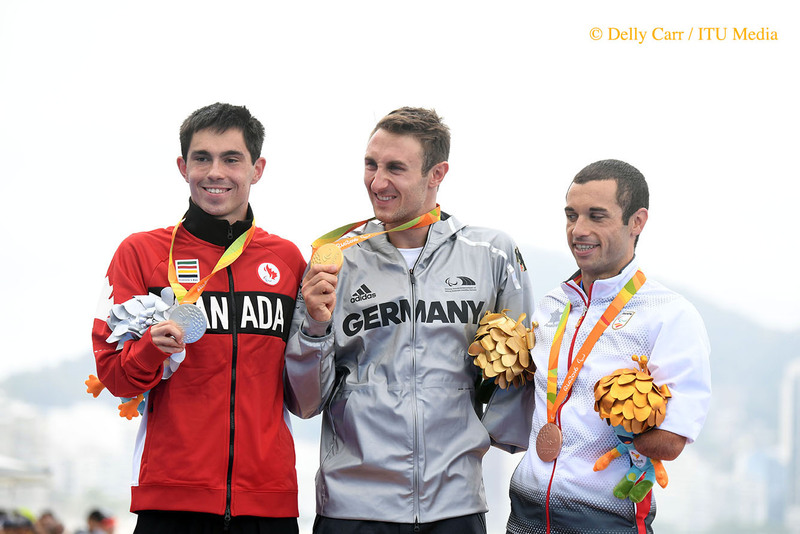 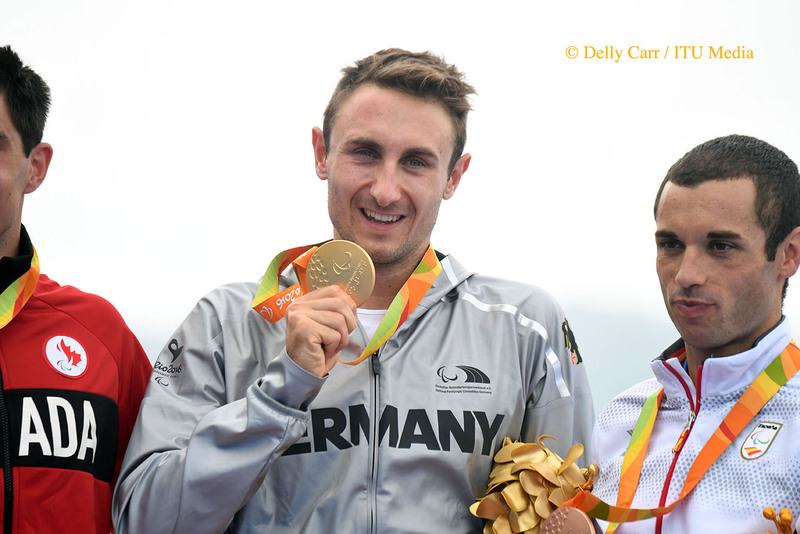 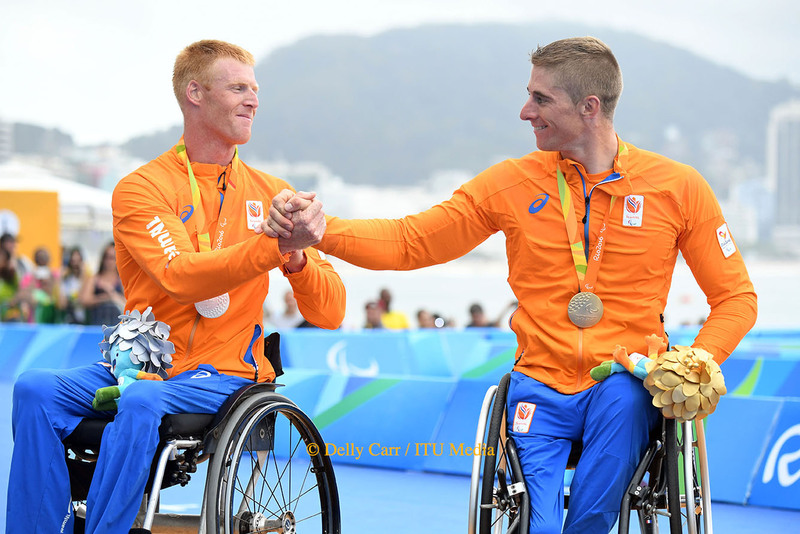 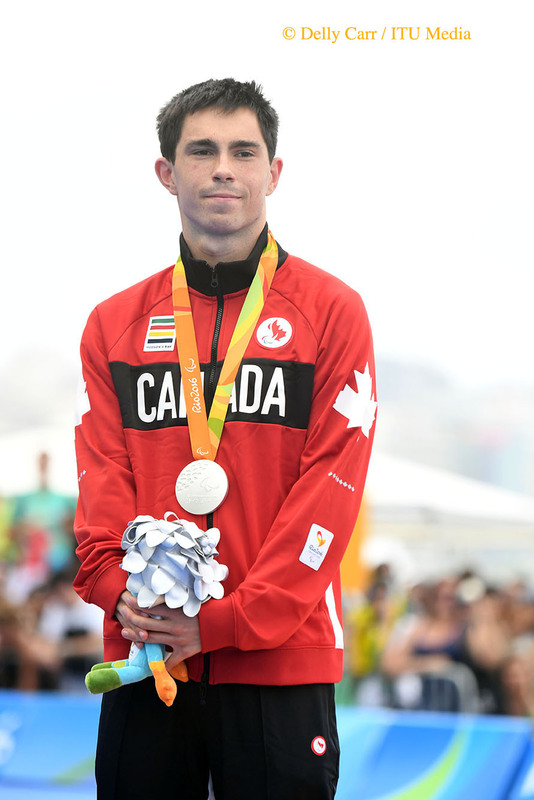 It was Patrick and Reid that garnered medals at the Rio Test Event last summer, along with the USA’s Patricia Walsh. 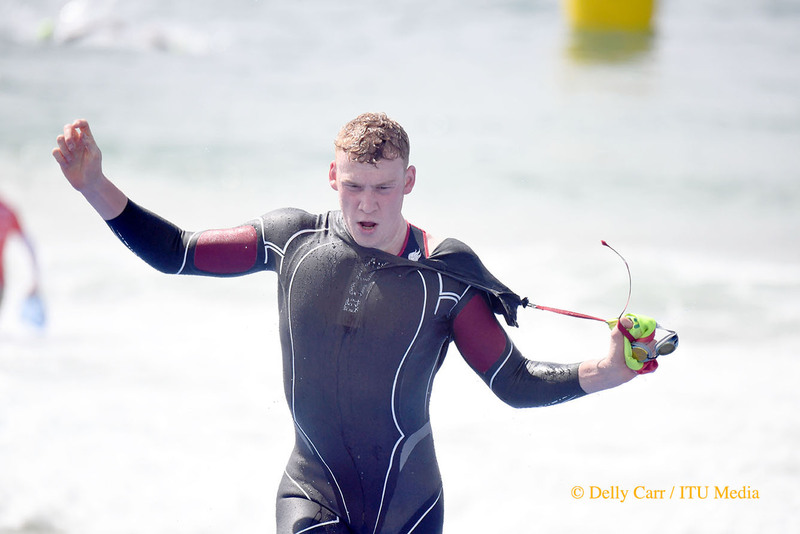 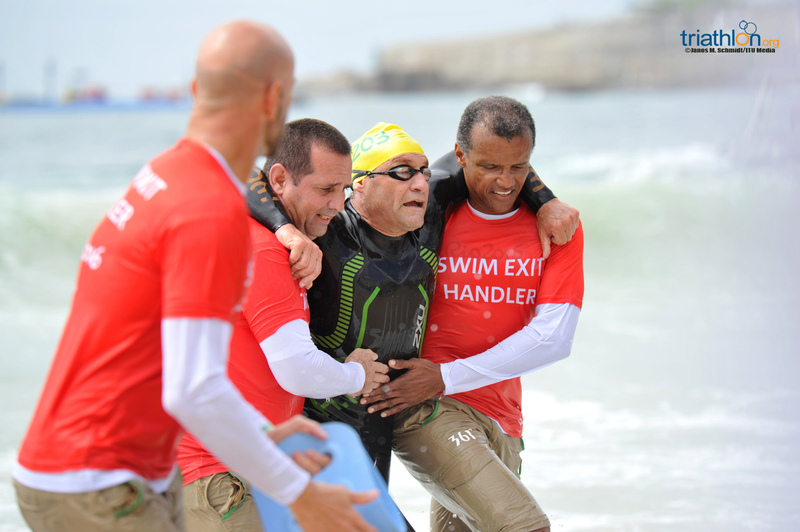 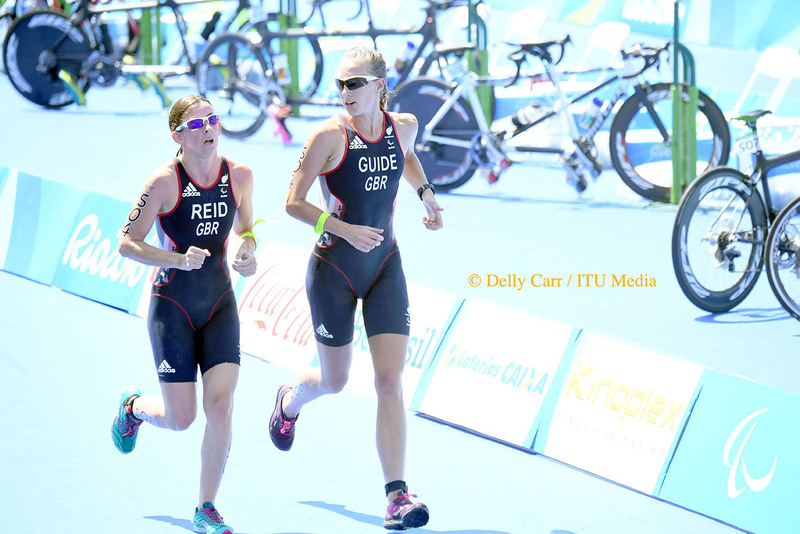 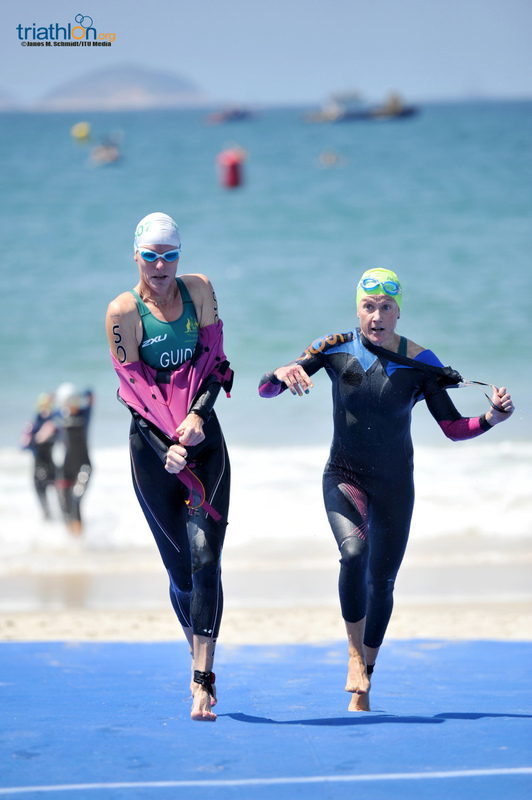 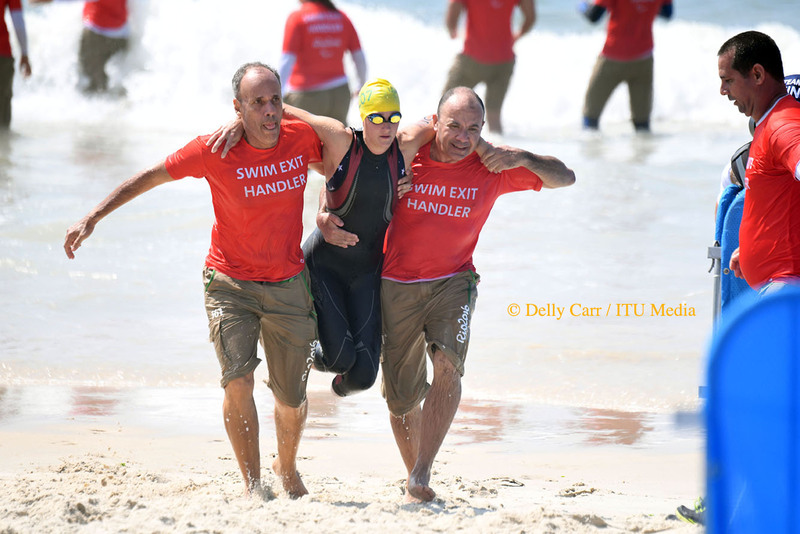 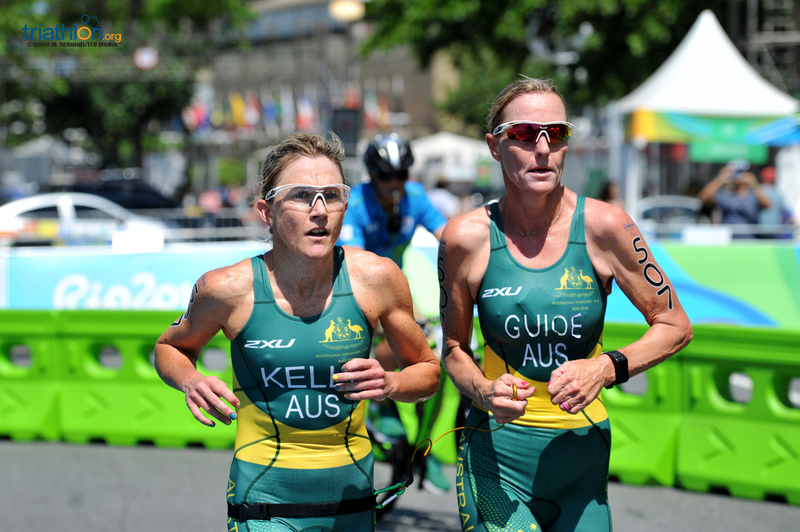 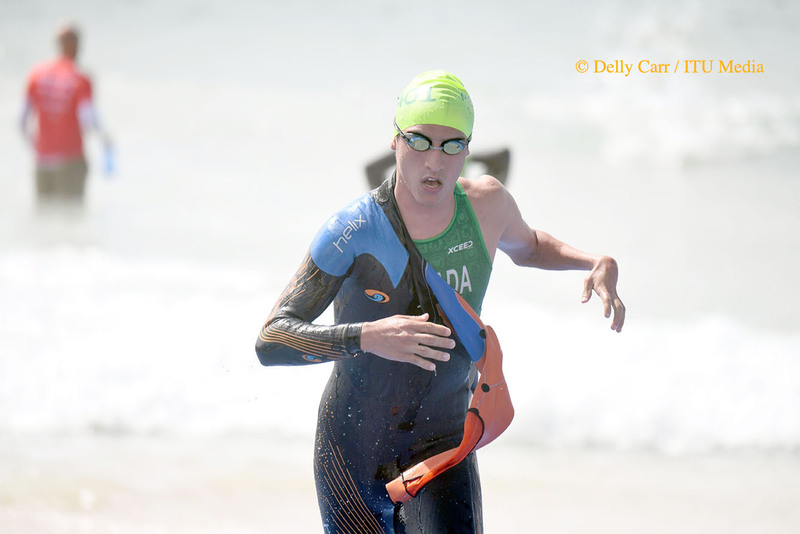 However, Kelly is hedging her bets by bringing one the sport’s most experienced triathletes as her guide – Michellie Jones, who herself is an Olympic triathlon silver medallist.